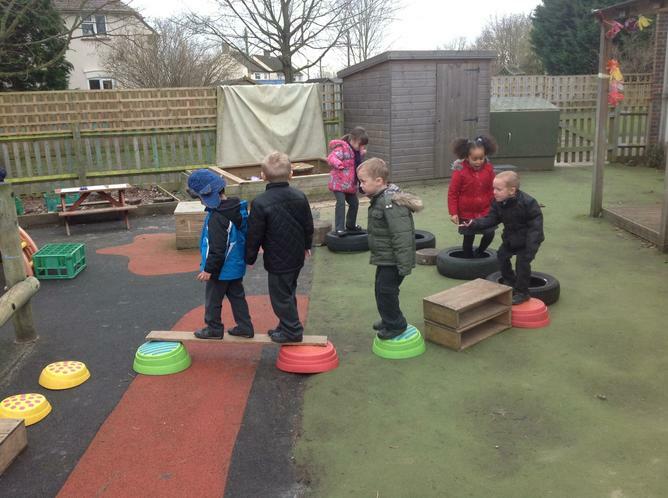 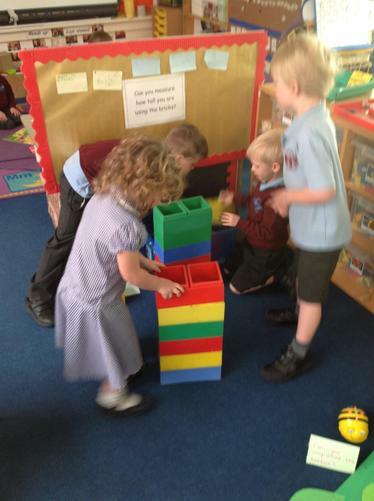 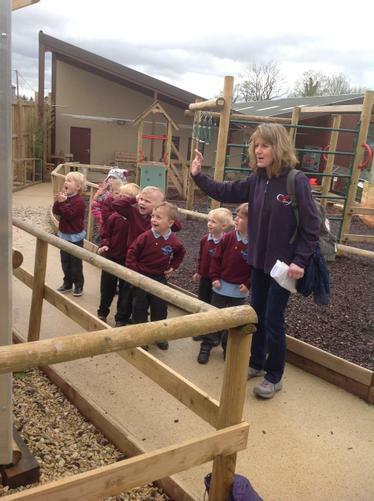 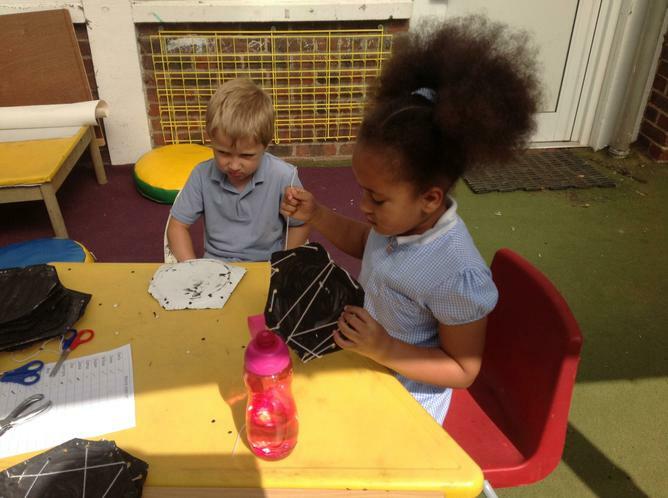 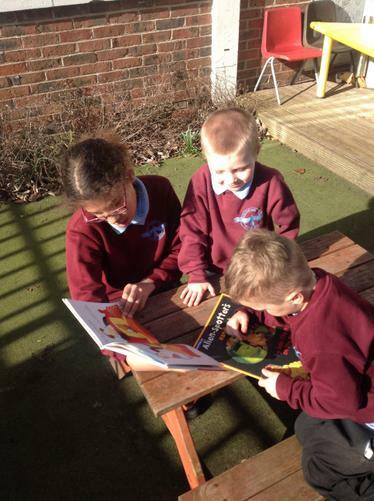 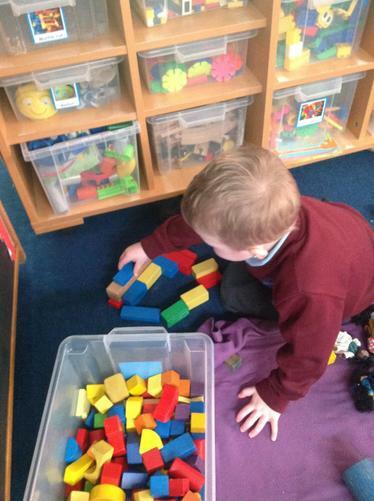 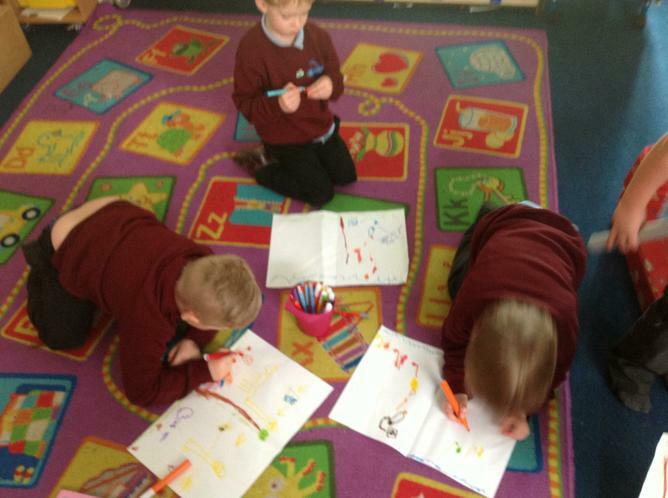 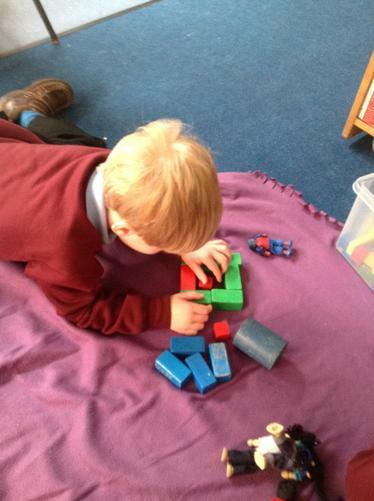 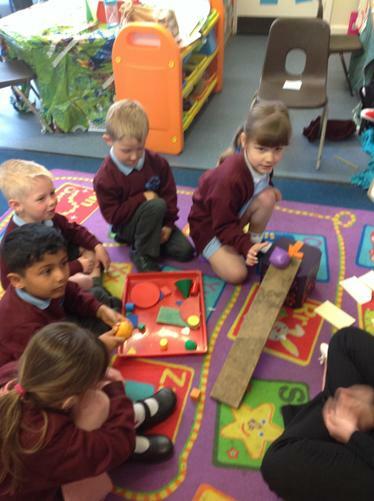 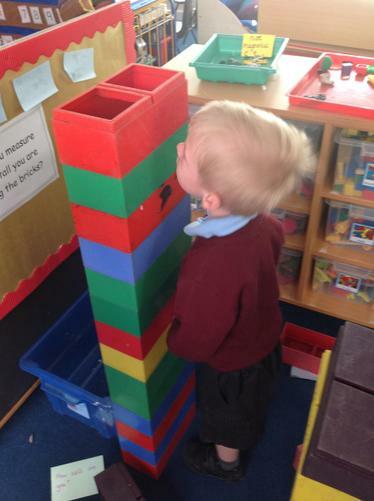 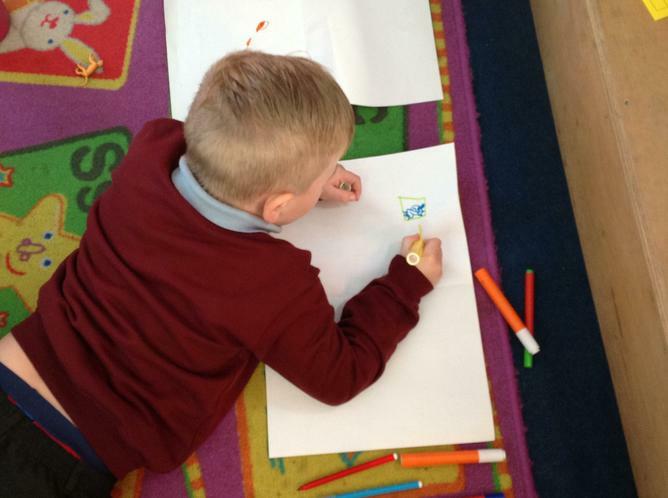 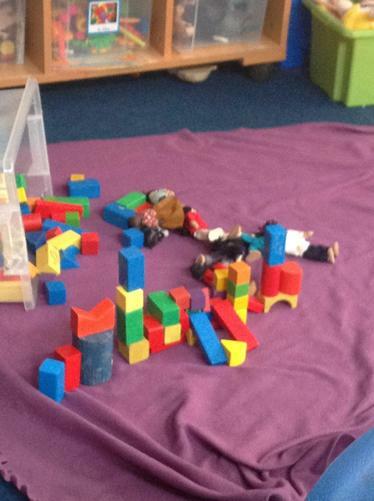 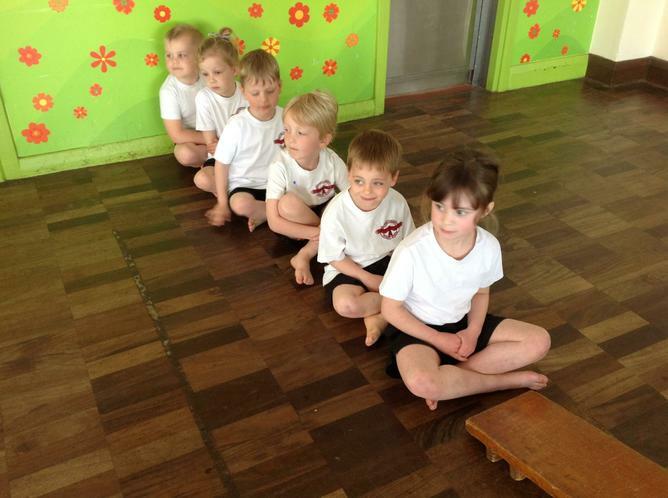 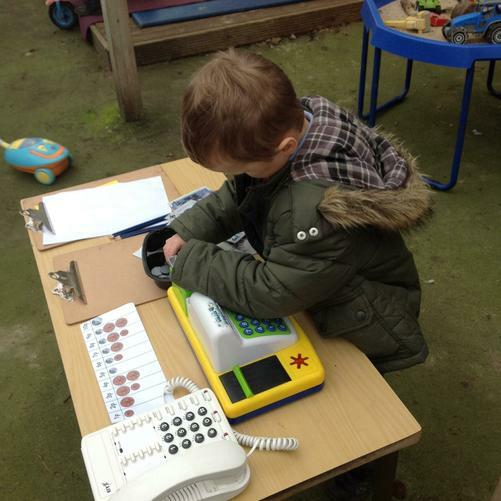 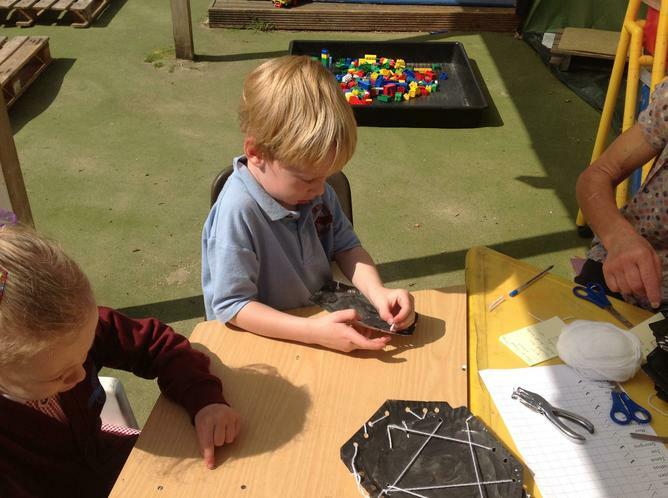 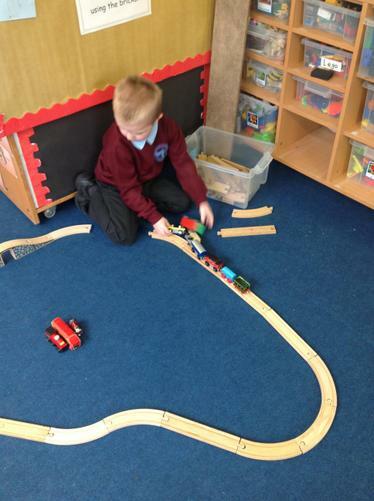 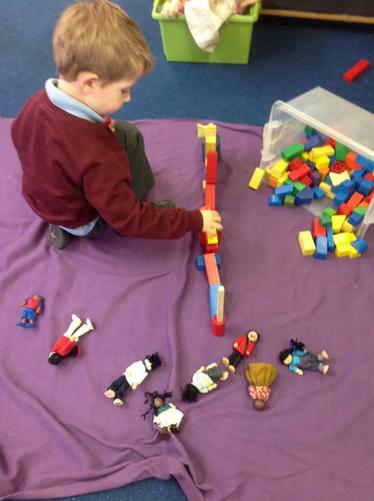 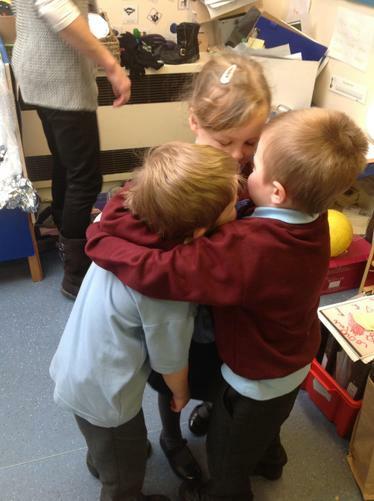 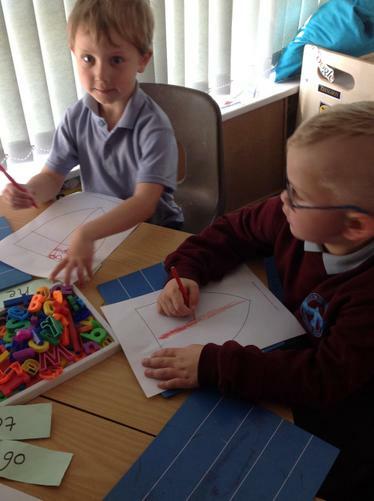 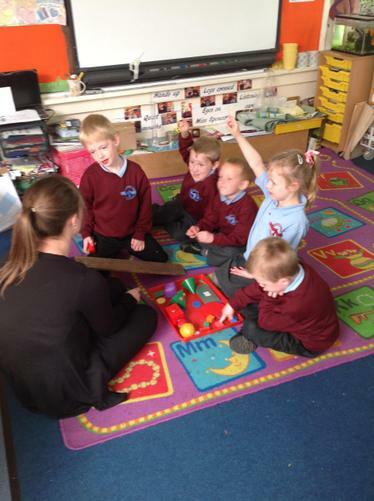 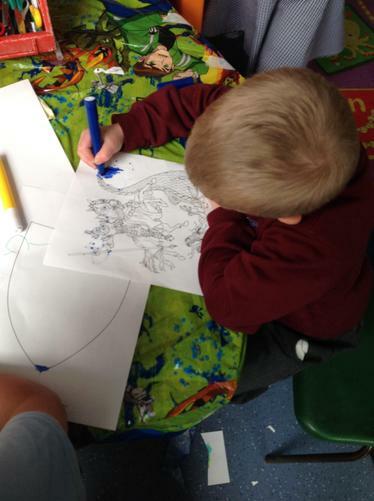 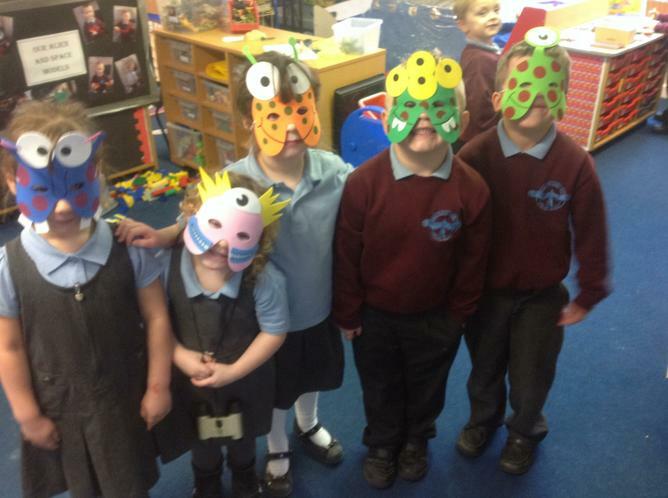 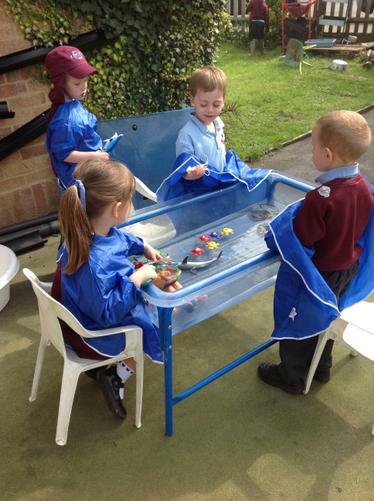 Children in Robin’s class follow the EYFS (Early Years Foundation Stage), children follow the EYFS framework from birth to 5 years old and all professionals (nurseries, child-minders, teachers etc.) 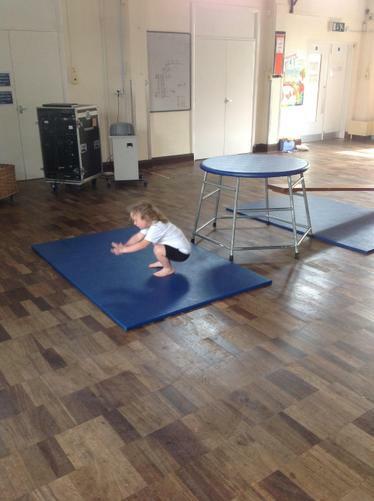 use this framework to plan for children’s next steps and support their holistic development. 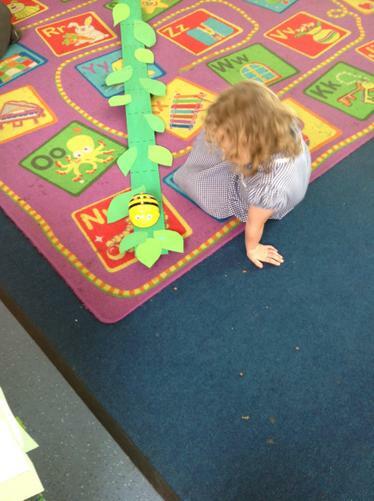 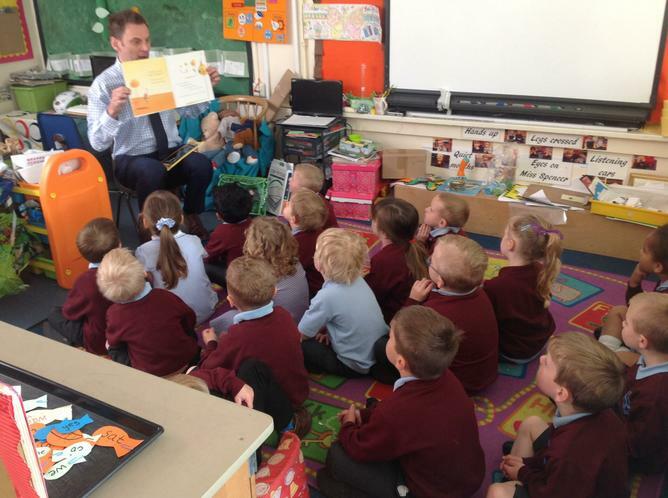 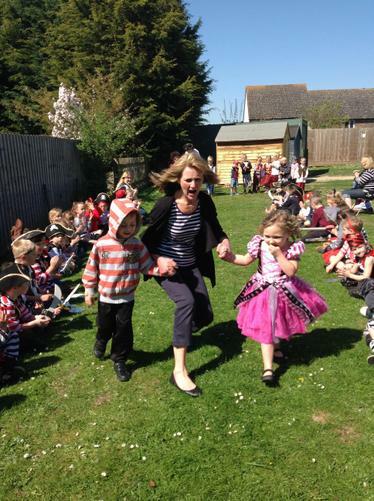 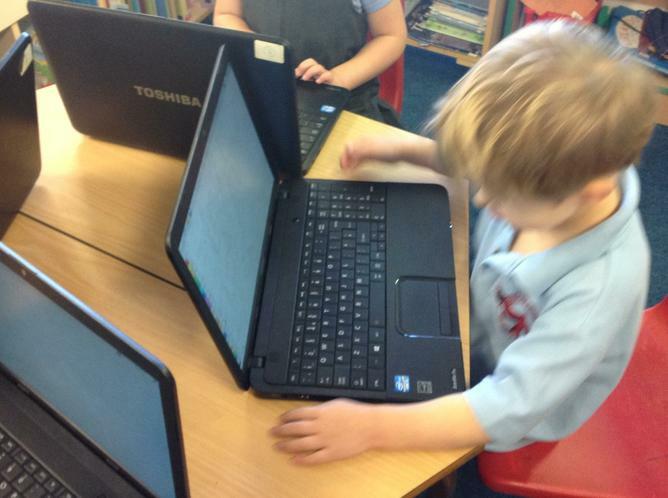 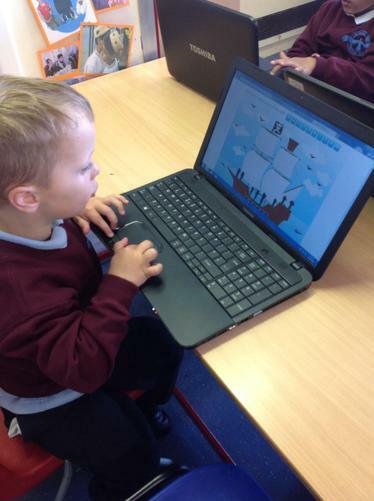 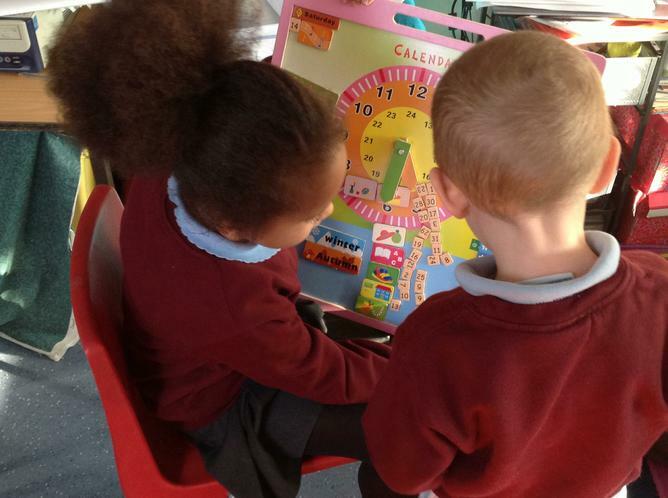 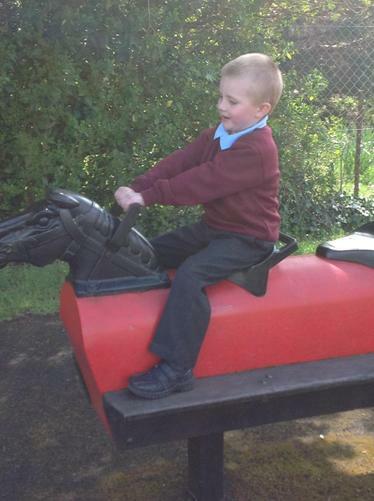 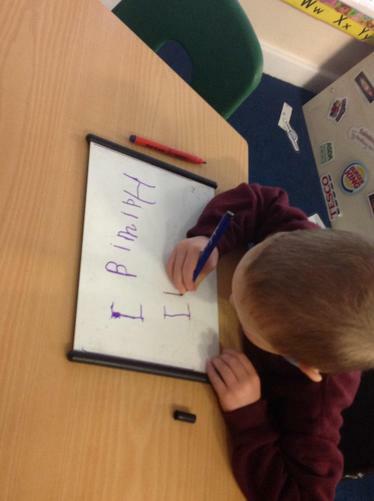 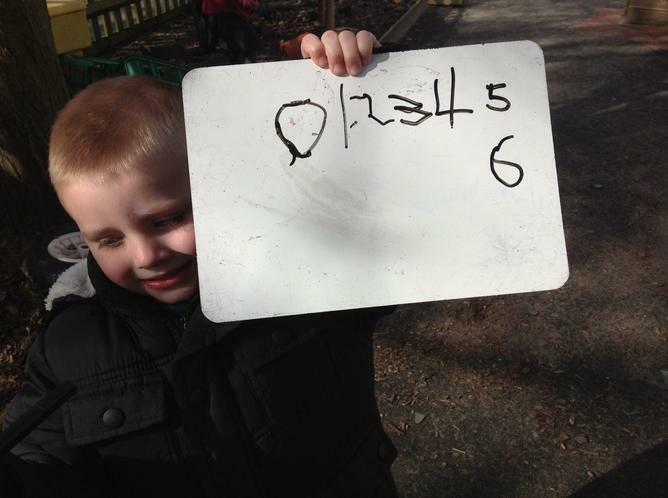 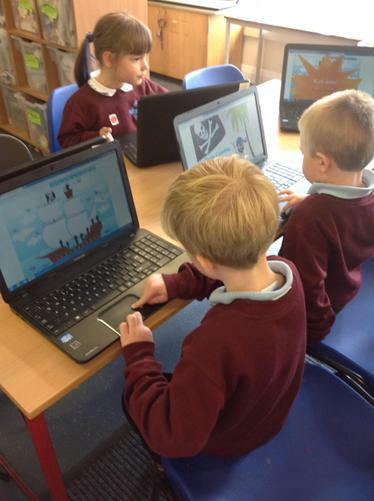 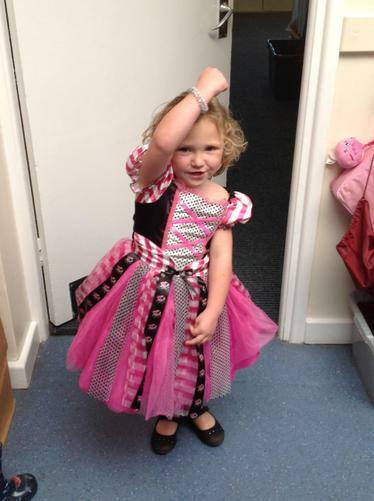 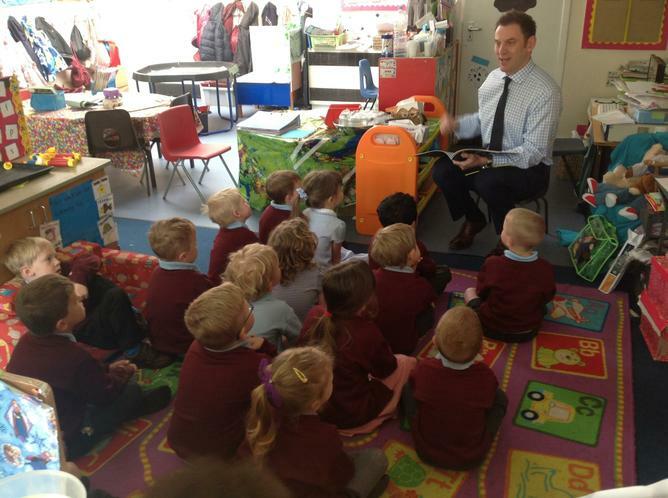 The EYFS was recently revised and the revised EYFS came into effect in September 2012. 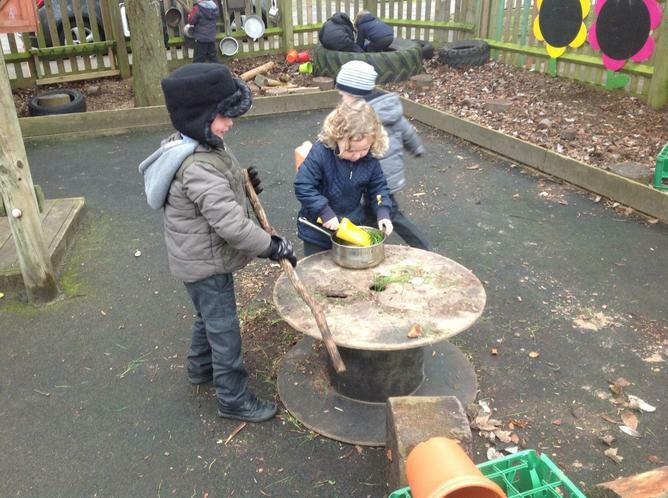 The changes to the framework include stronger partnerships between parents and professionals, changes to the areas of learning with 3 specific and 4 prime, introduction of a progress check for 2 year olds, and simplified assessment at the end of the Foundation. 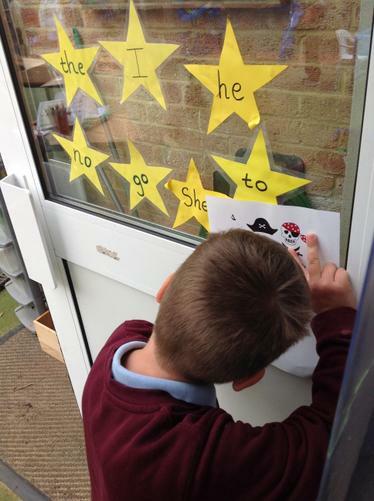 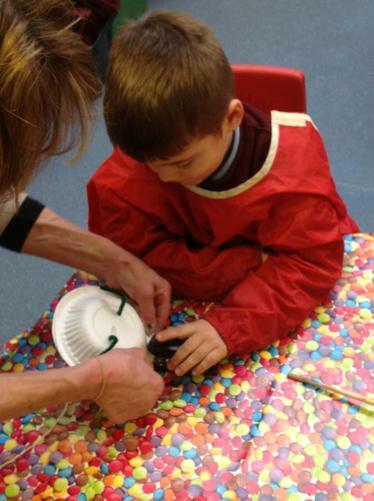 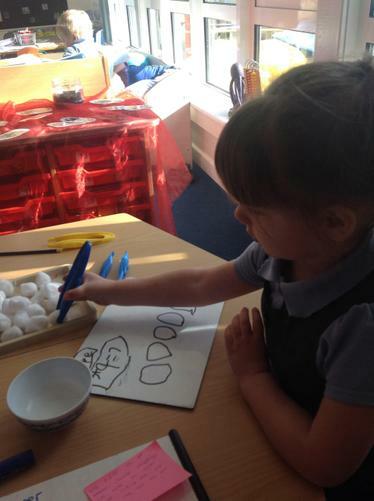 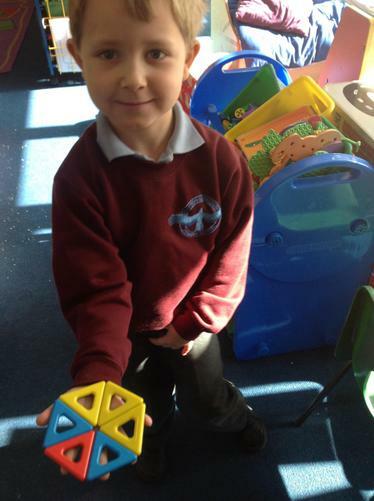 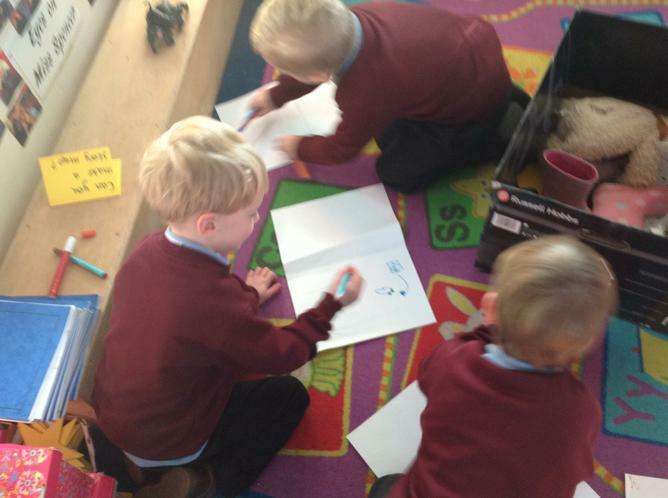 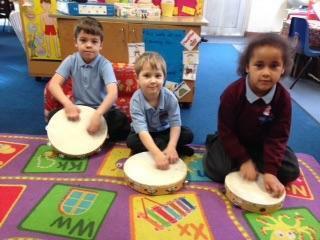 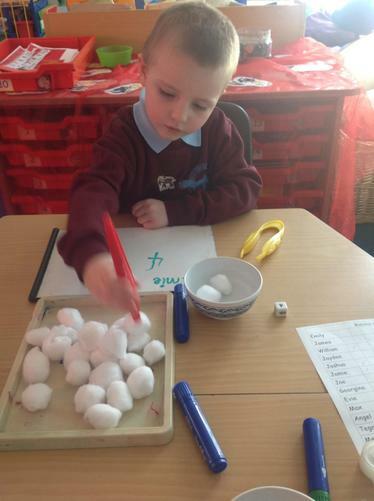 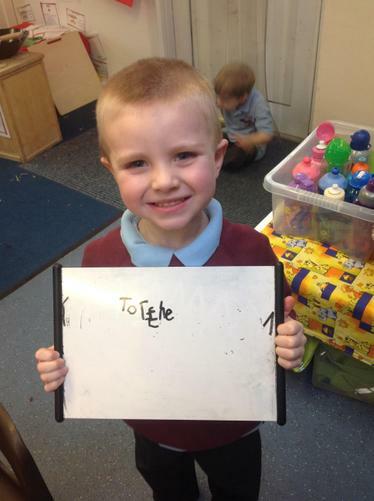 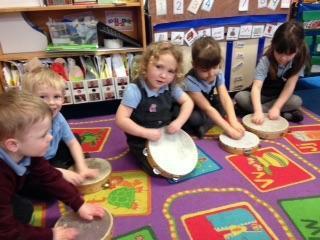 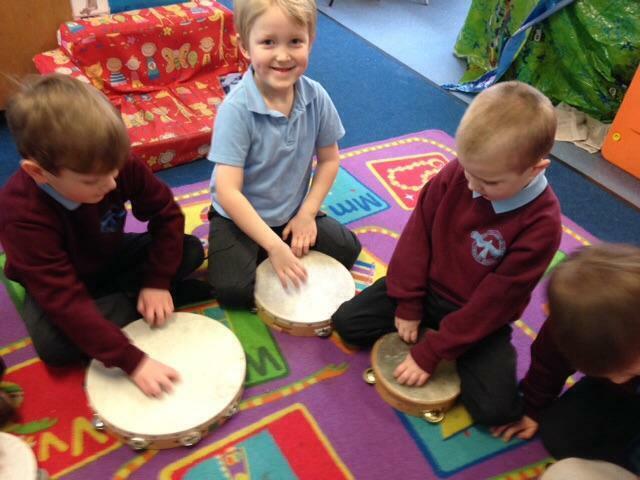 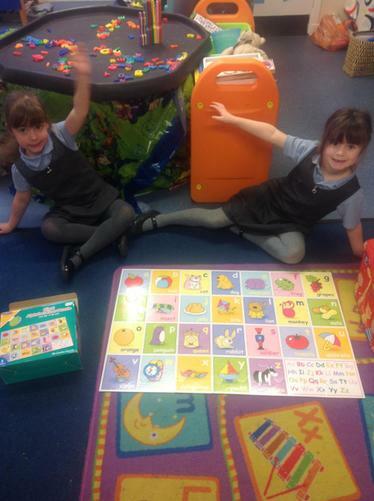 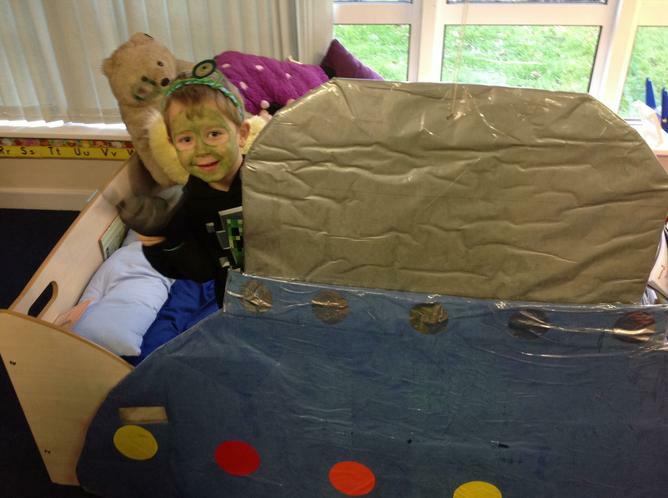 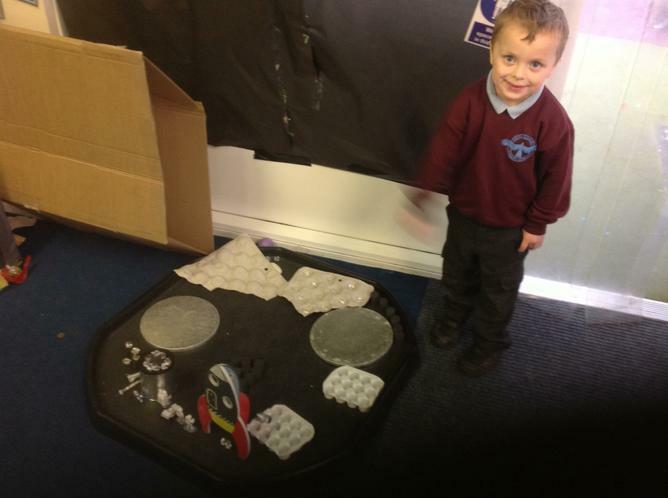 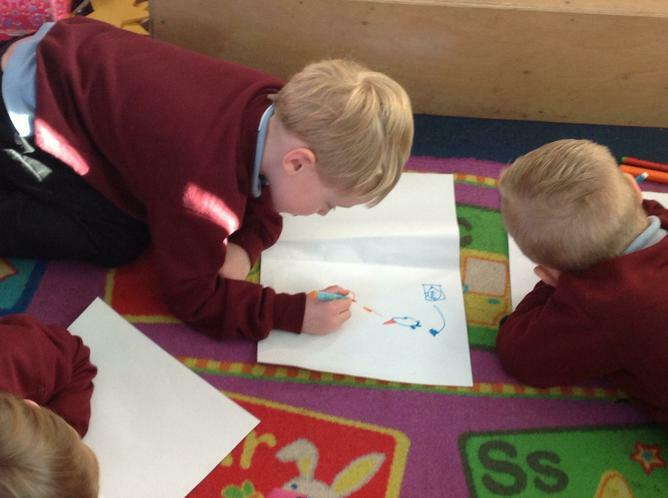 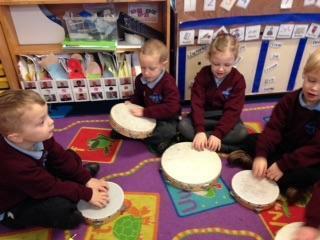 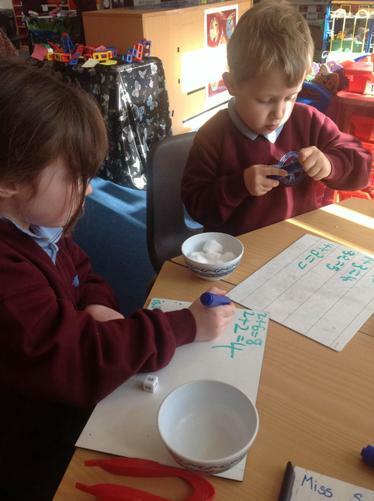 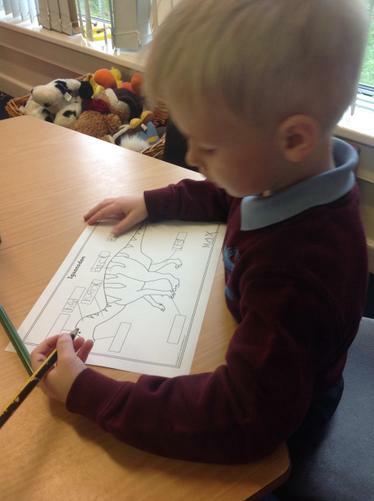 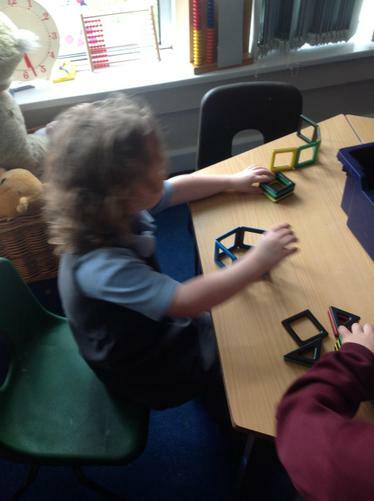 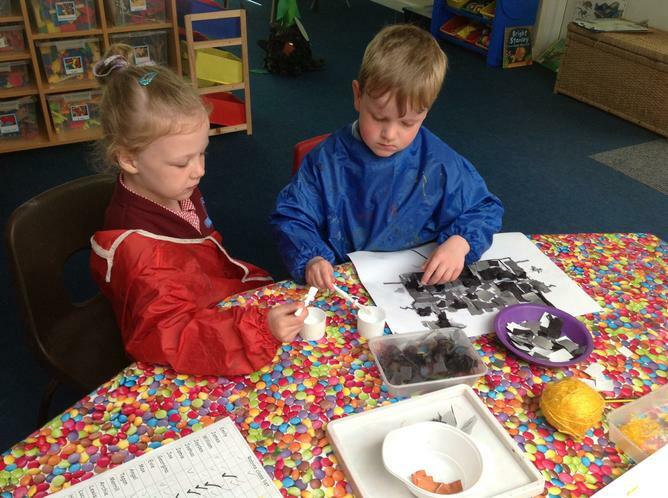 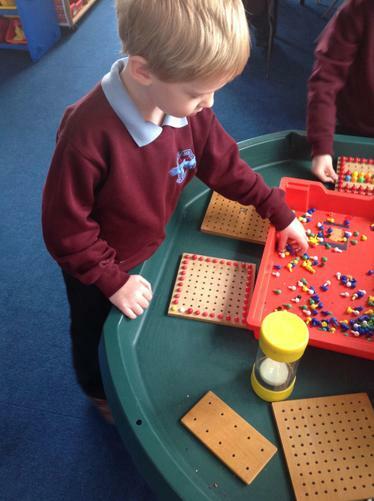 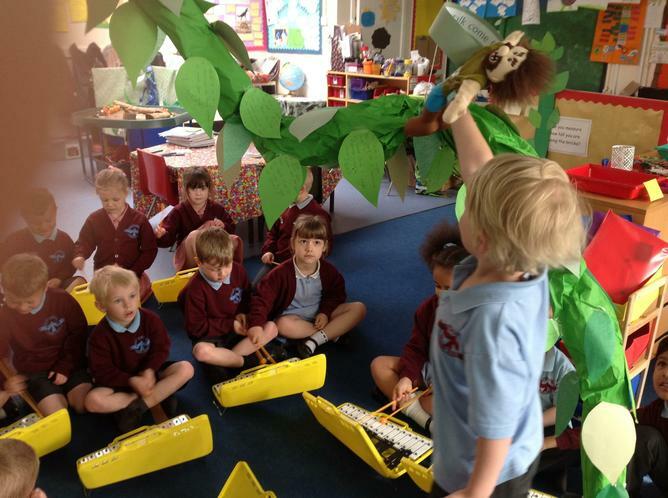 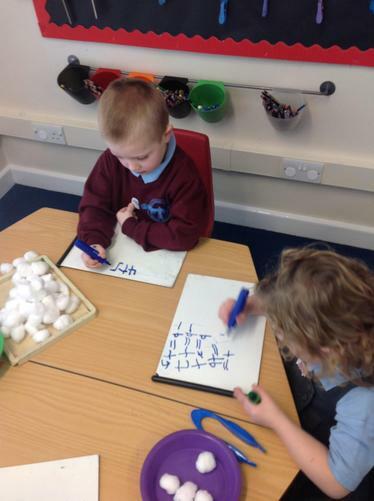 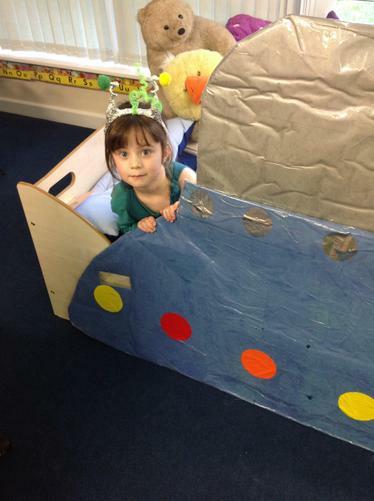 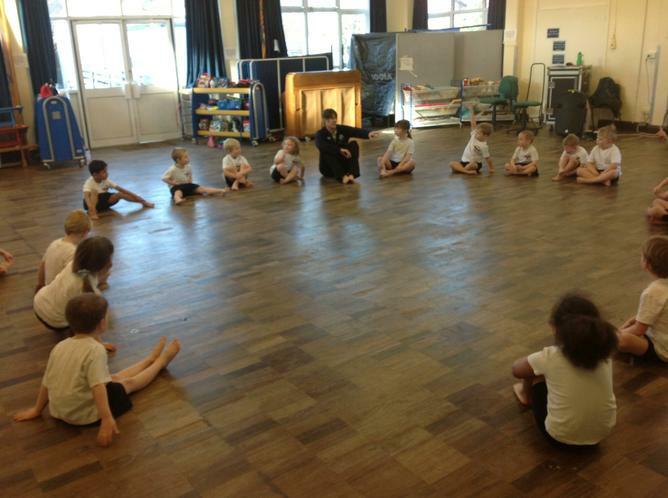 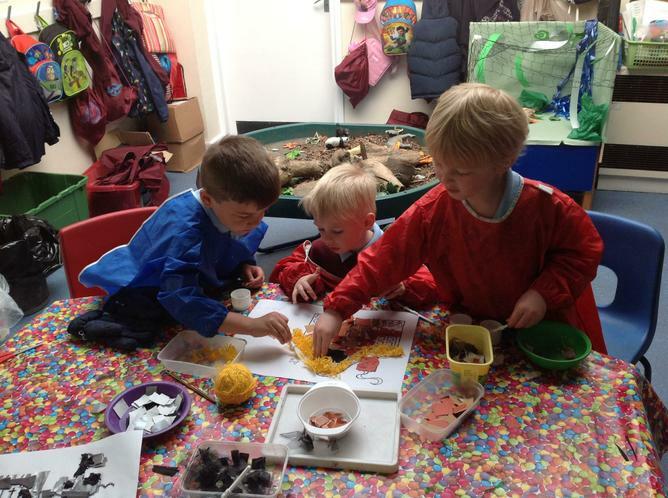 The EYFS is a very important stage for children as it helps prepare them for more formal teaching and lifelong learning. 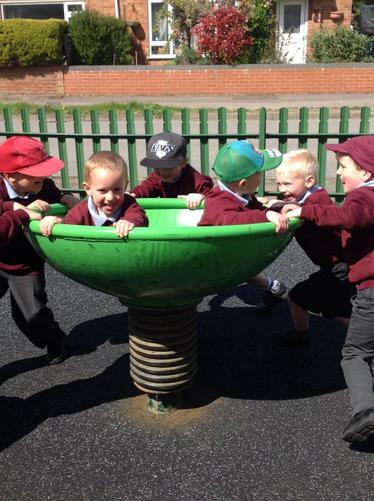 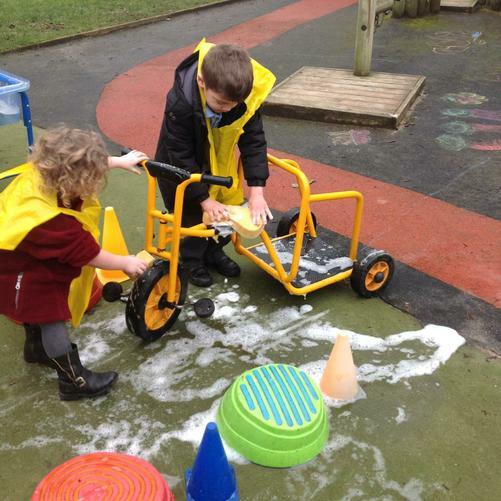 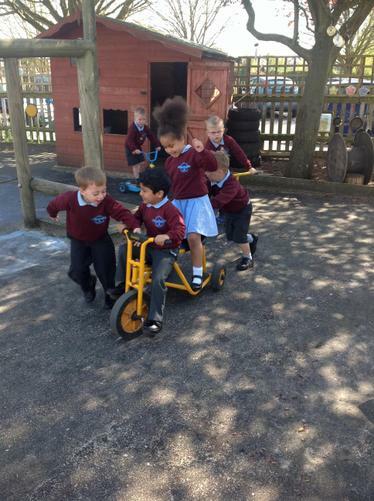 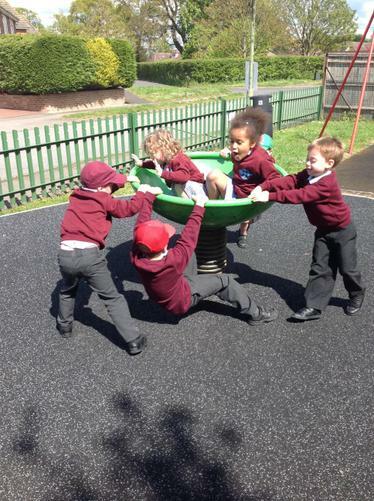 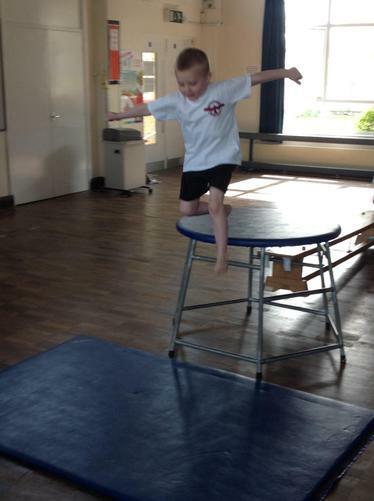 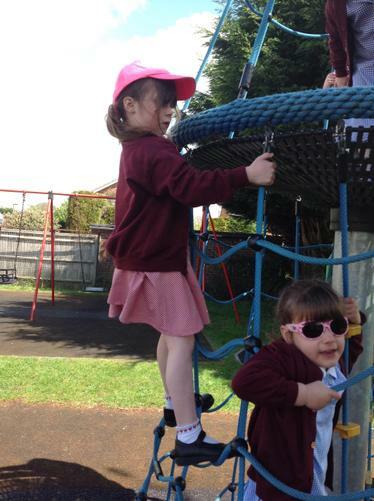 Children’s early years’ experience should be a happy, active, exciting, fun and safe time which enables every individual child to achieve their full potential. 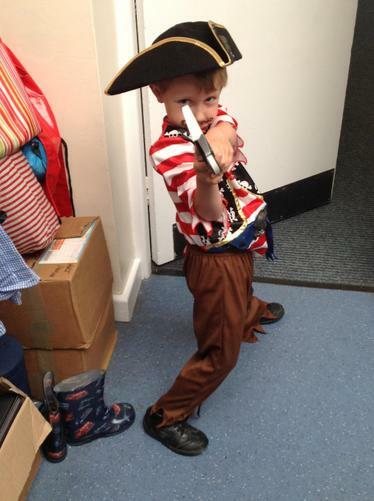 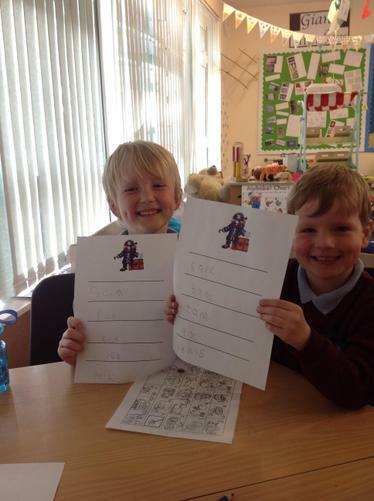 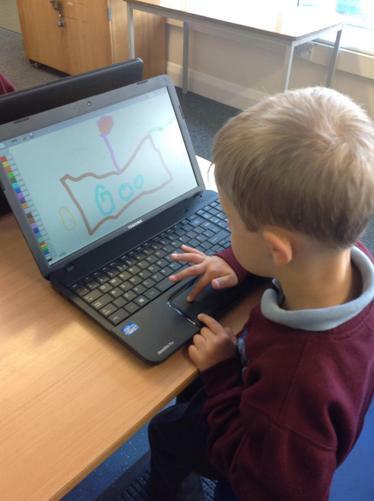 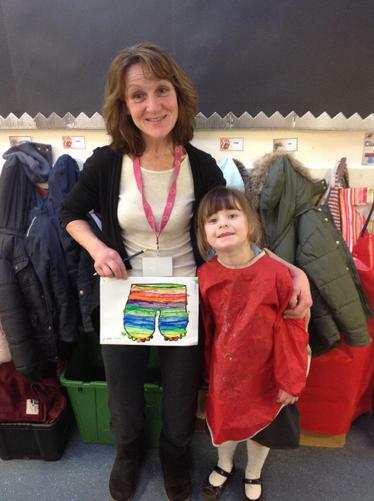 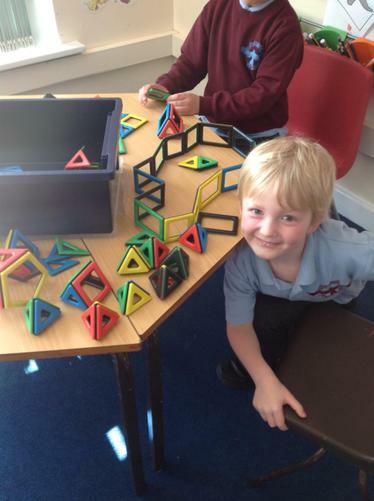 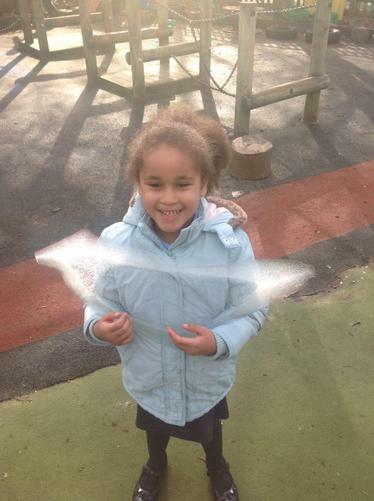 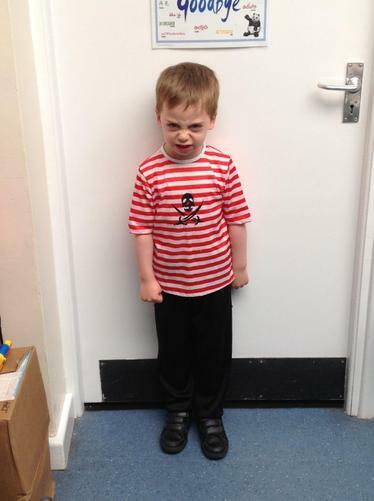 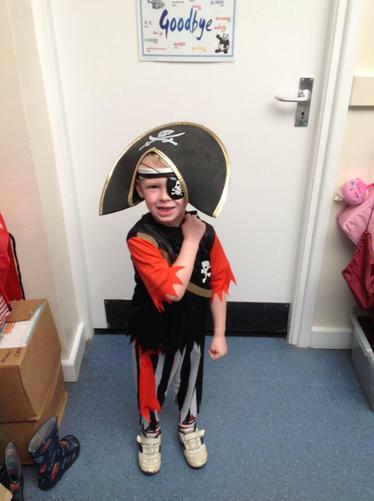 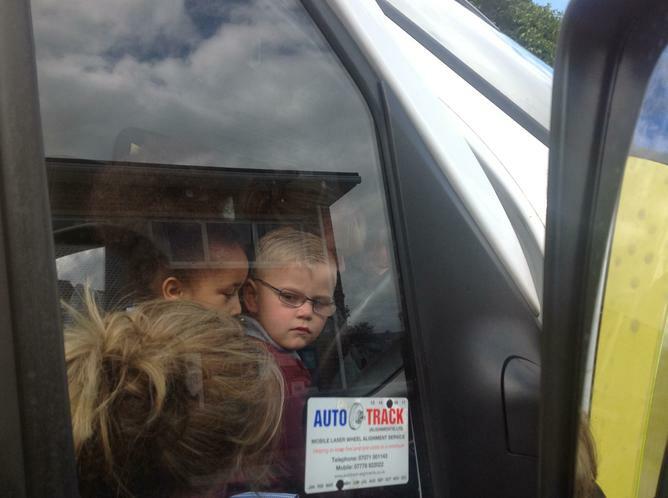 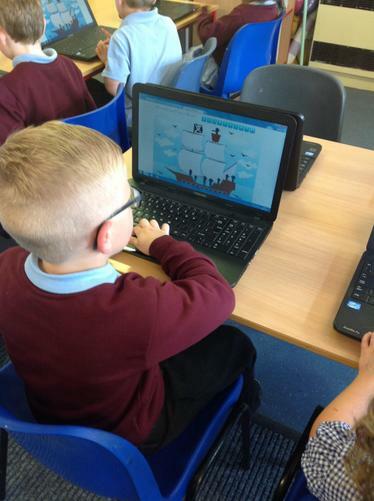 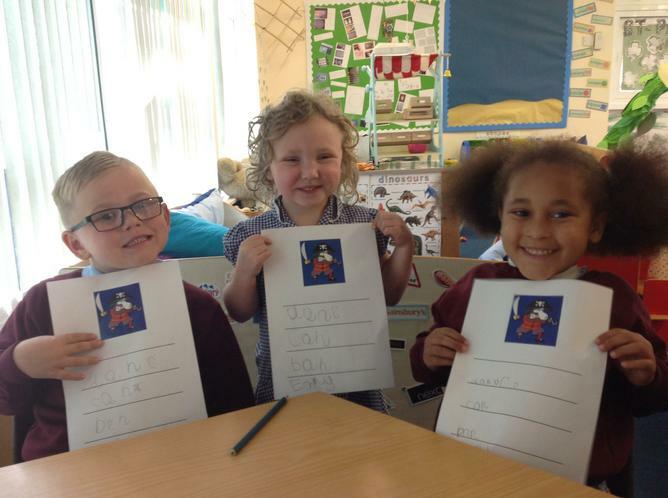 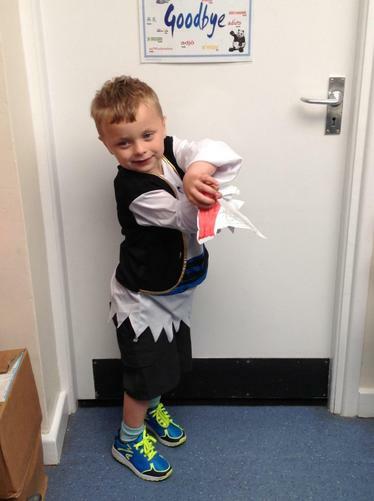 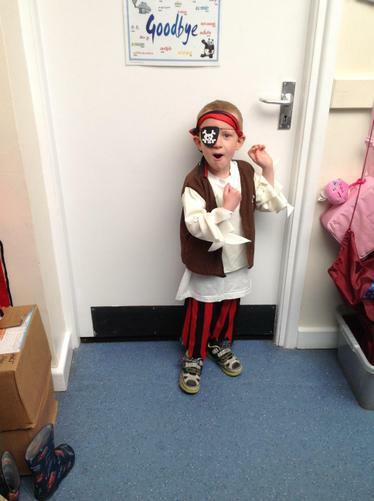 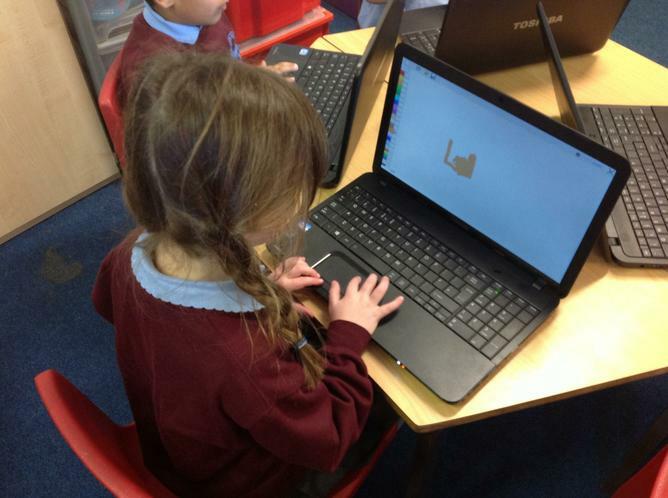 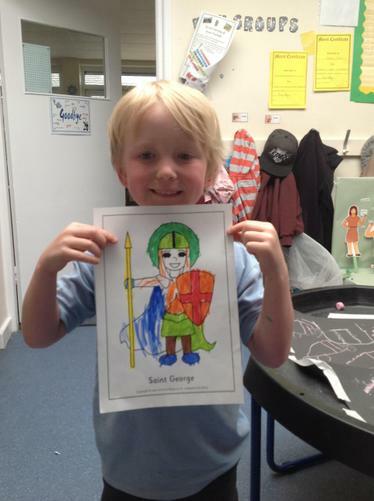 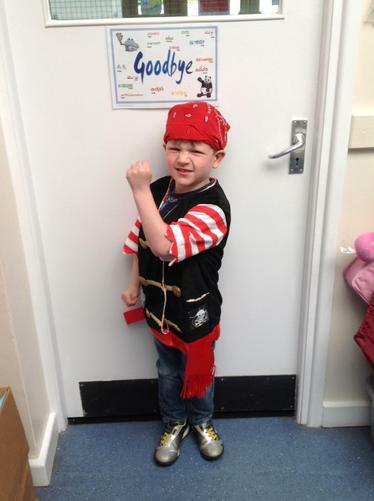 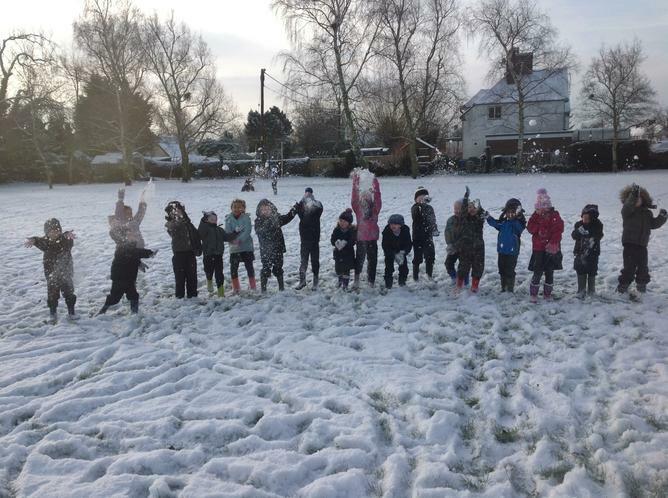 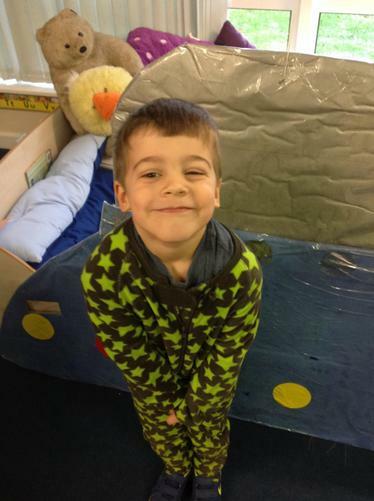 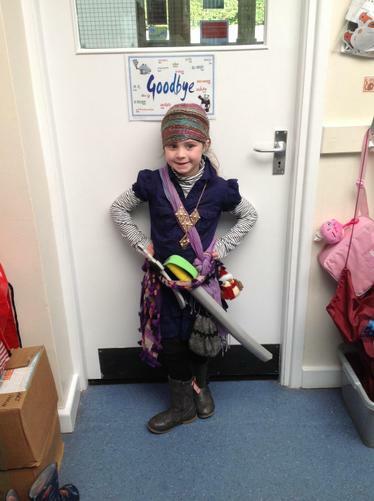 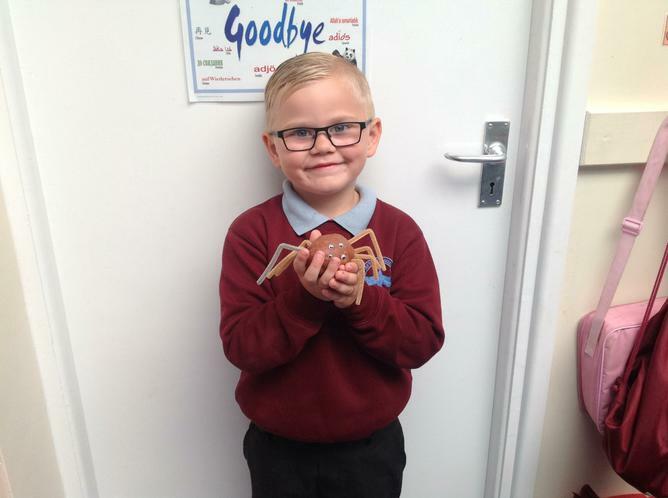 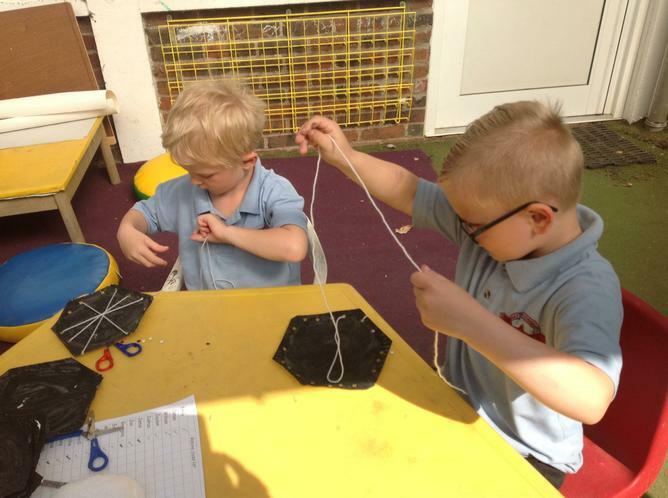 Here at Drayton Community Primary School we aim to ensure that all children learn by ‘doing’ and leave Robin’s class with a love of learning and feeling safe and excited by the opportunities that learning offers. 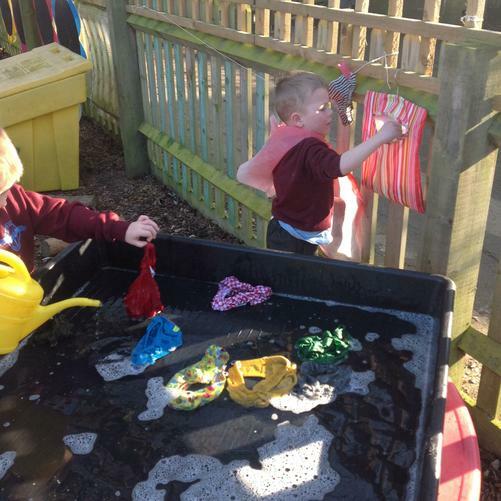 For more information of what each of these areas of learning involve please read the parental booklet which will also give ideas to support your child’s learning at home in fun, practical ways. 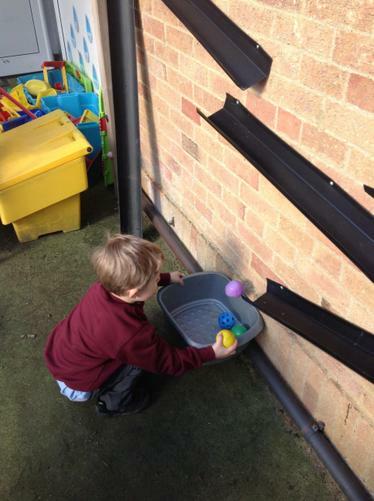 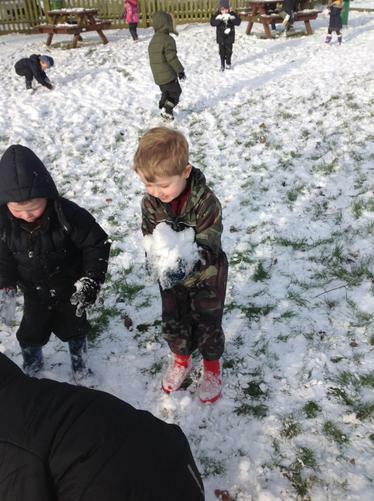 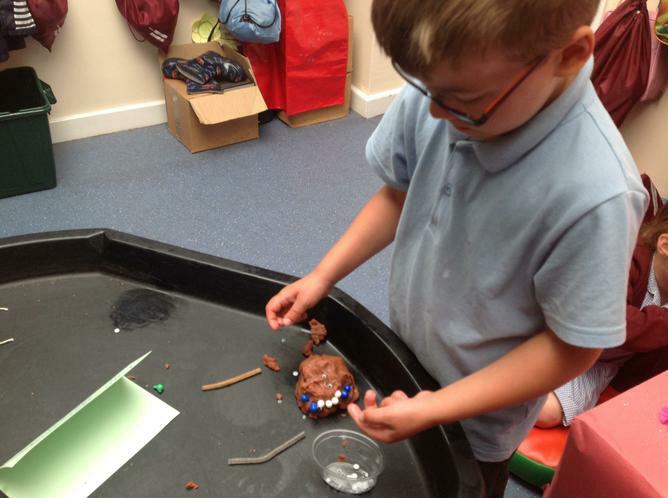 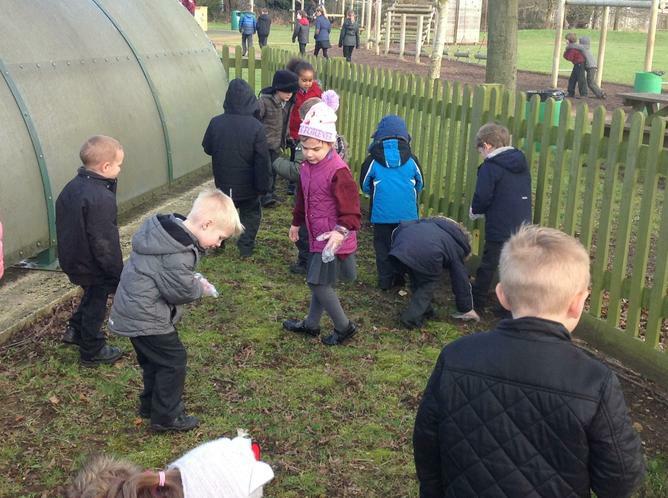 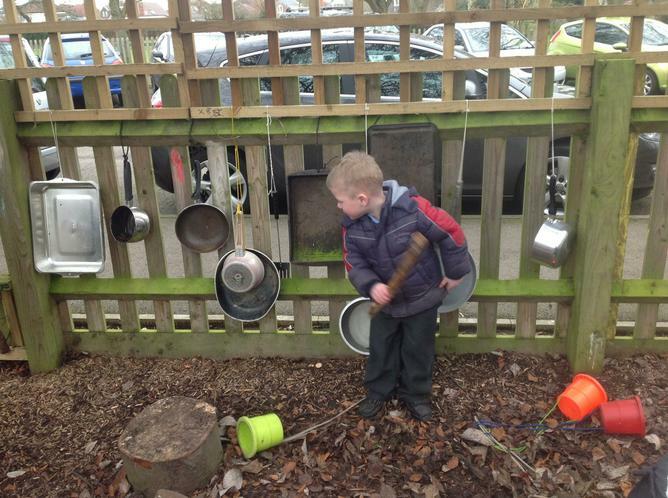 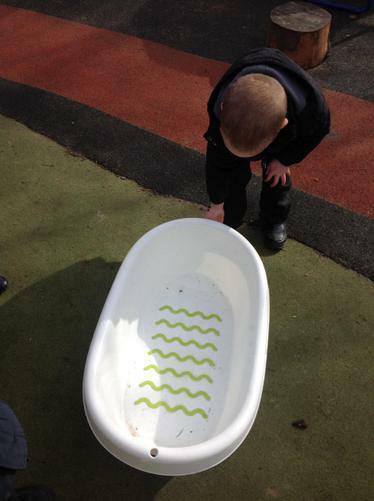 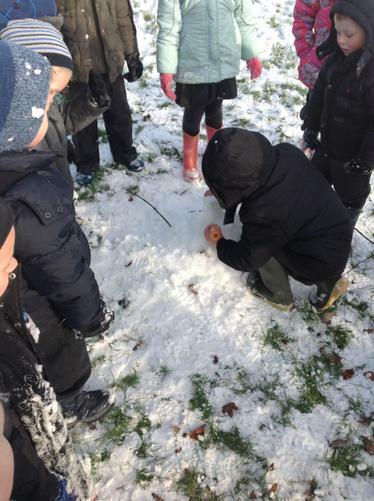 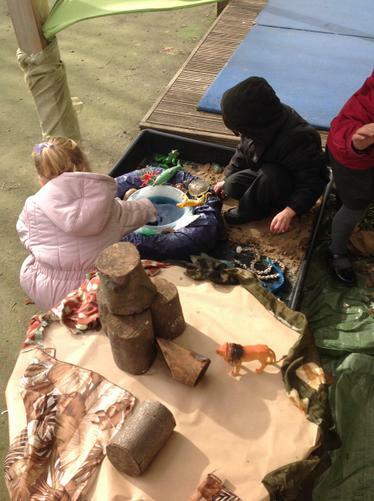 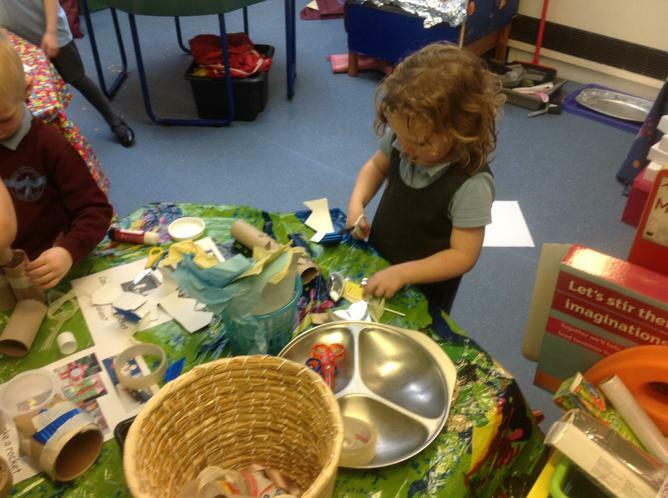 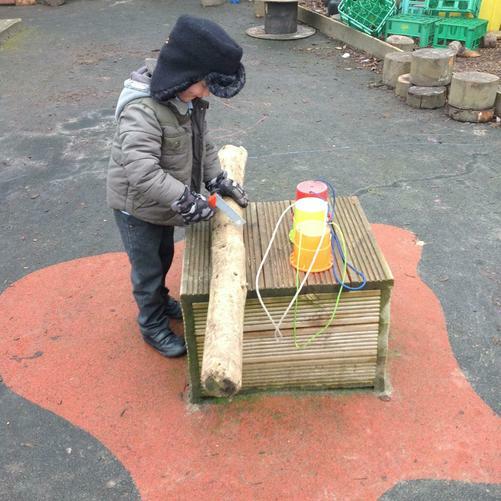 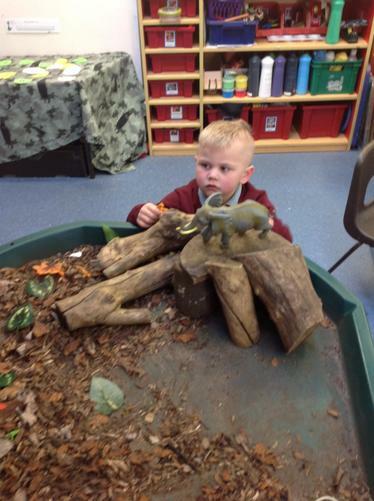 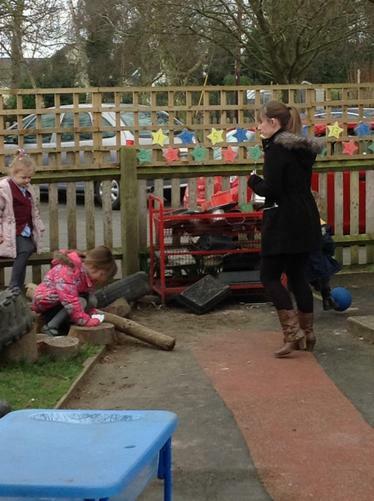 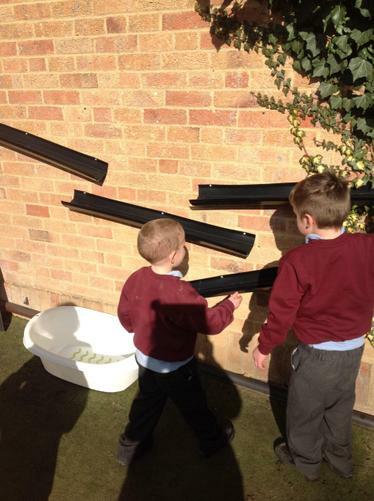 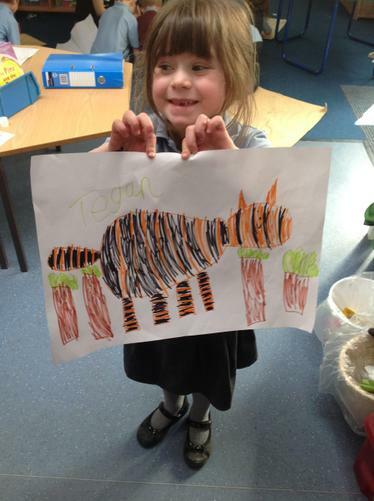 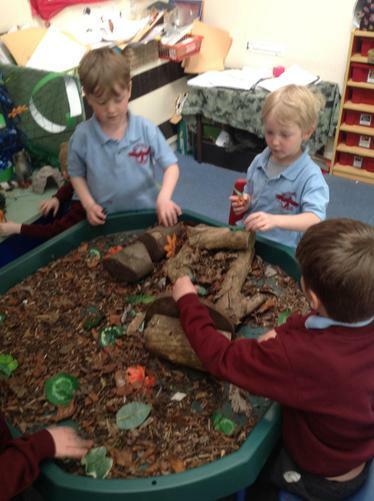 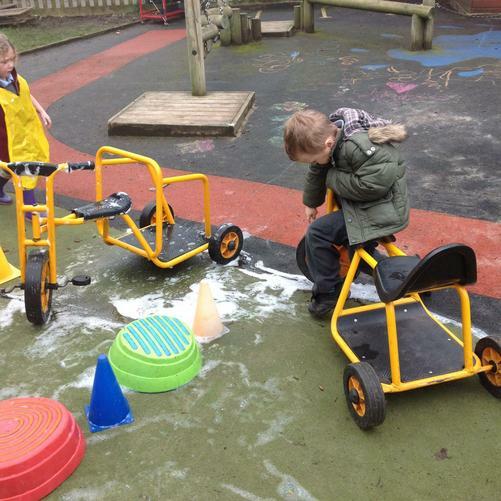 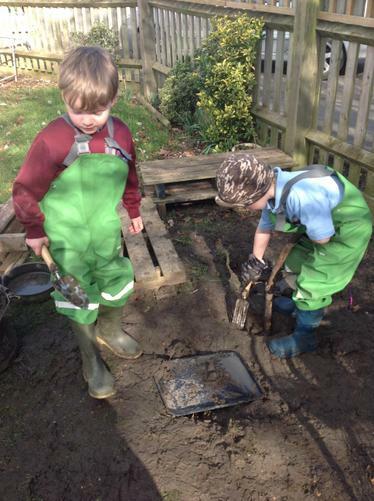 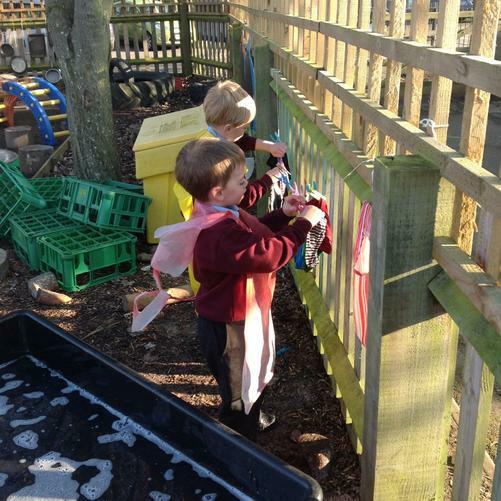 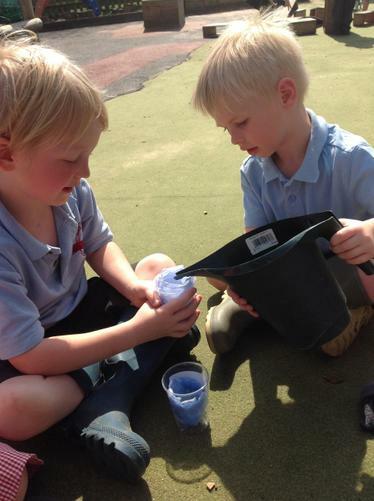 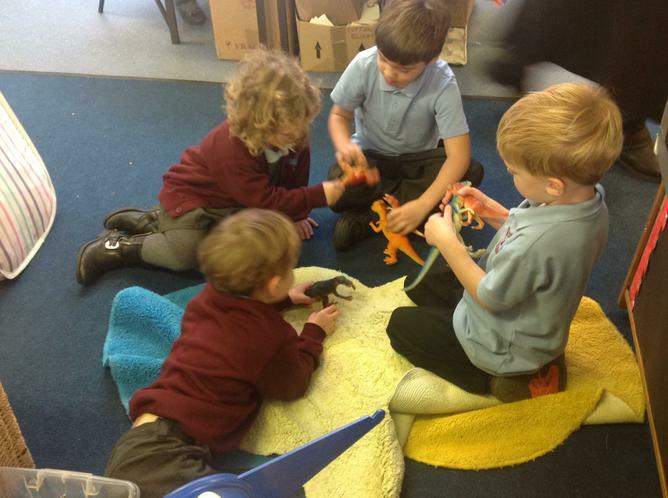 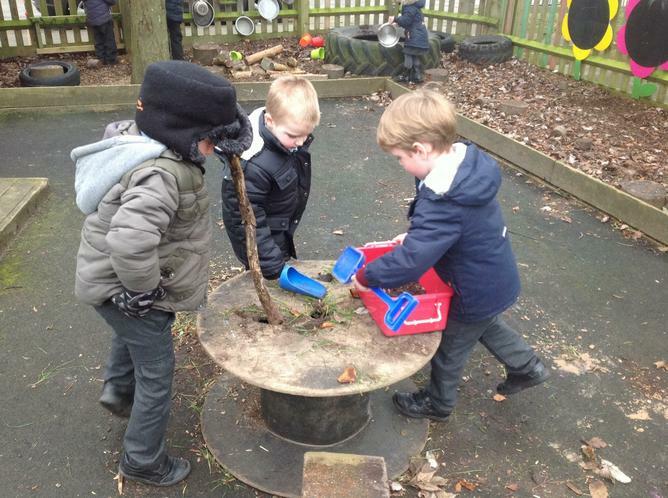 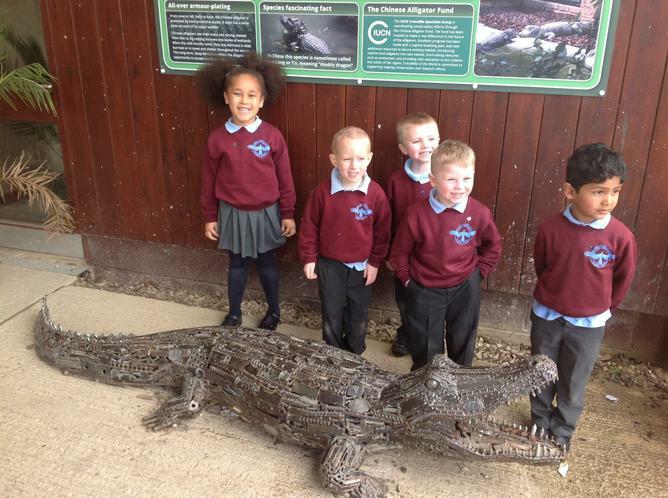 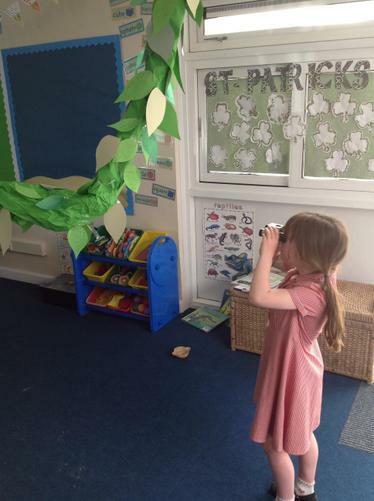 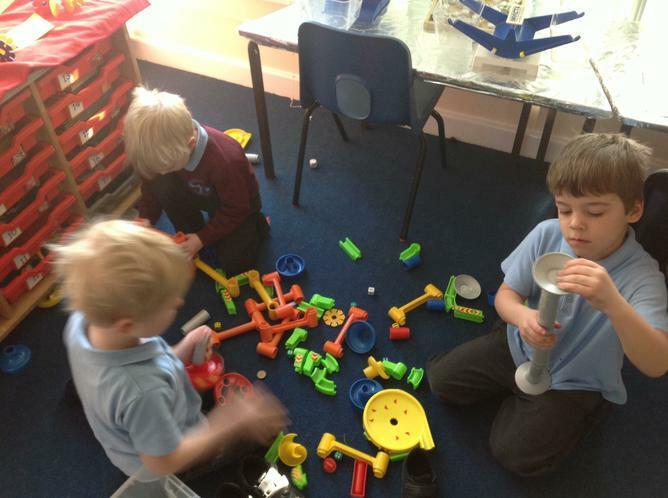 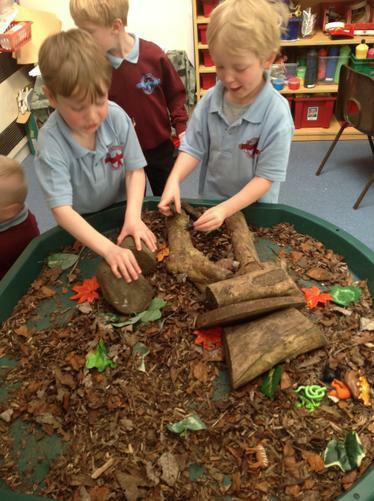 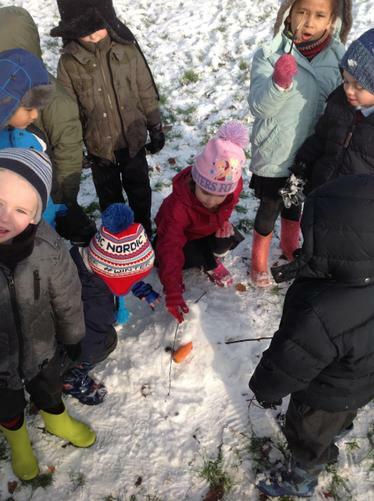 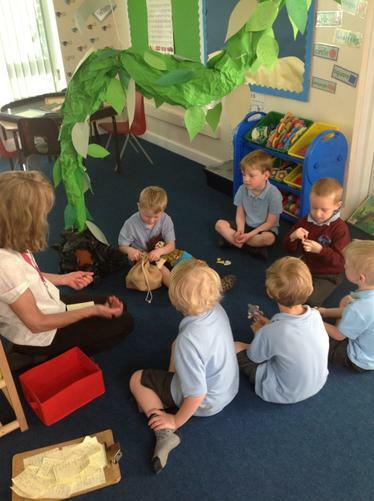 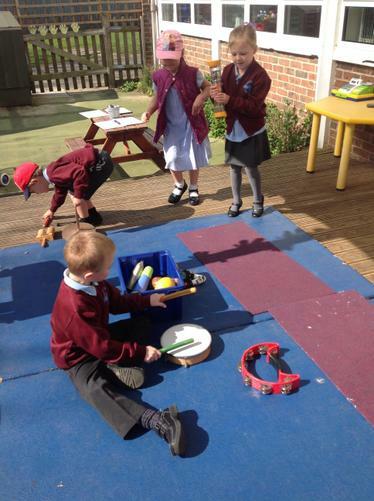 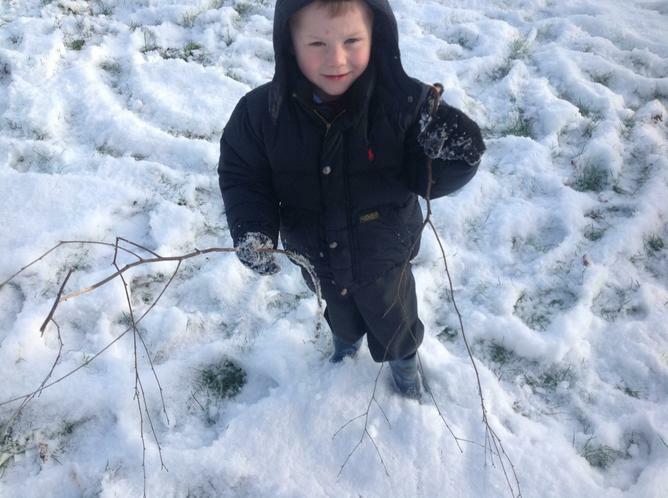 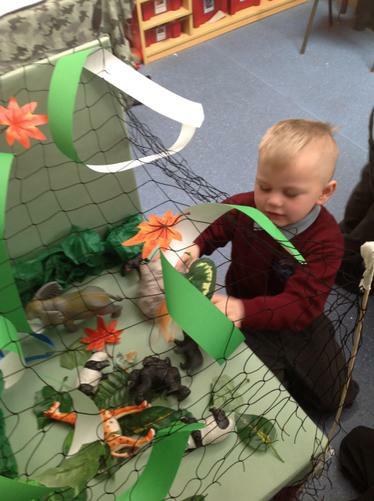 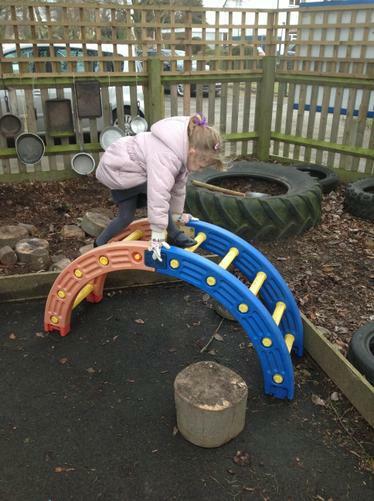 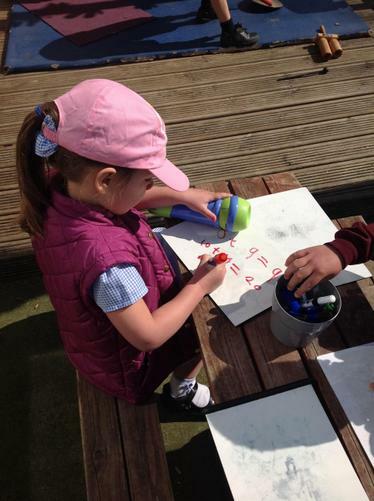 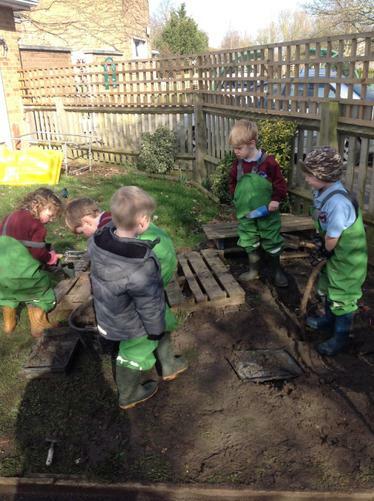 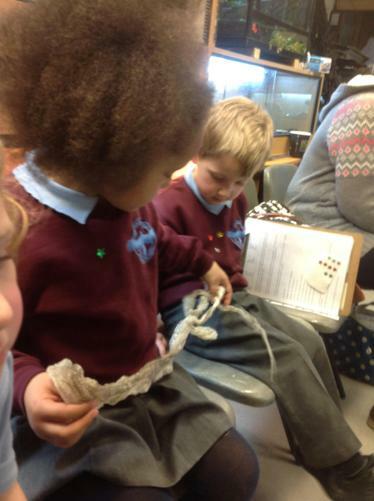 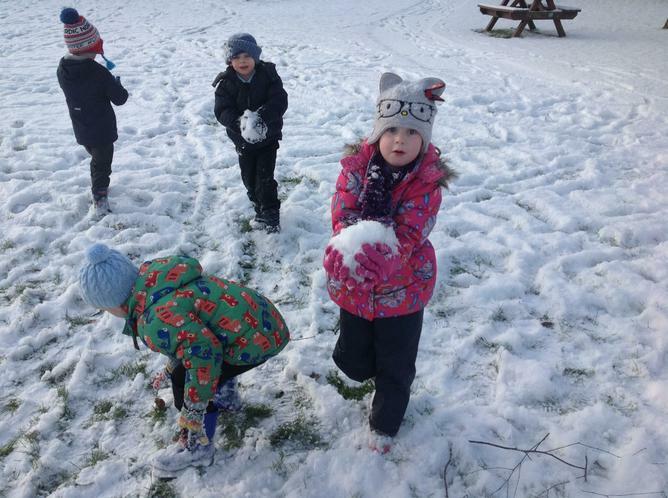 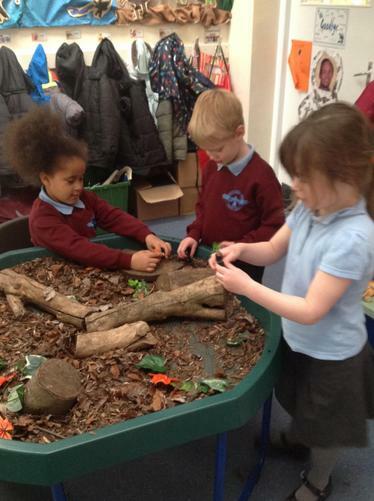 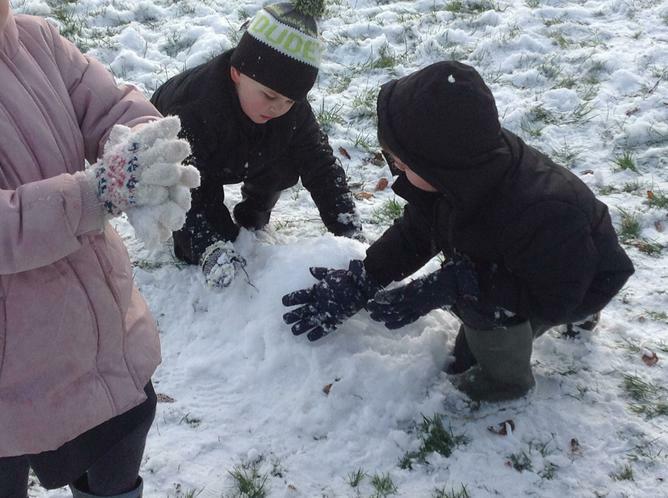 The revised EYFS identified that children relate to things and interact with the environment in different ways; these have been classified as the ‘characteristics of learning’. 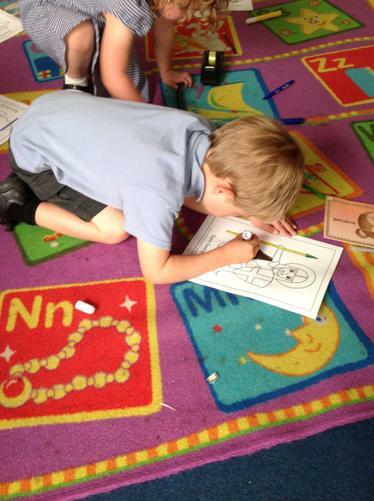 These characteristics run through all areas of learning. 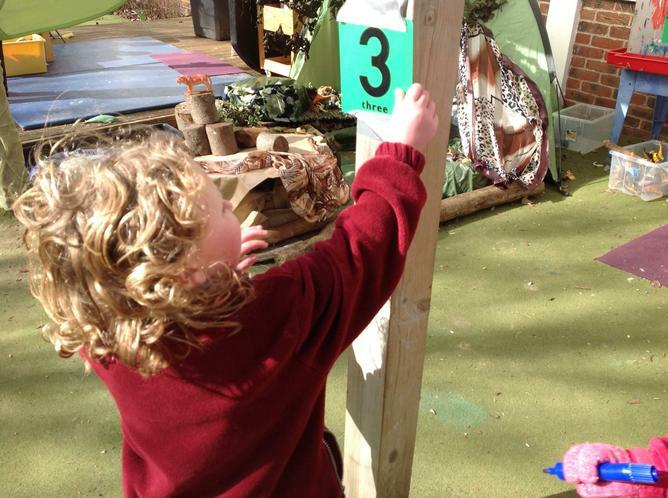 During the EYFS observations will be made on these characteristics of learning and at the end of the year these will be reported on. 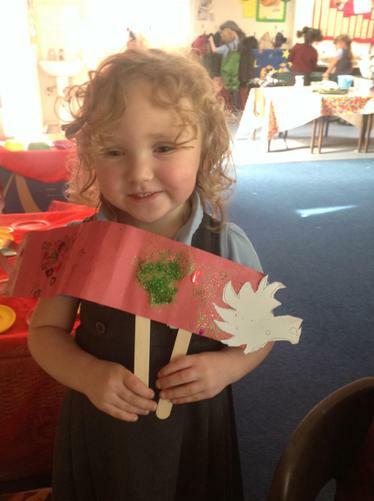 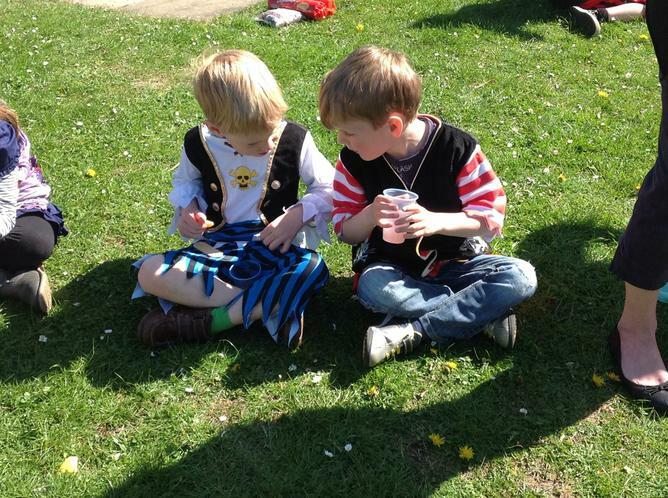 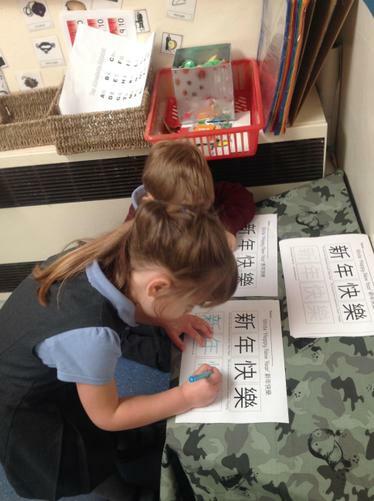 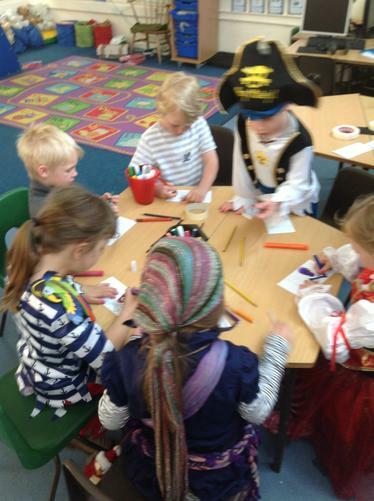 Topics are planned to incorporate the children’s interests, events such as festivals including Christmas, Chinese New Year and Easter and times of year such as autumn, winter and summer. 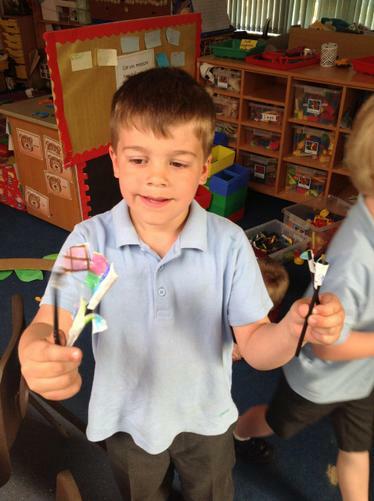 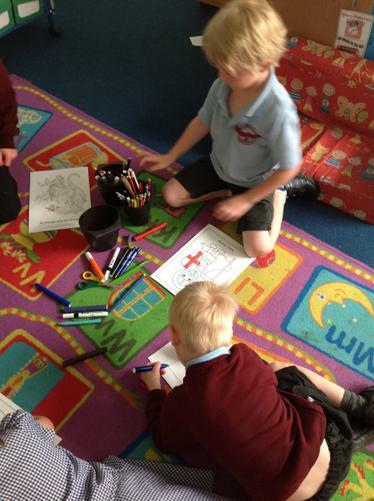 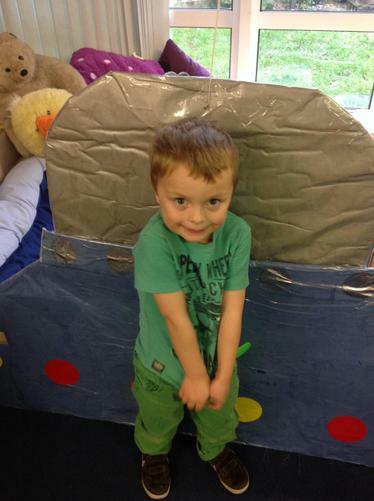 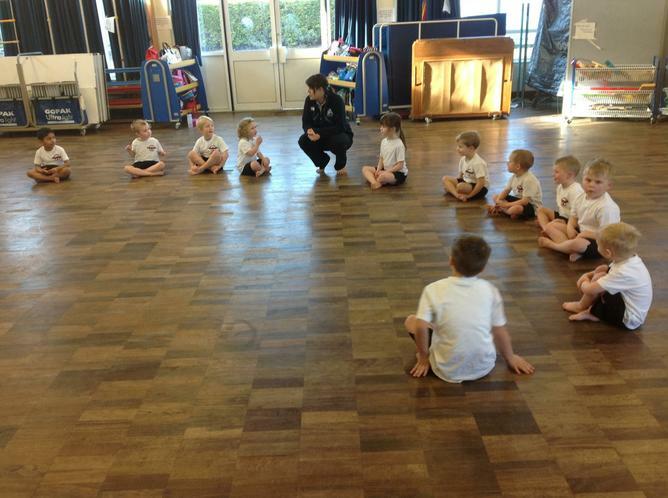 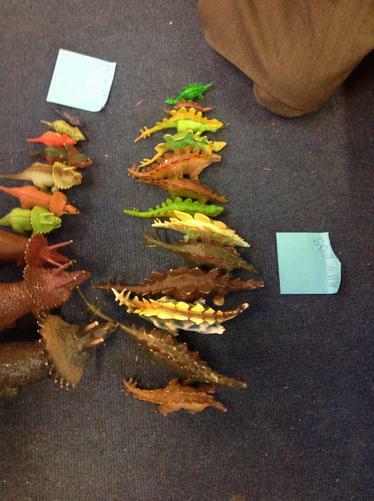 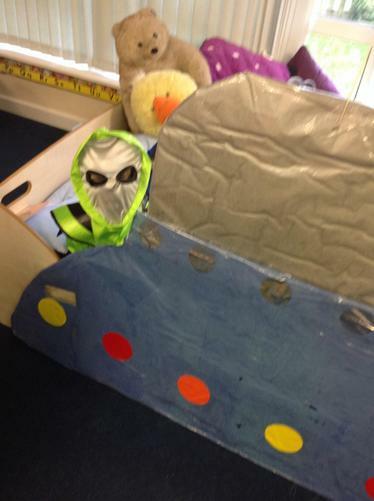 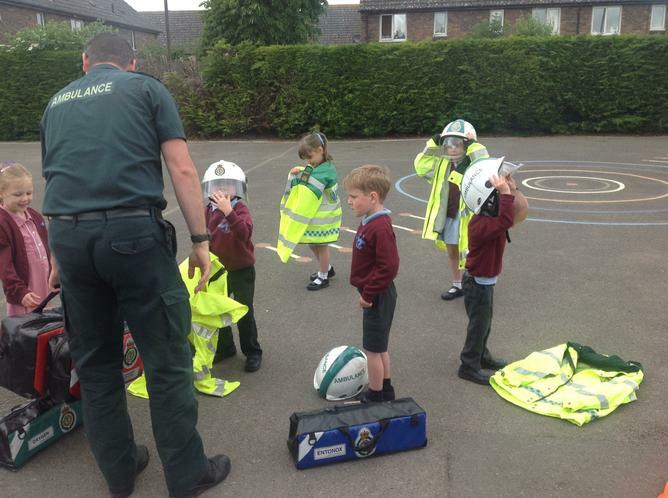 After talking to the children topics are likely to include police, vehicles, minibeasts, puppets and The Stickman! 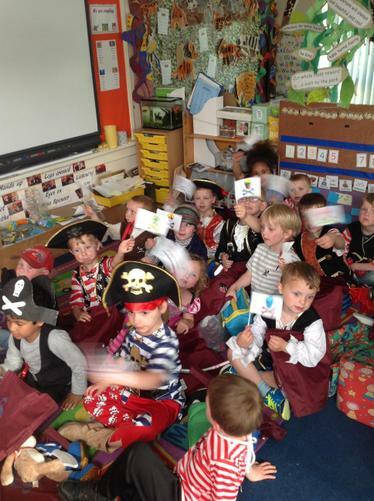 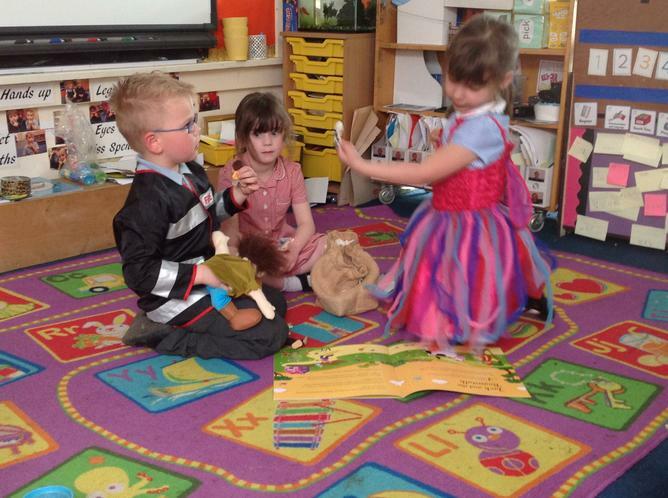 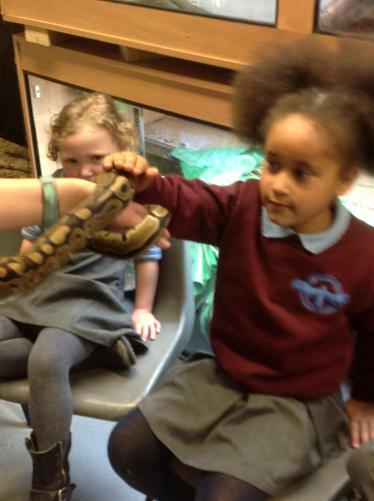 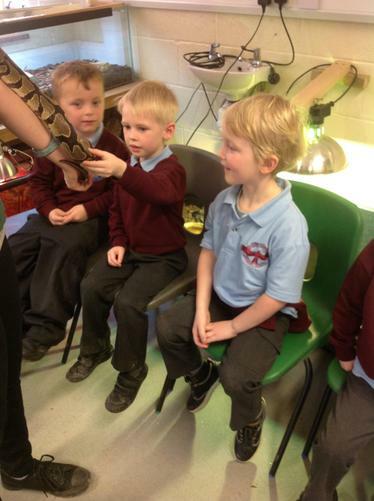 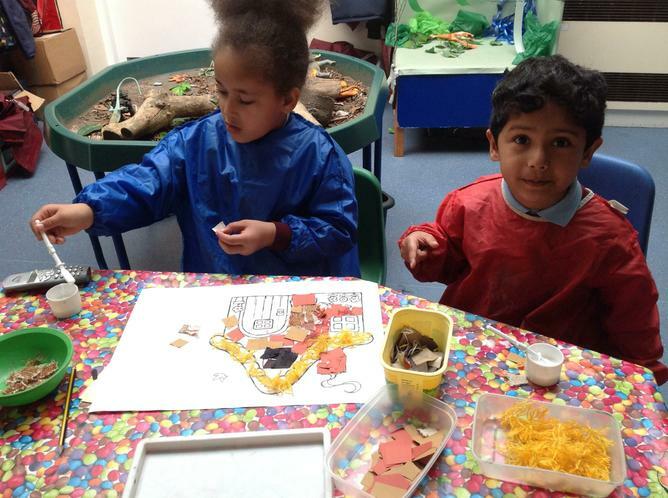 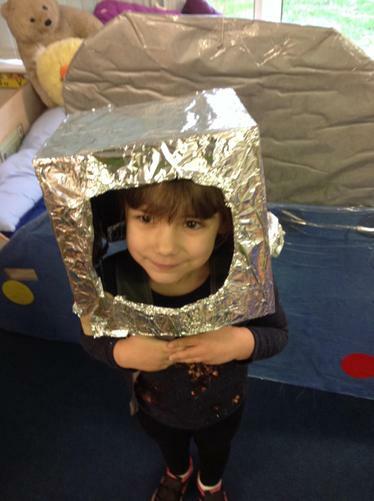 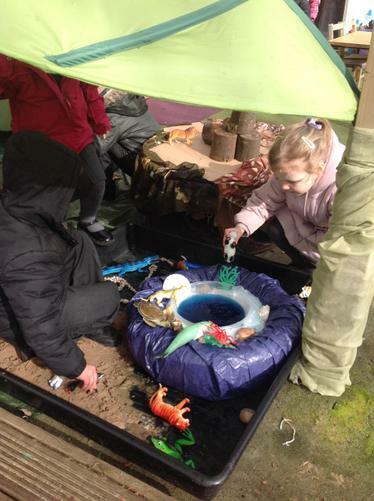 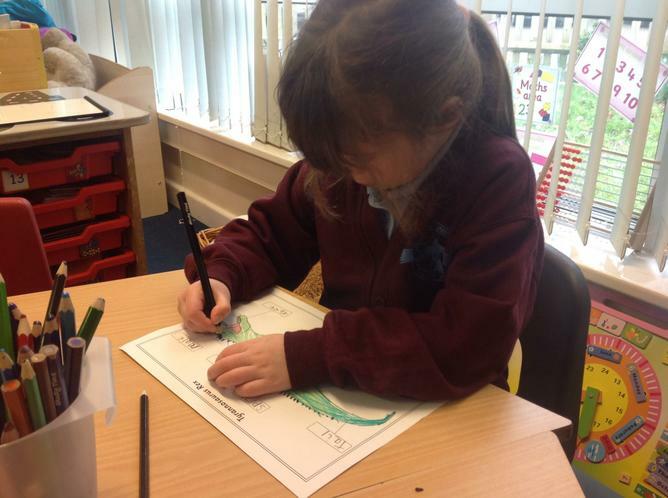 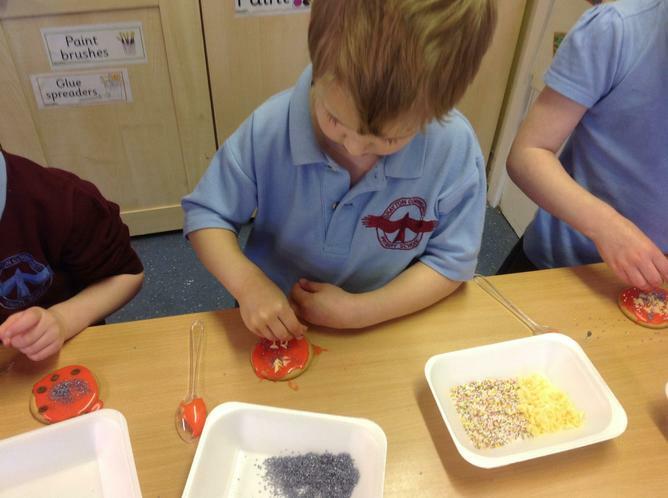 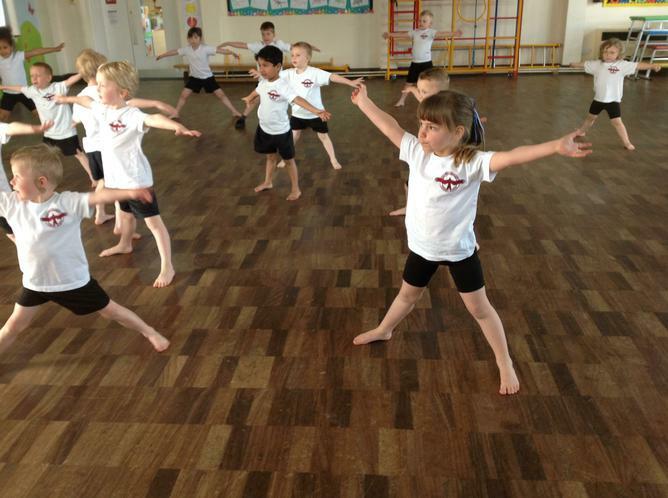 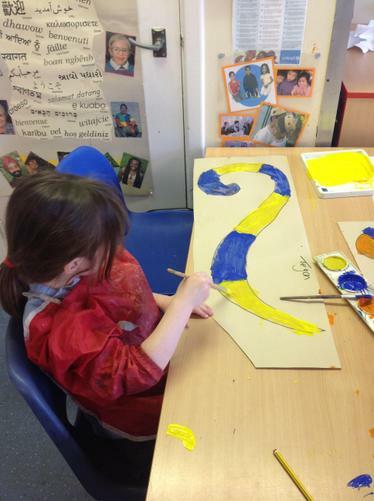 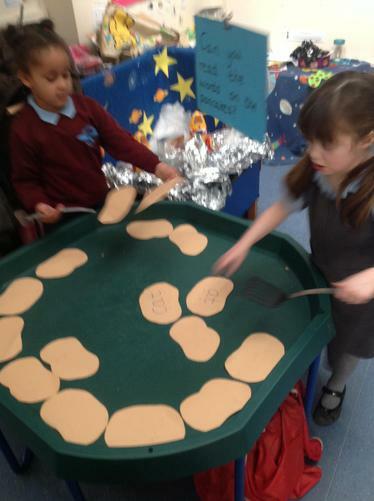 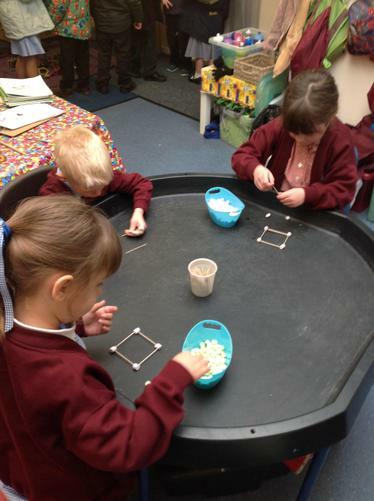 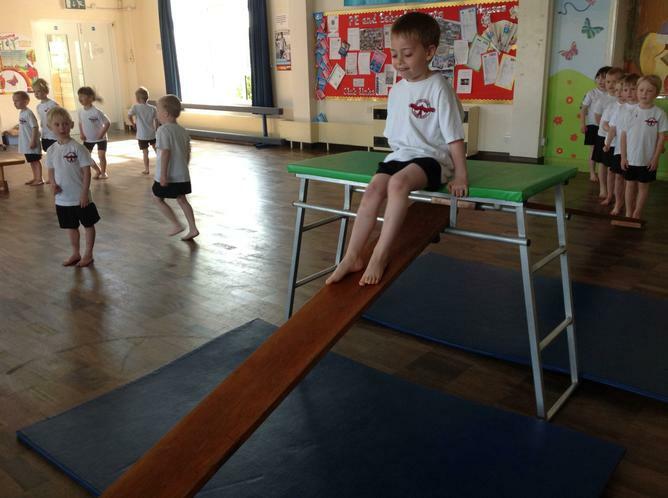 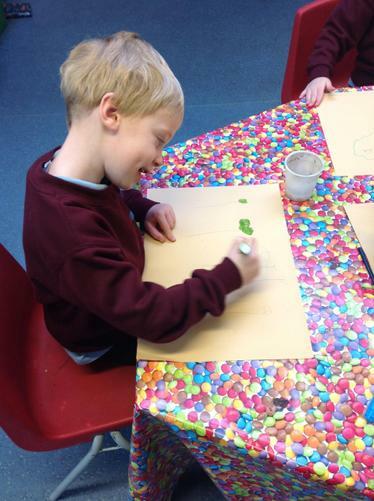 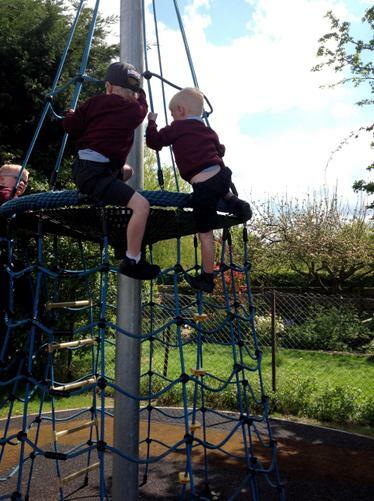 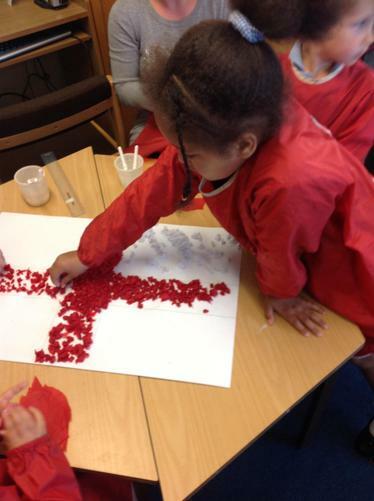 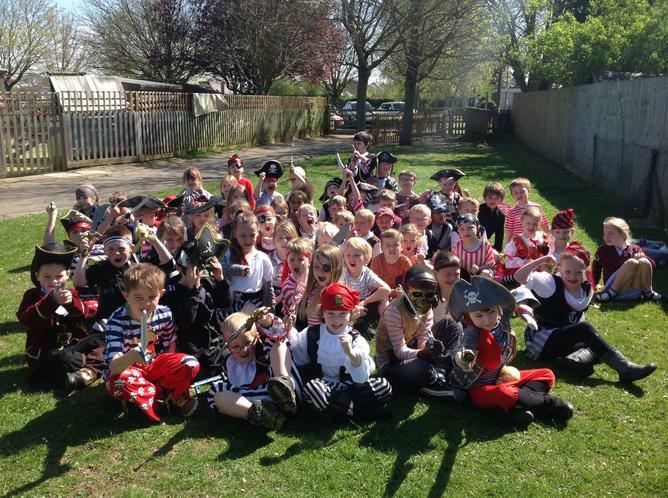 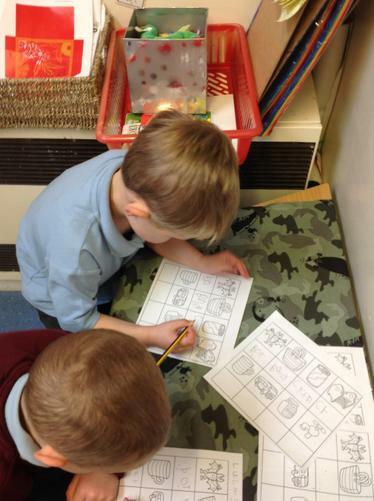 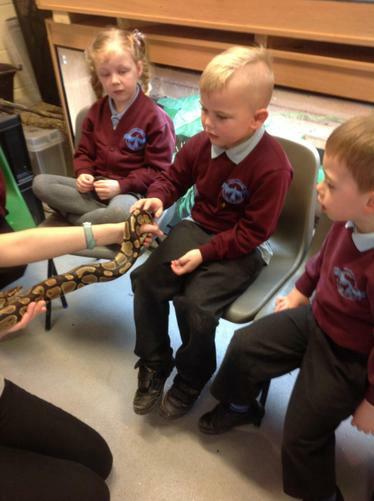 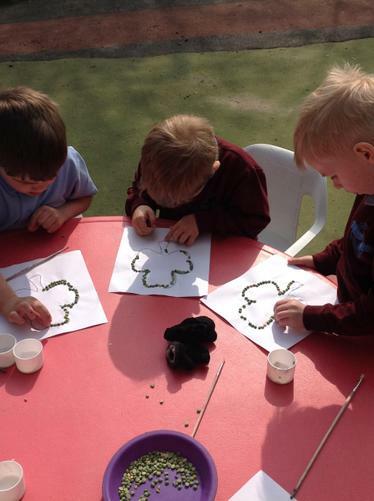 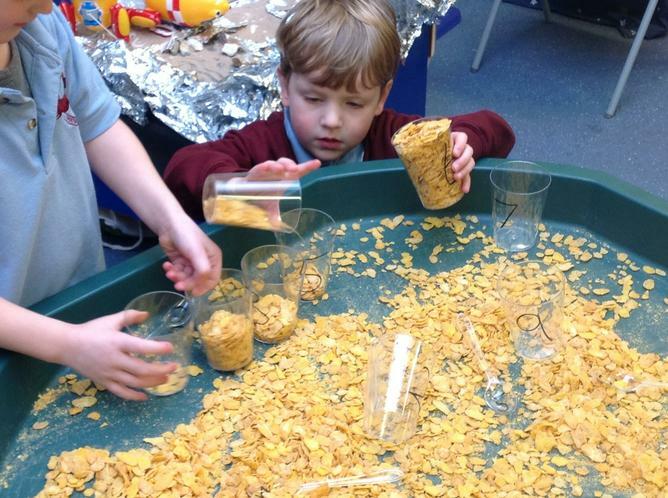 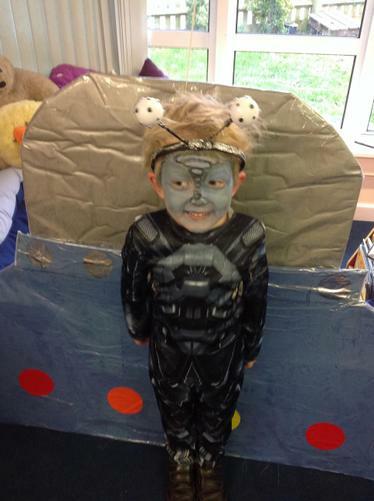 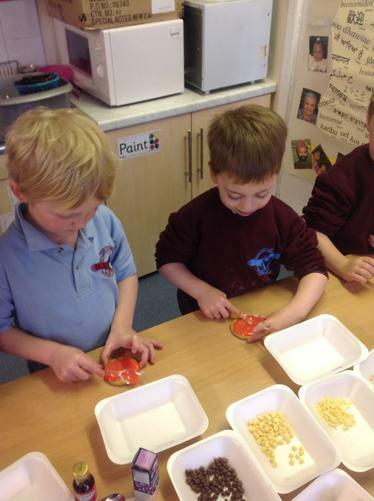 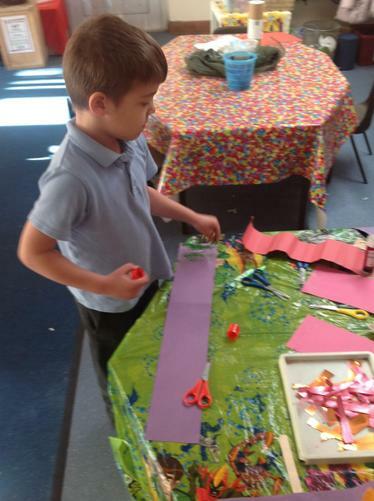 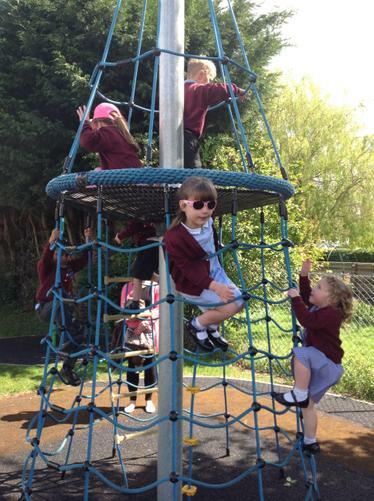 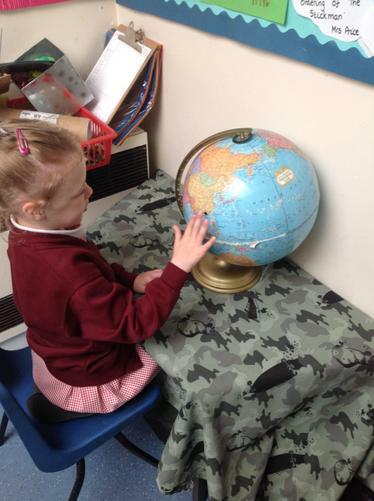 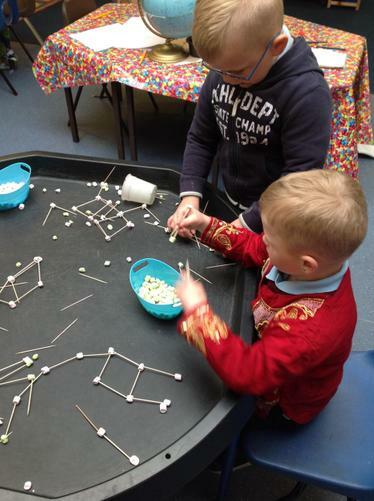 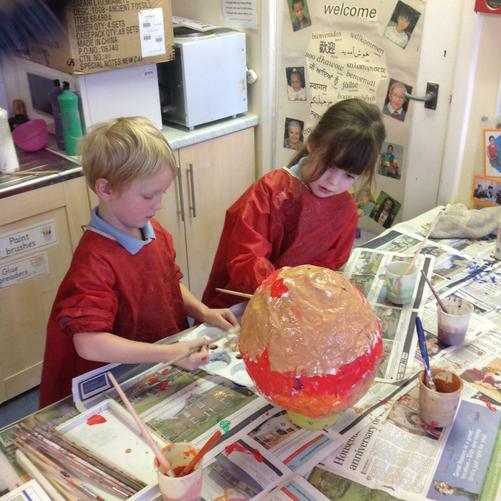 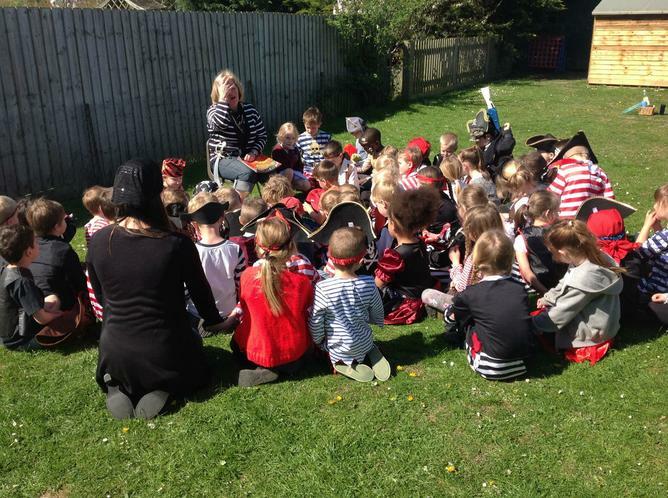 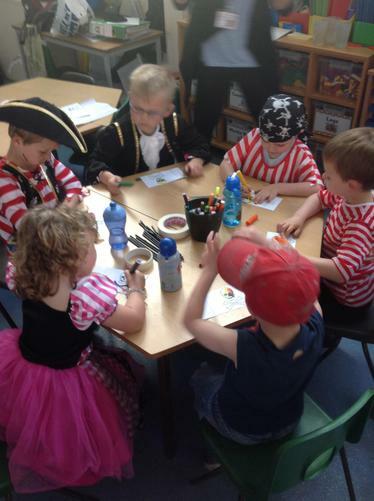 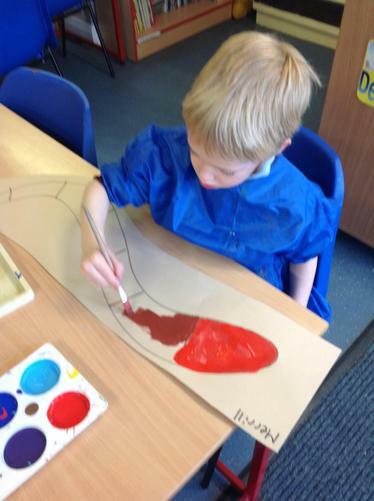 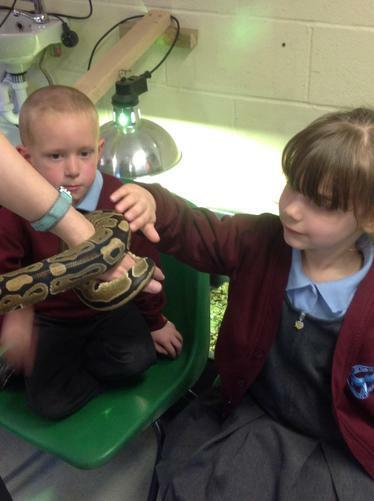 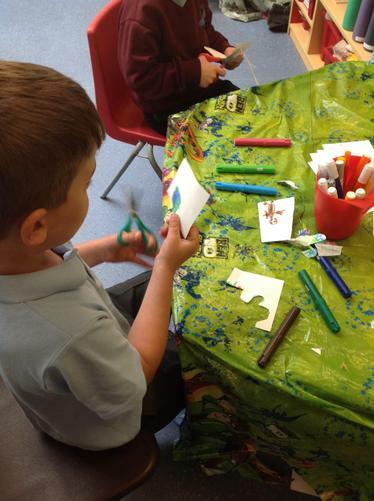 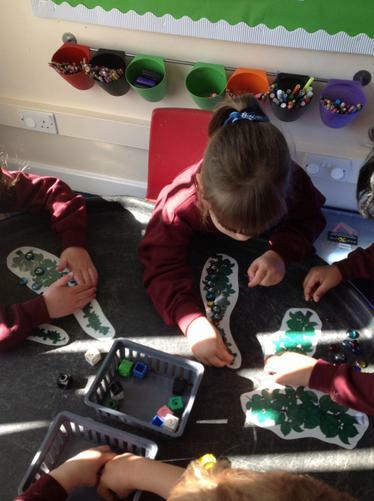 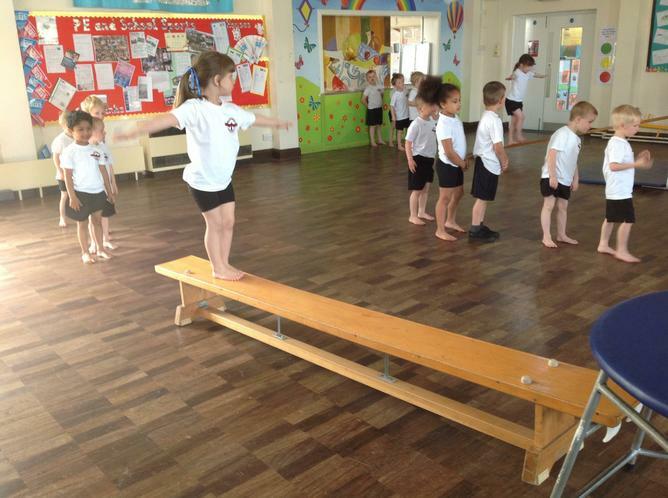 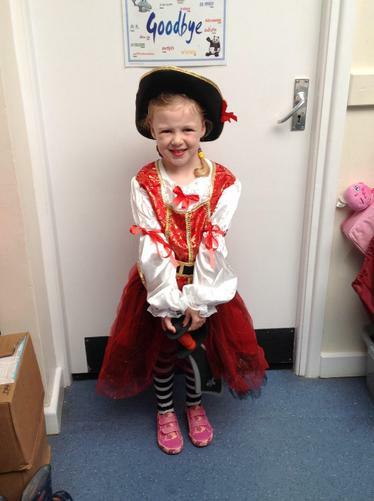 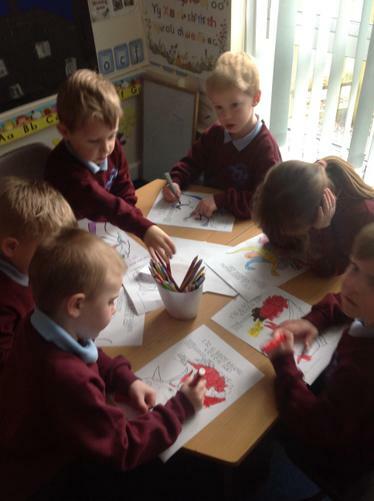 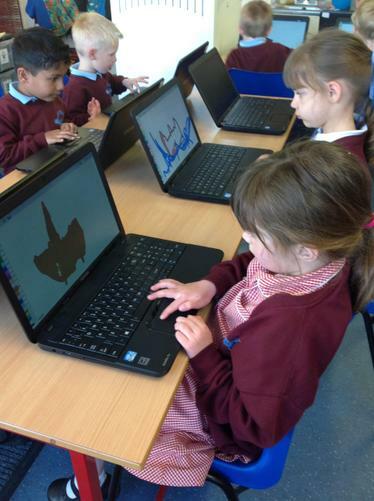 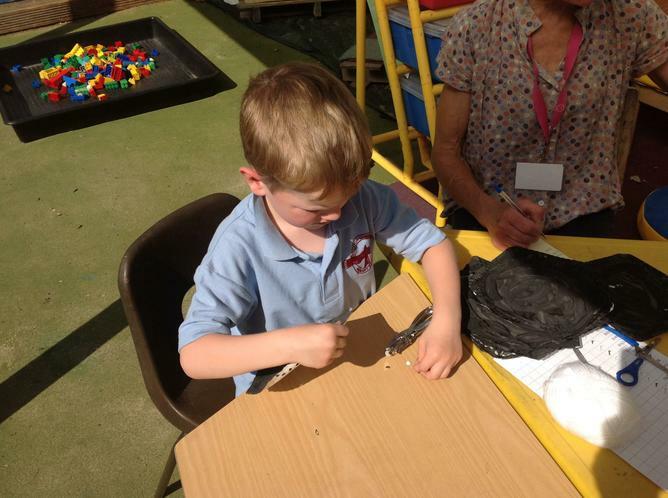 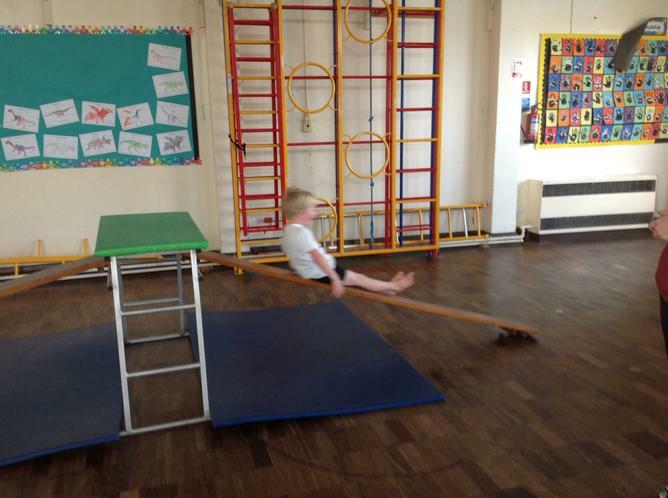 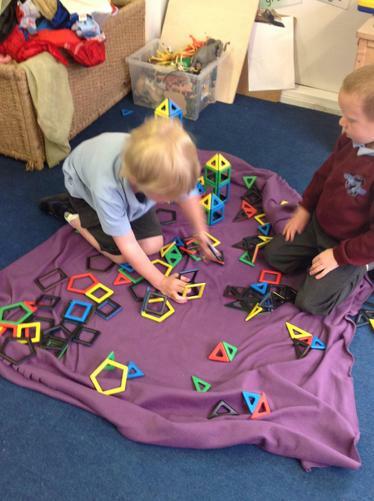 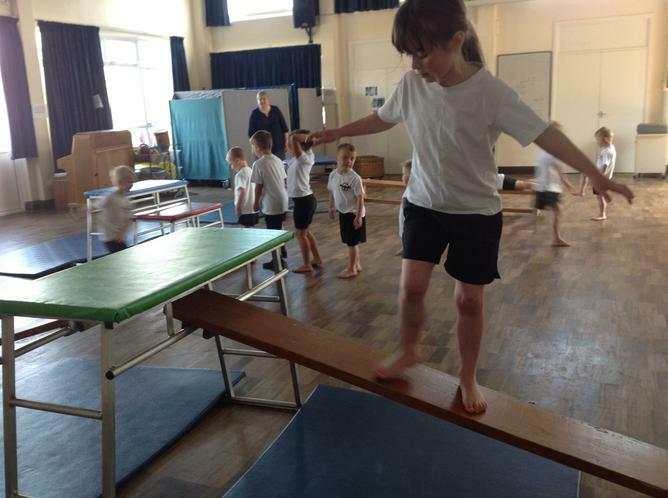 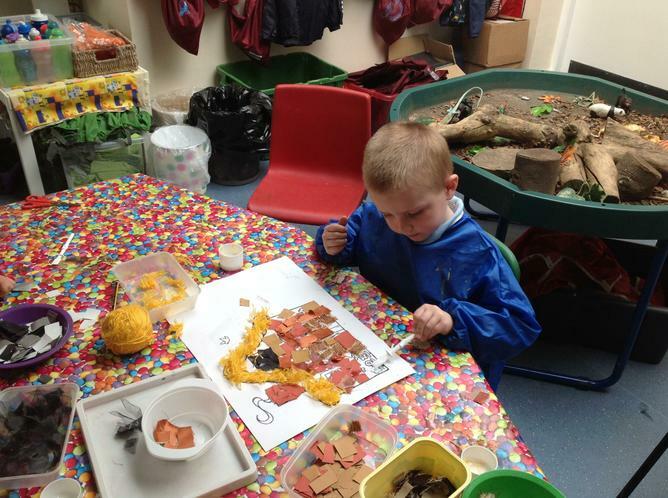 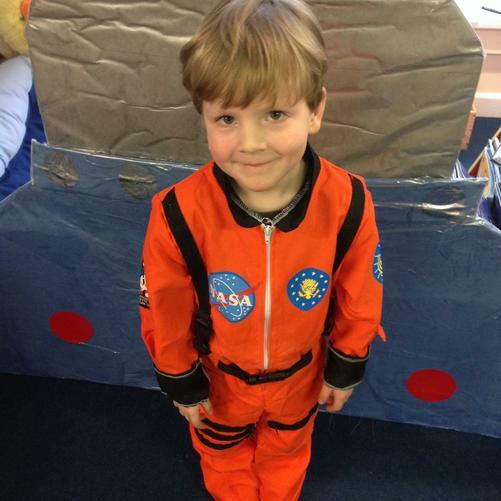 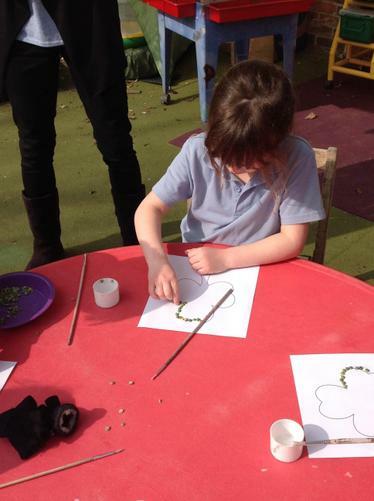 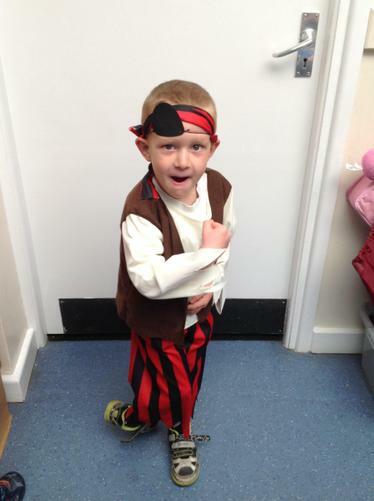 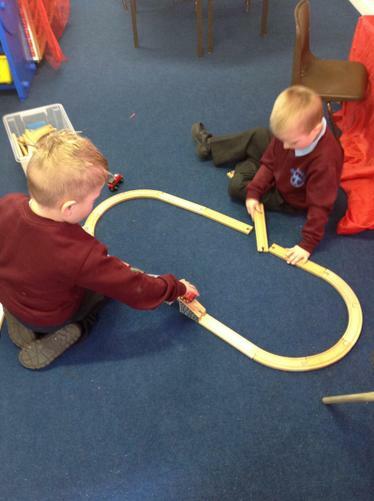 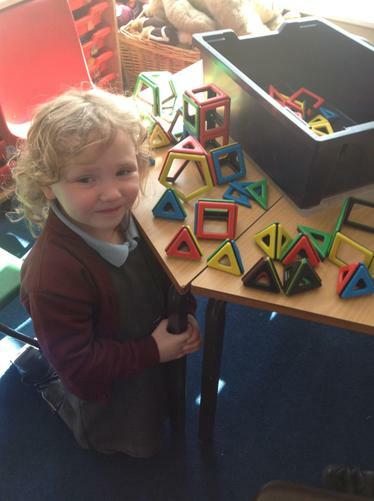 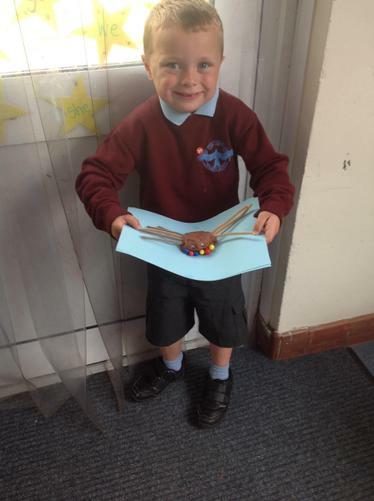 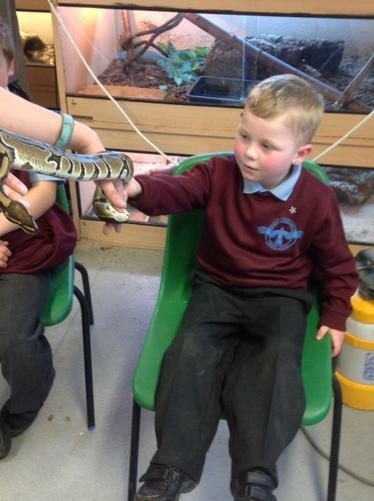 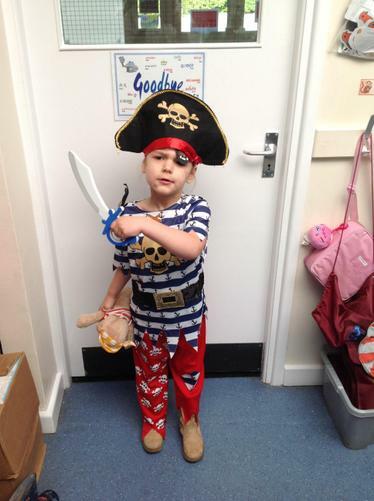 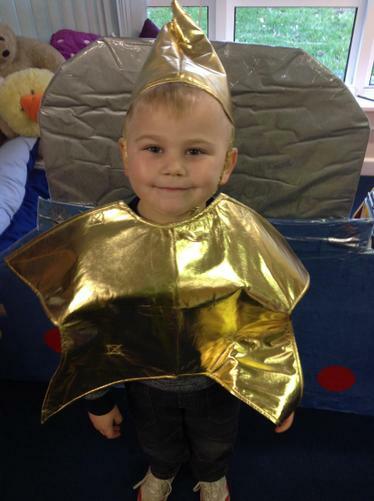 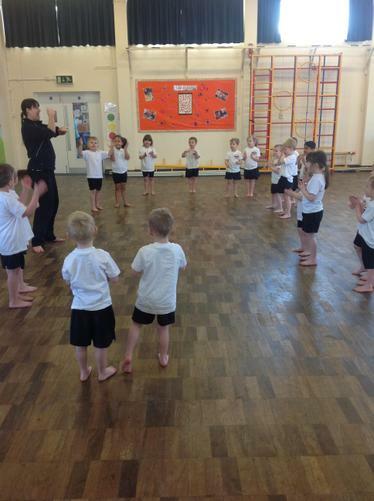 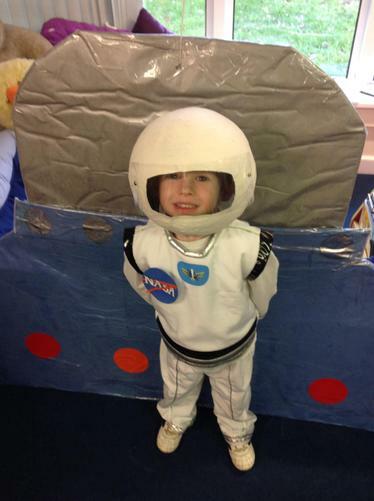 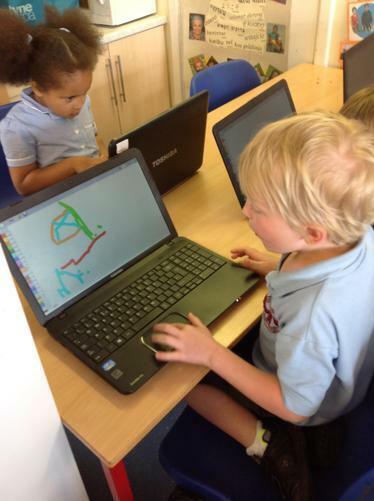 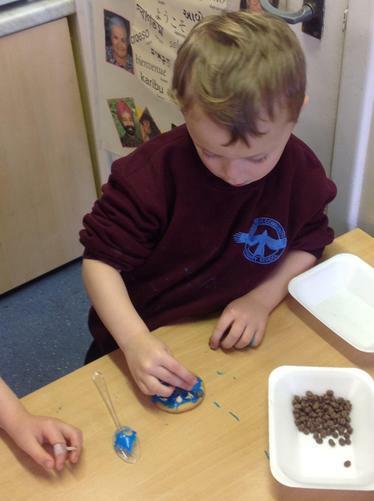 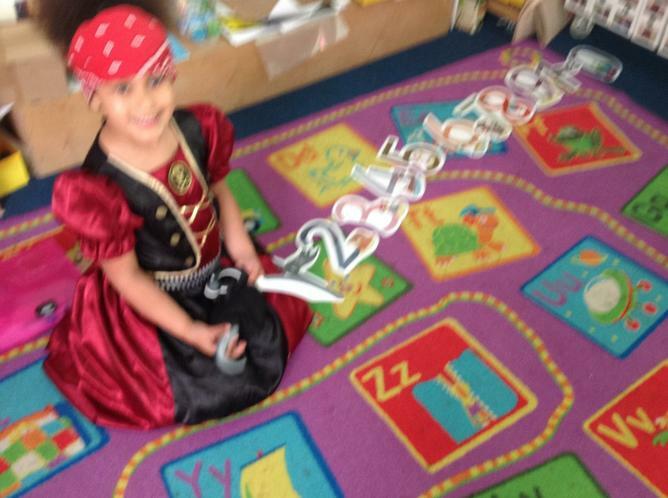 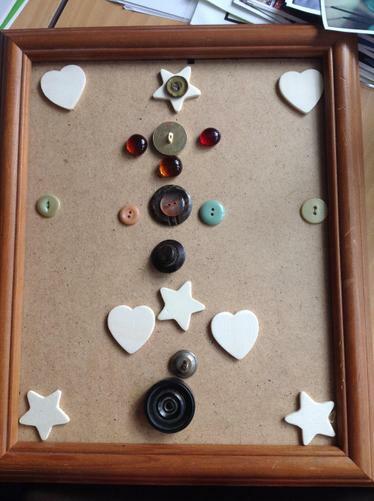 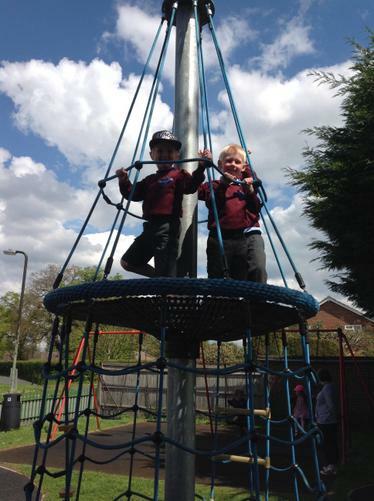 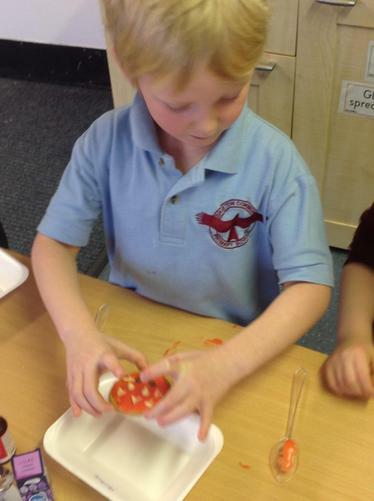 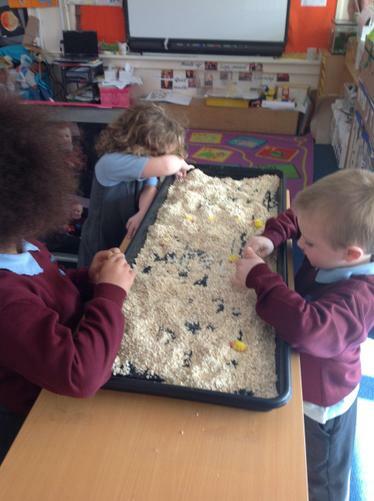 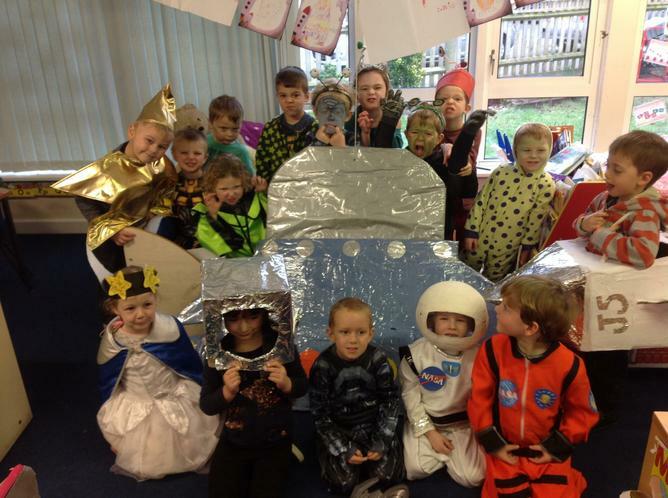 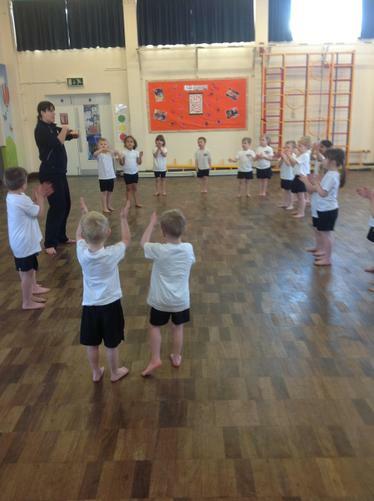 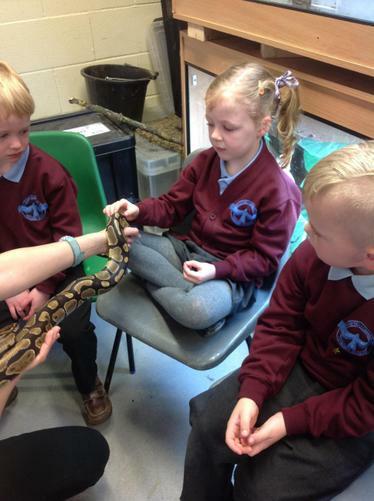 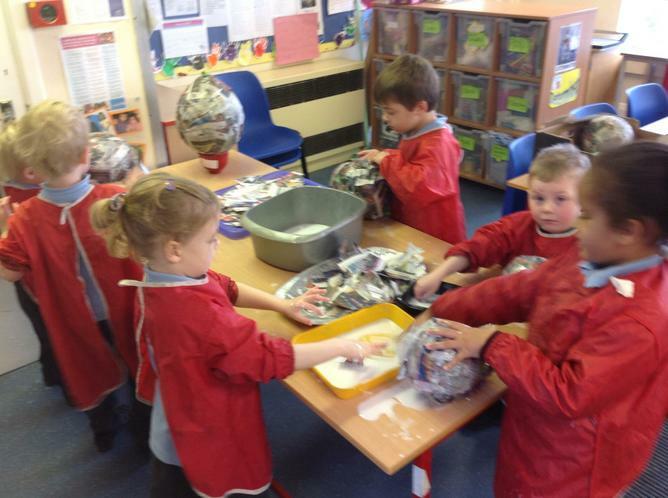 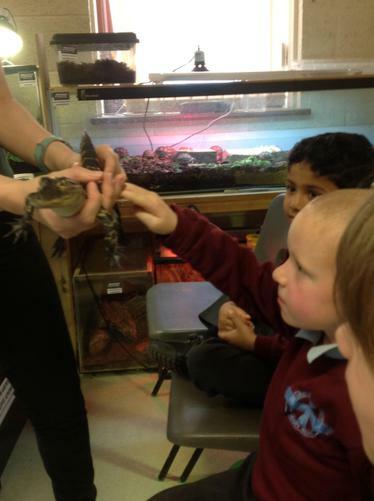 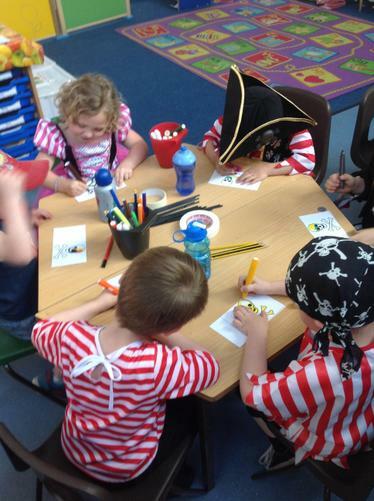 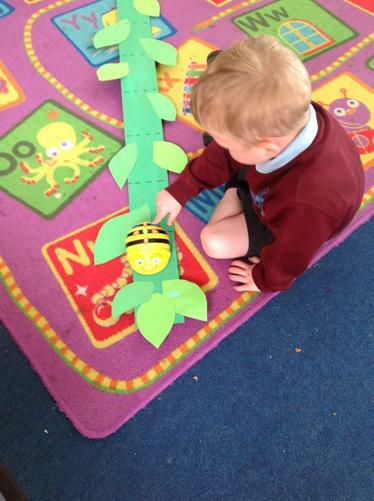 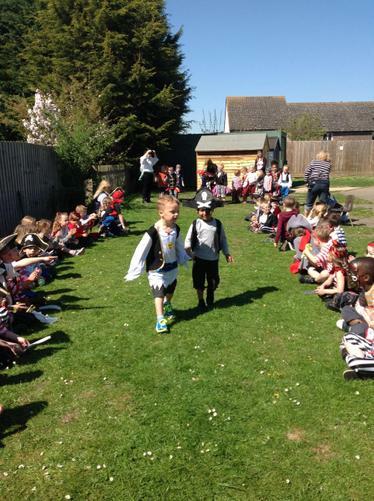 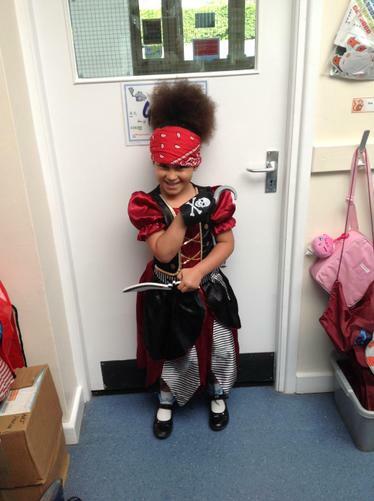 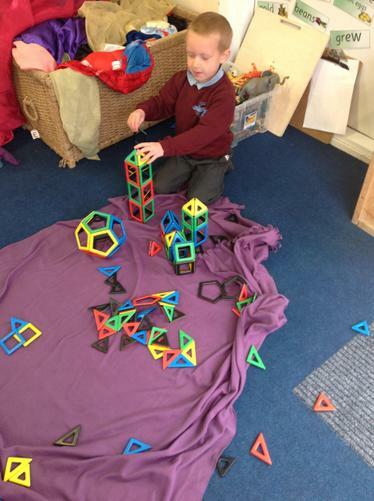 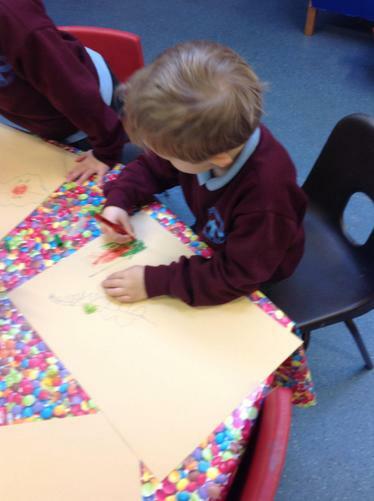 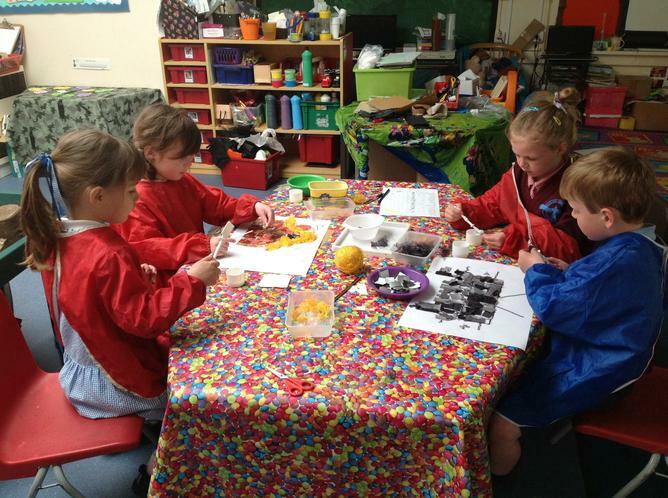 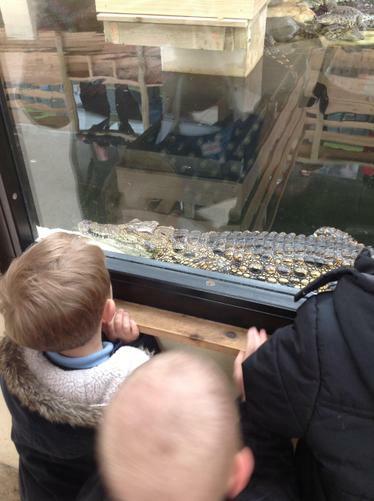 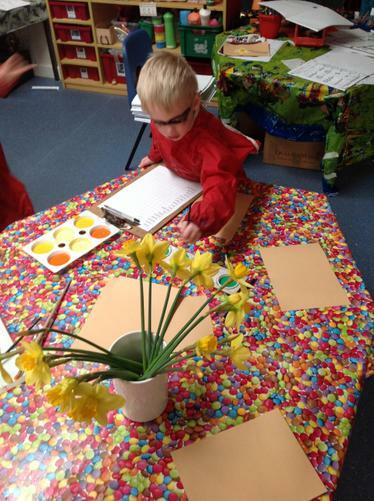 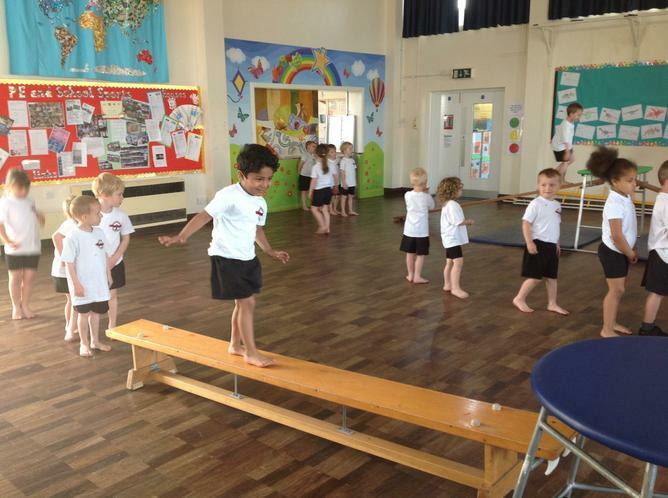 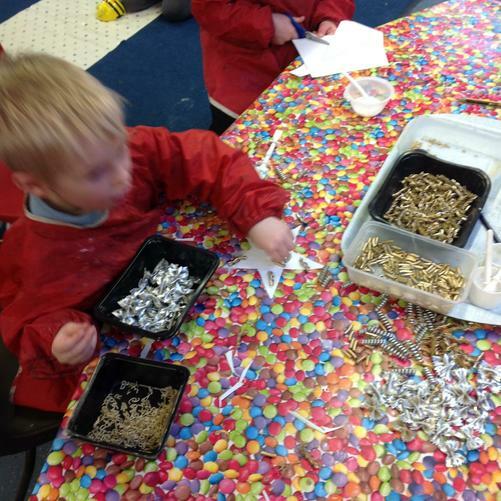 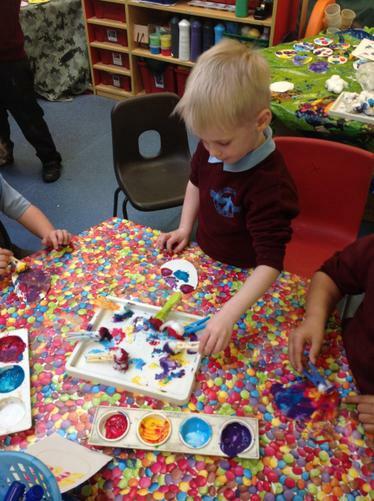 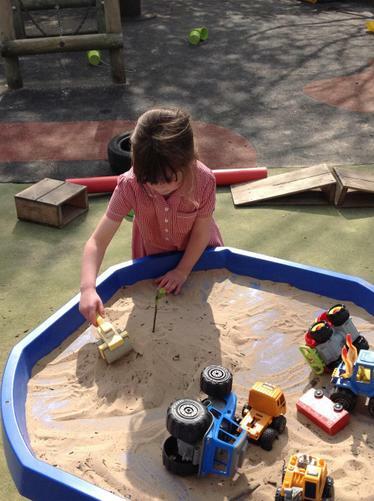 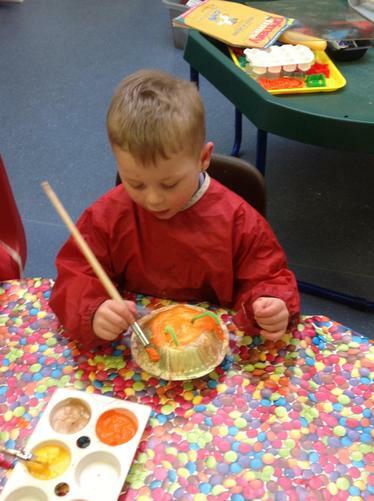 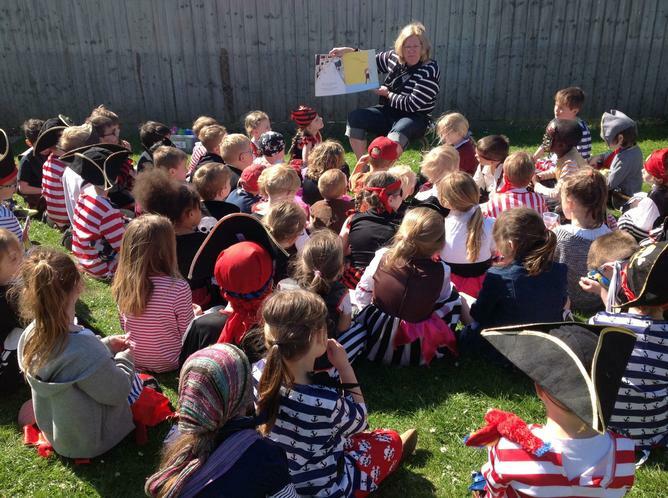 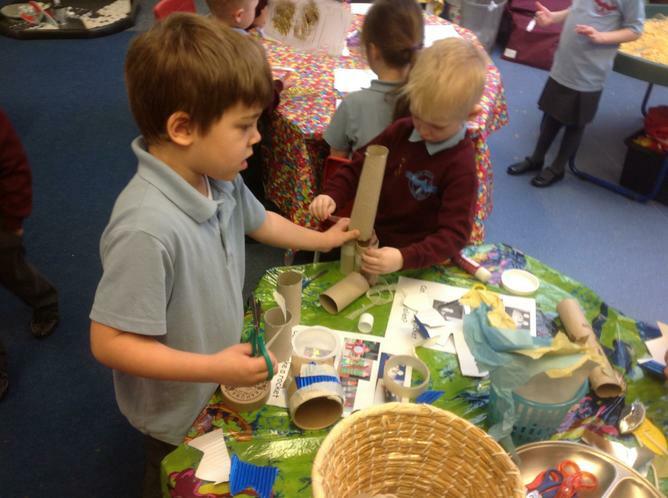 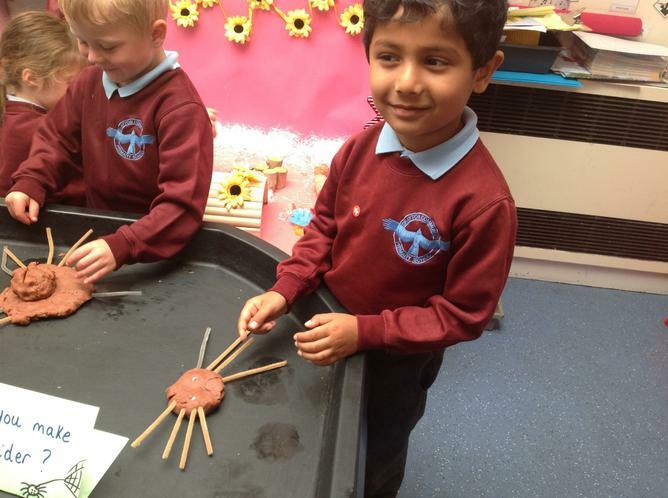 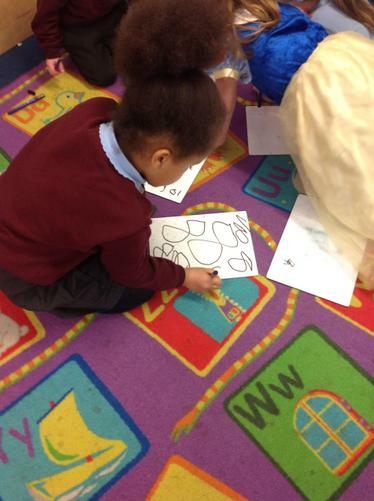 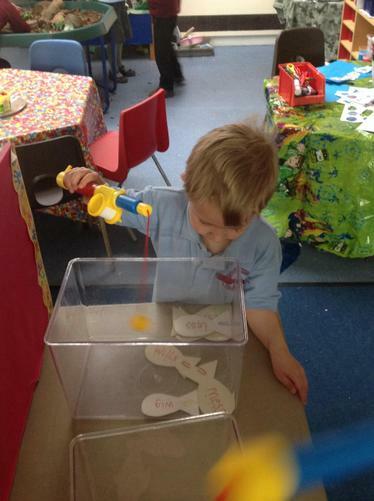 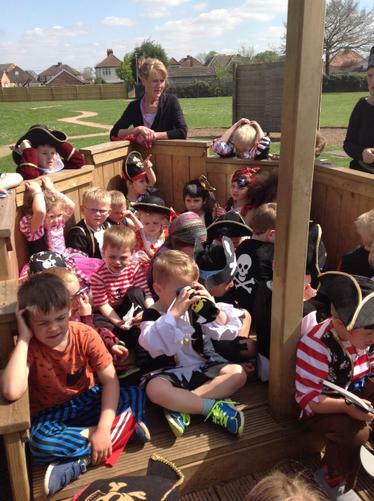 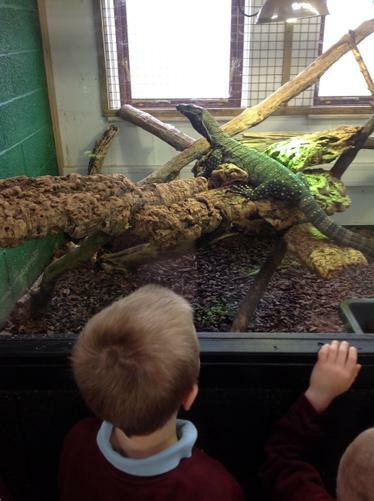 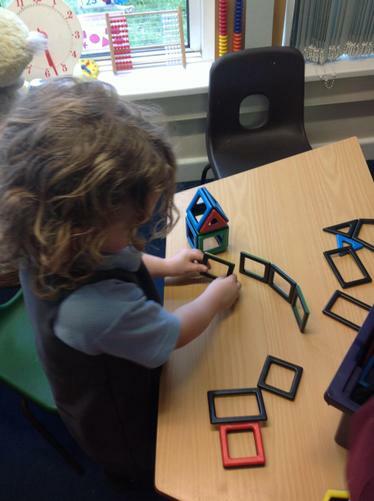 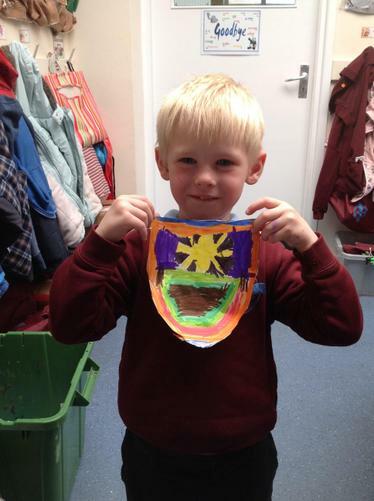 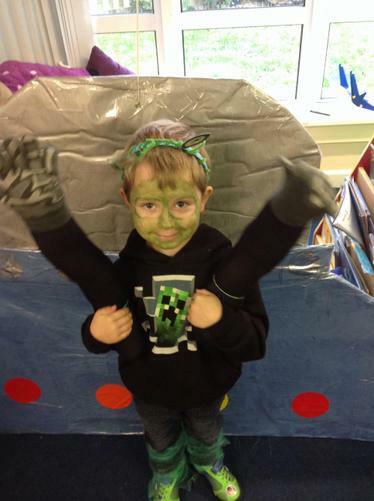 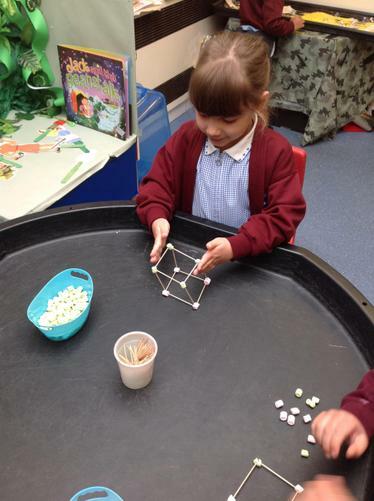 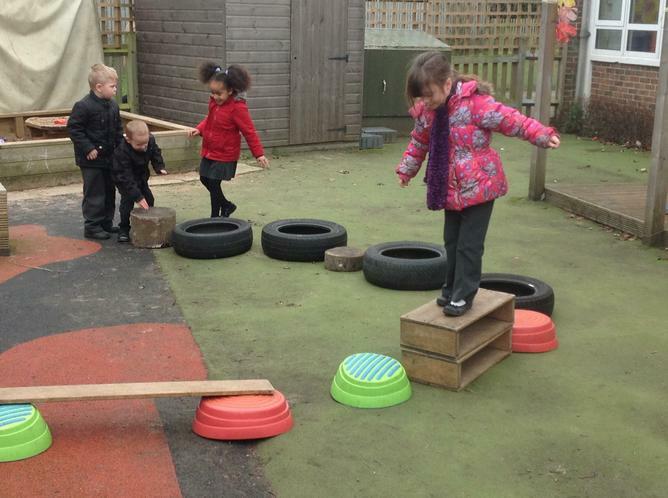 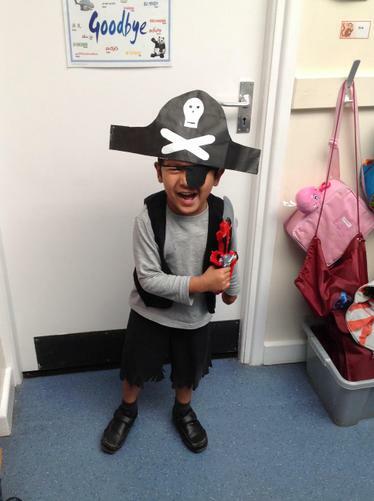 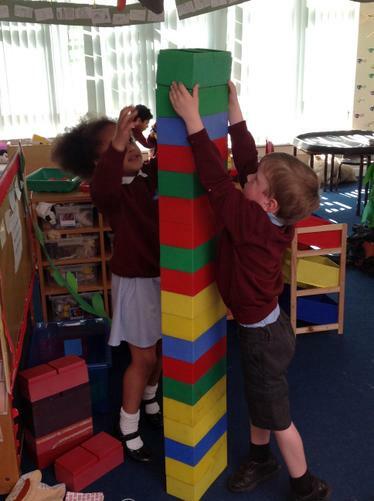 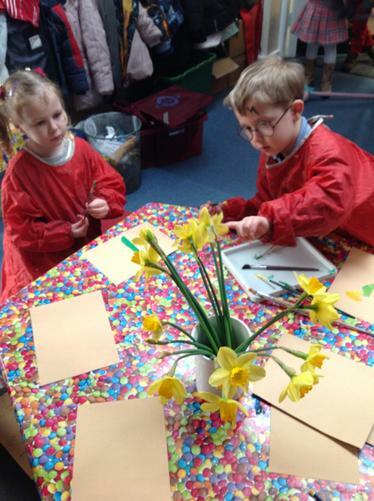 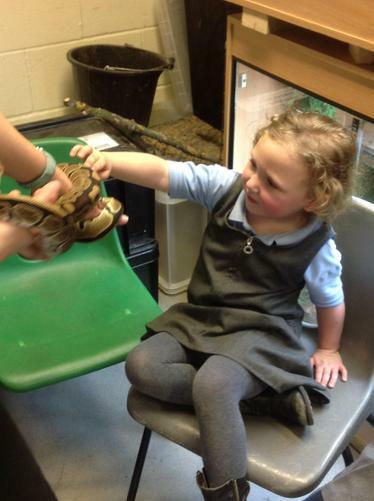 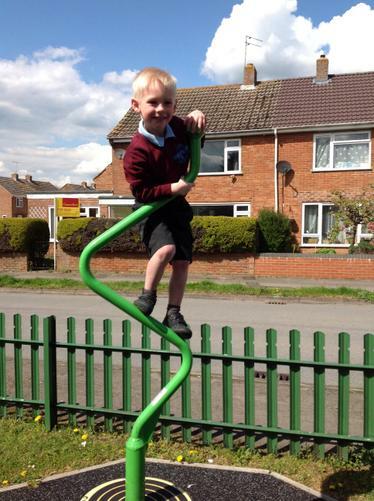 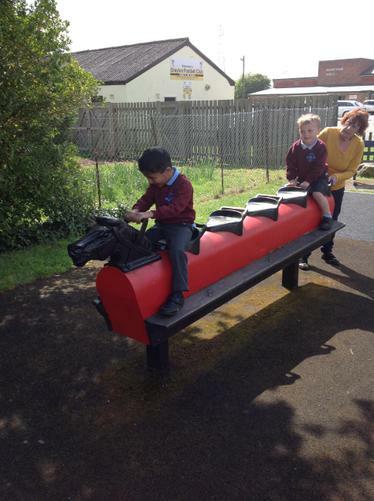 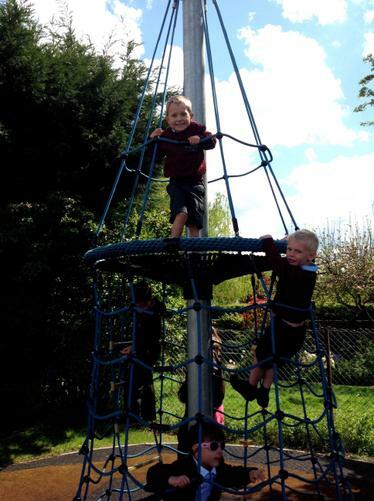 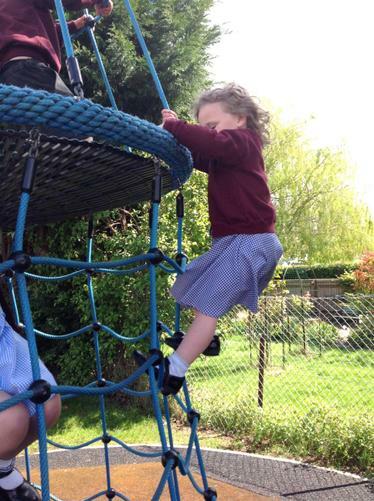 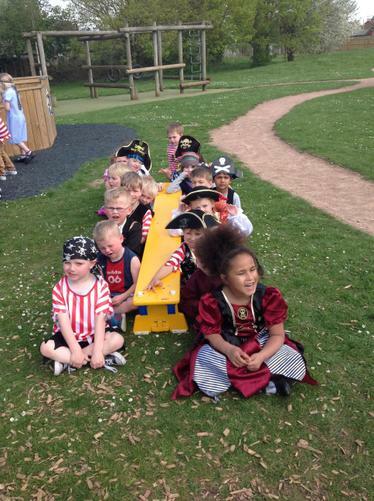 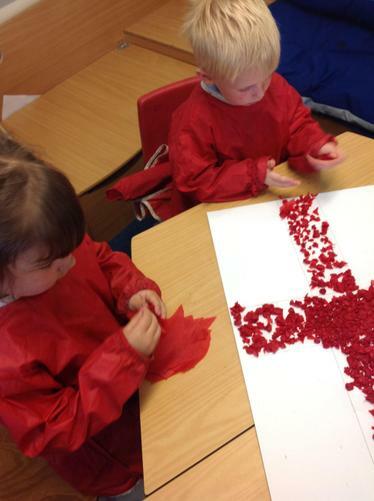 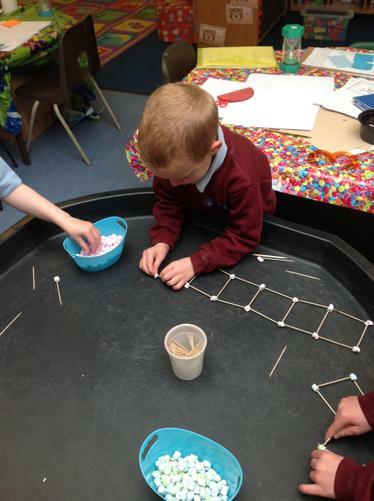 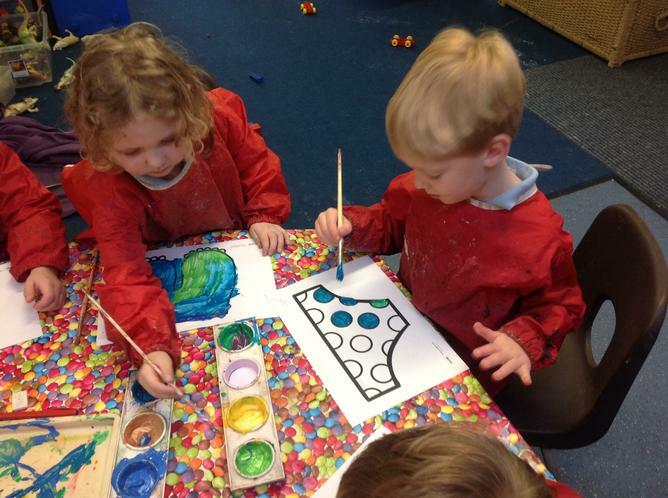 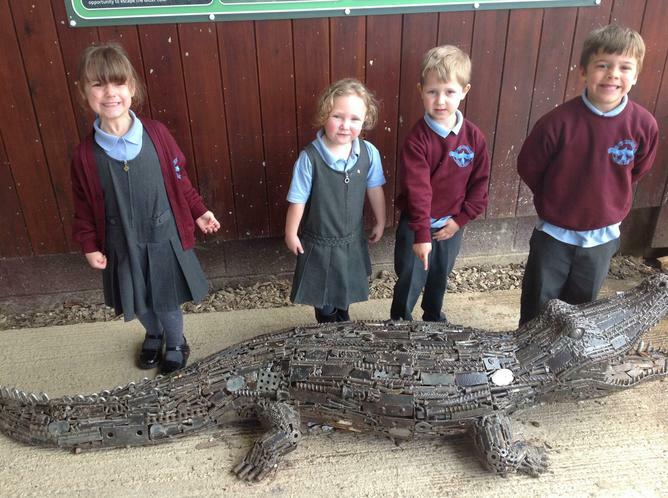 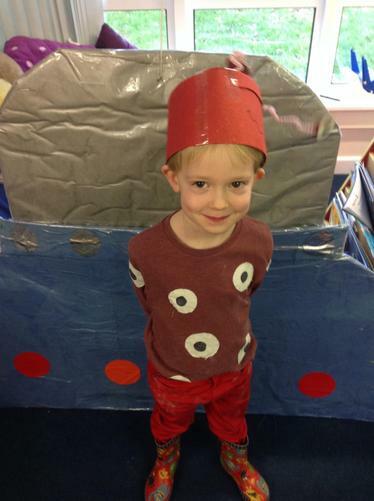 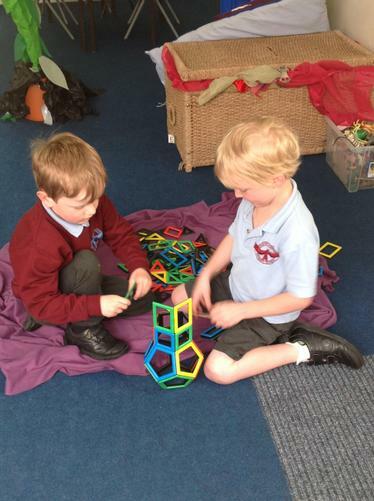 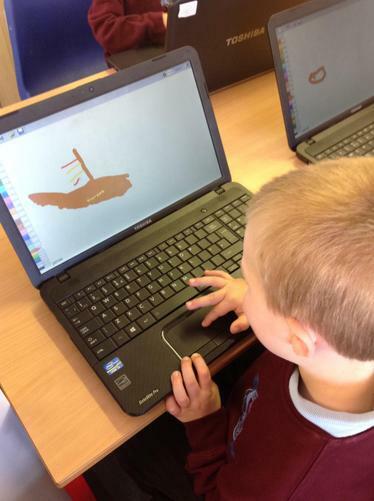 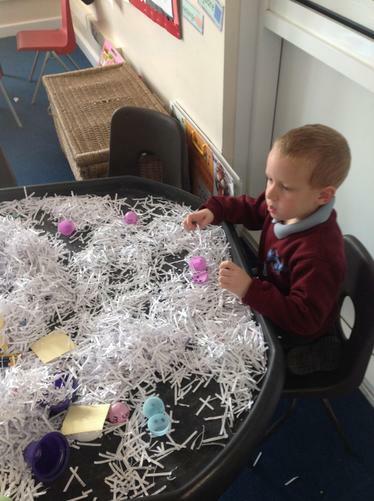 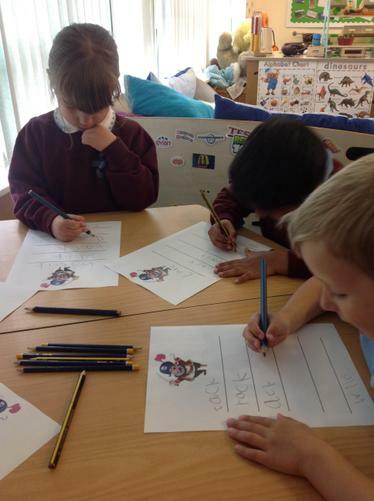 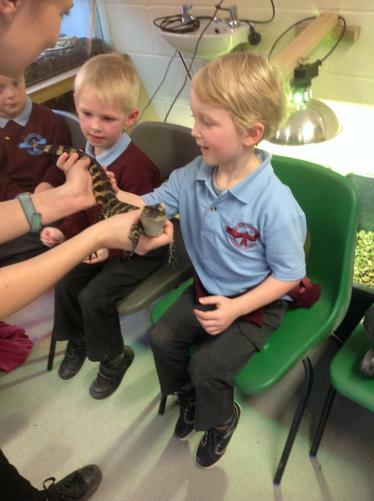 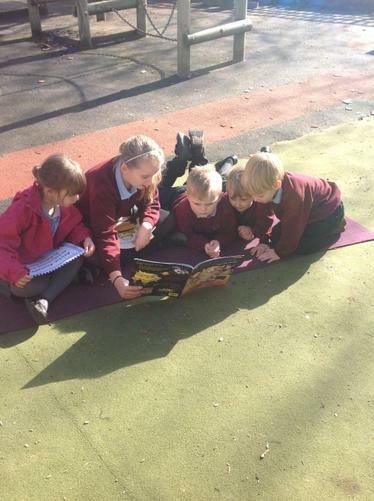 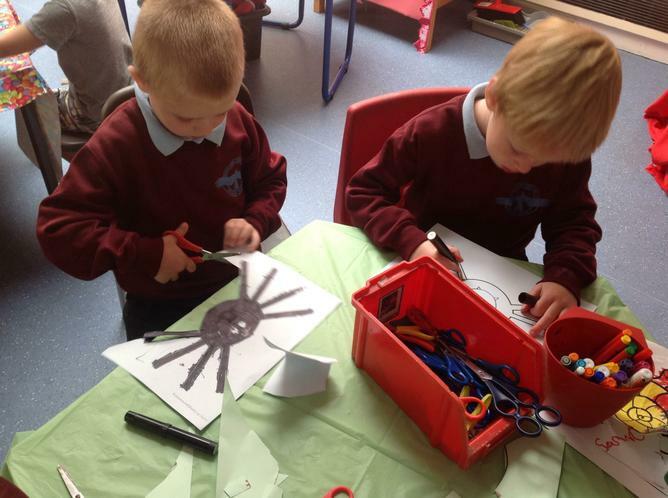 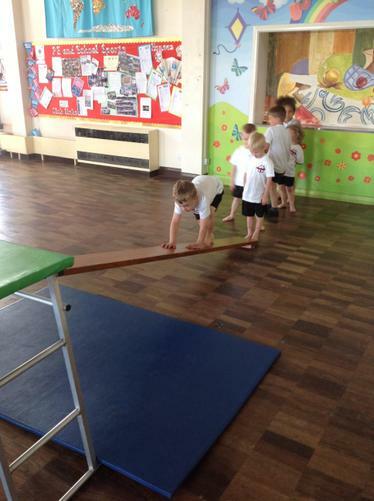 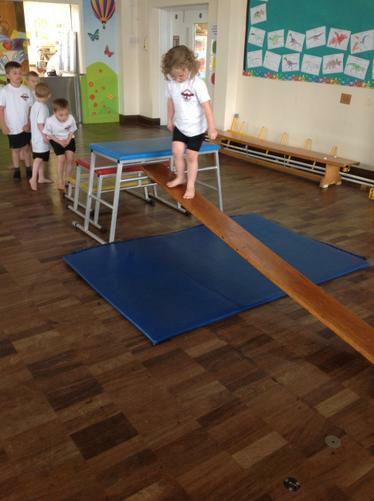 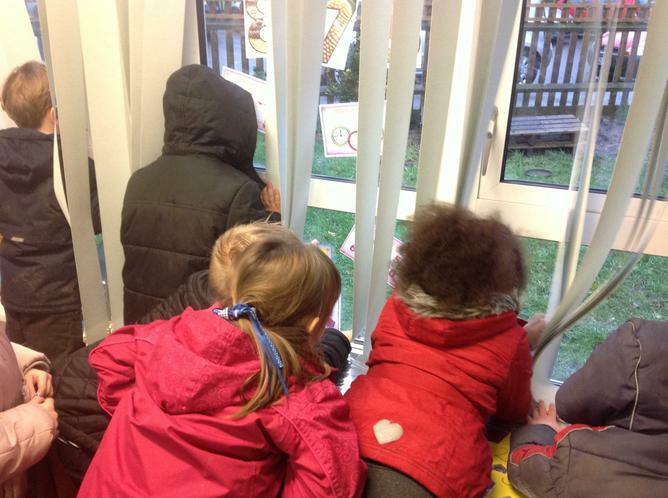 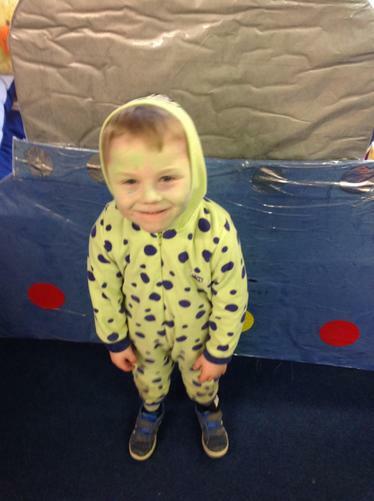 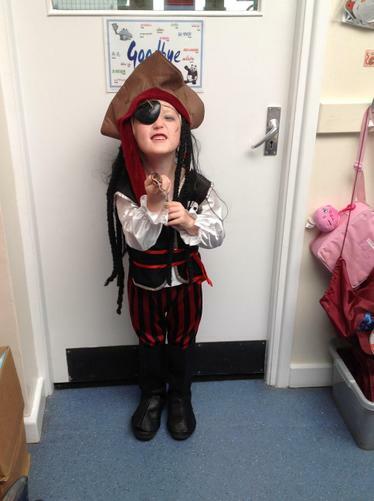 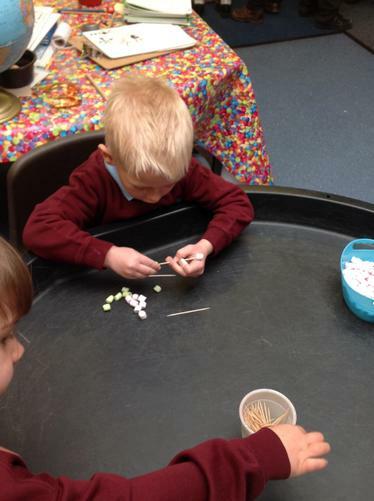 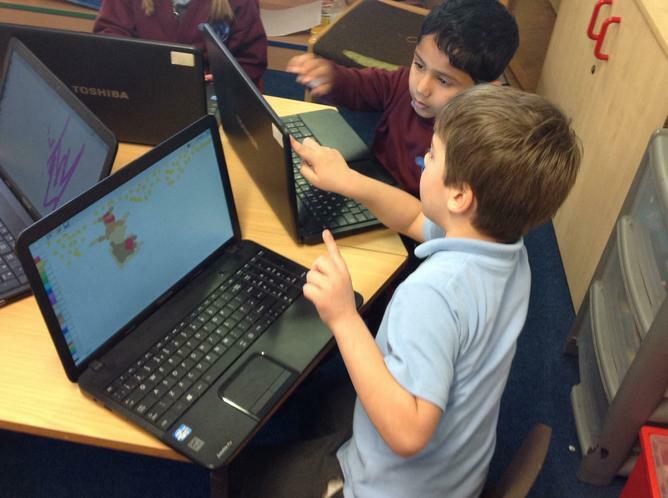 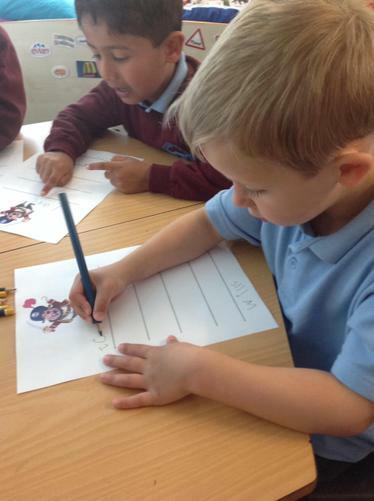 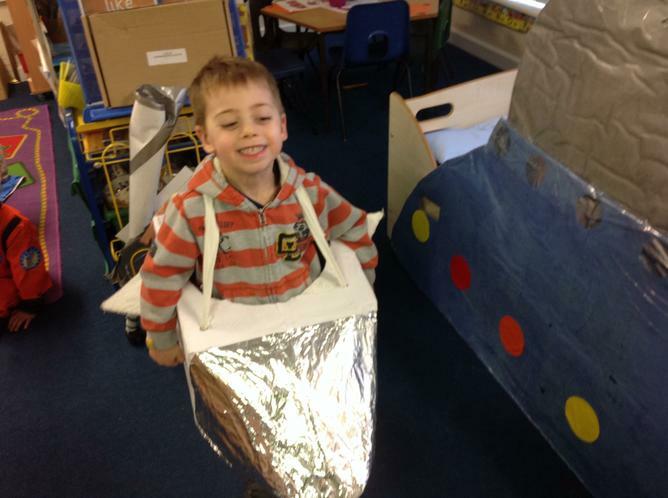 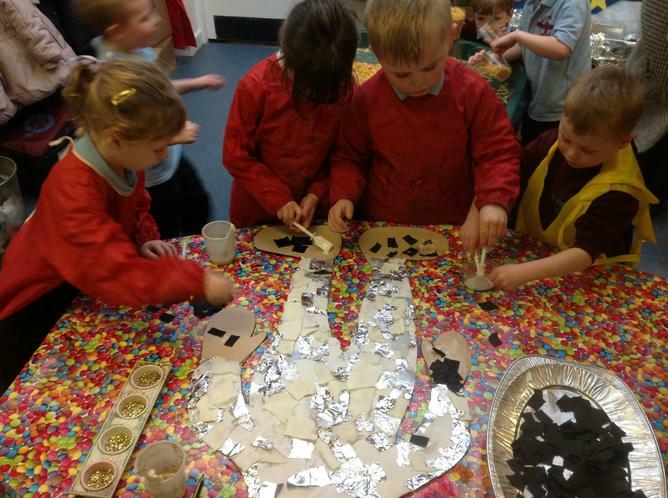 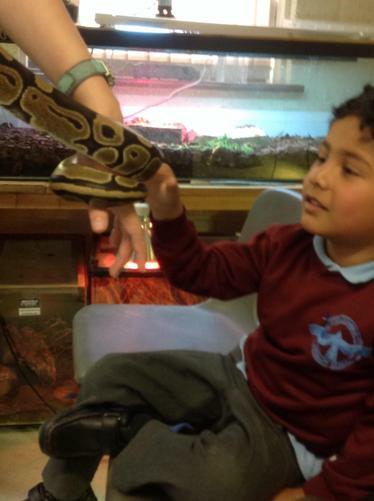 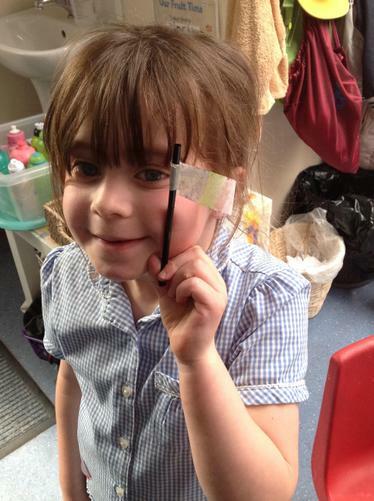 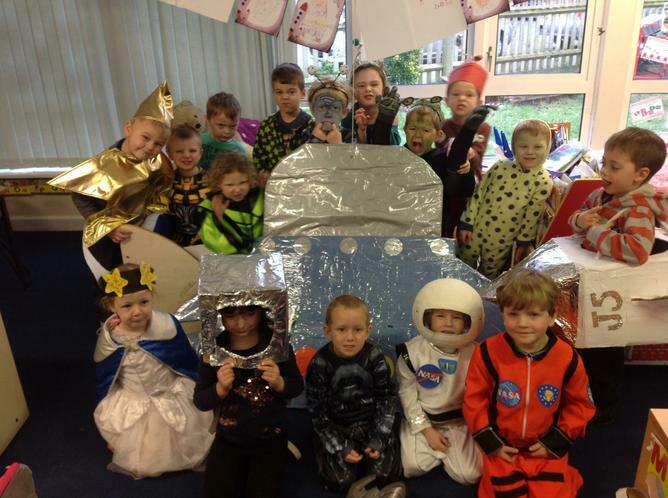 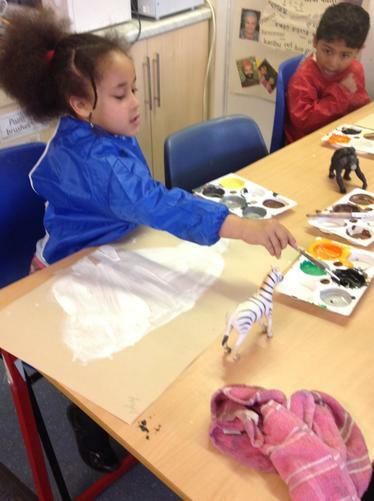 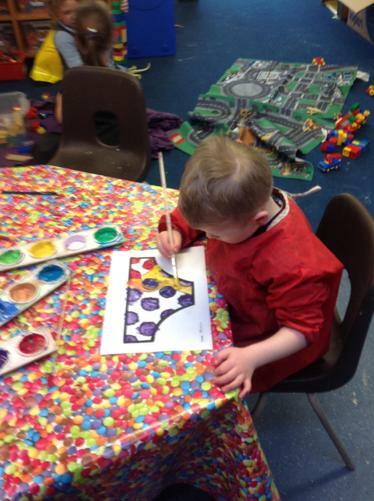 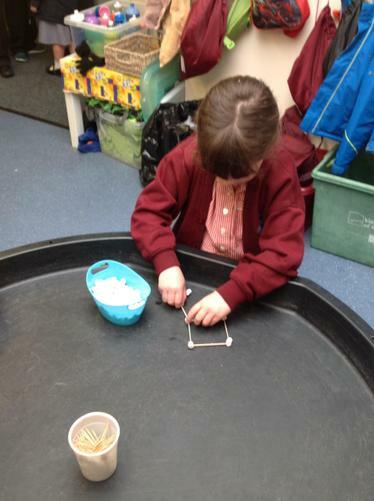 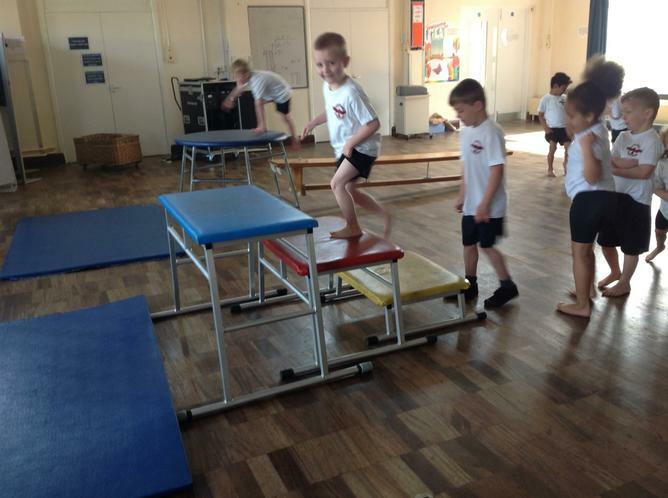 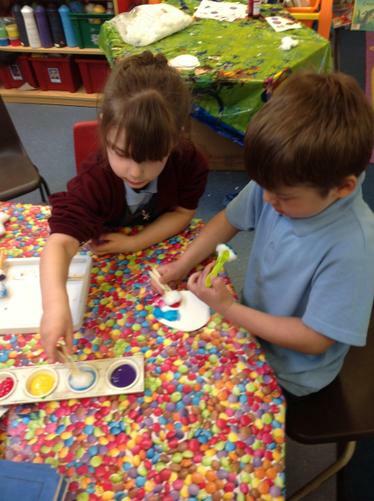 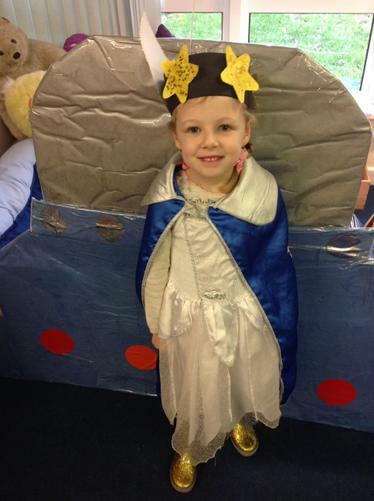 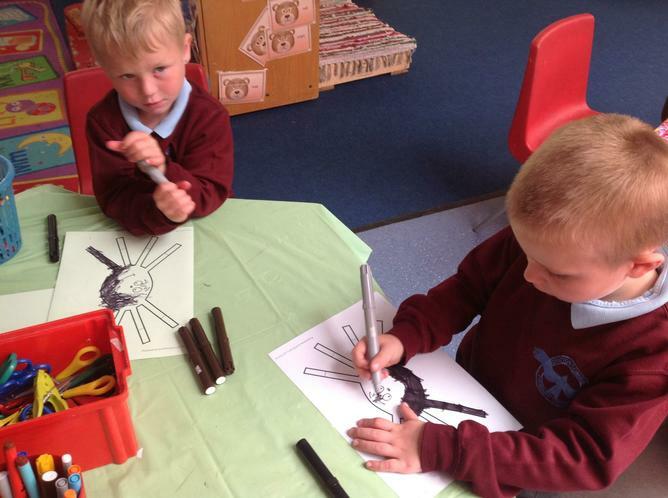 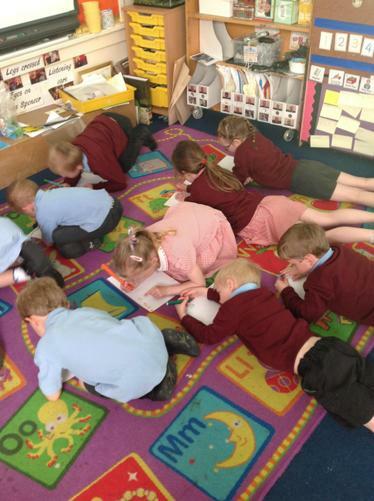 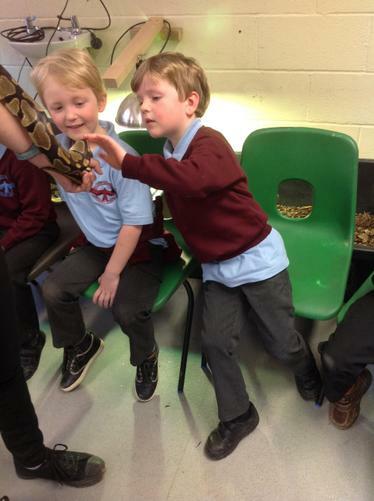 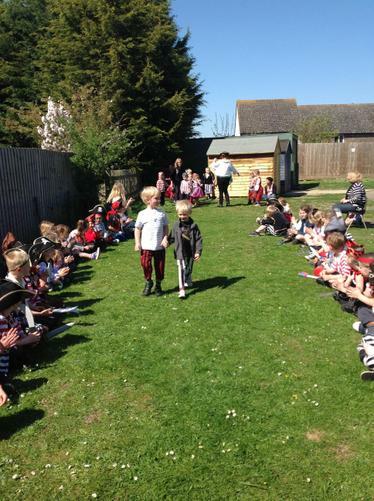 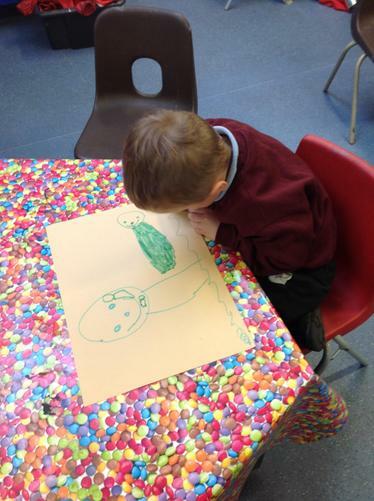 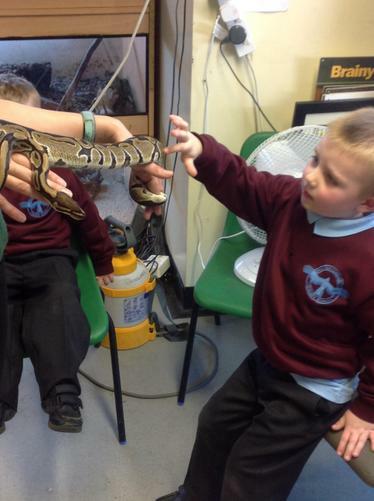 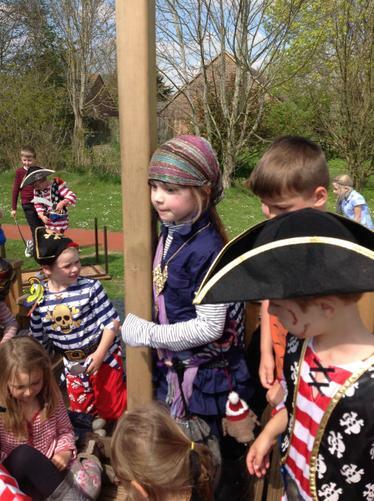 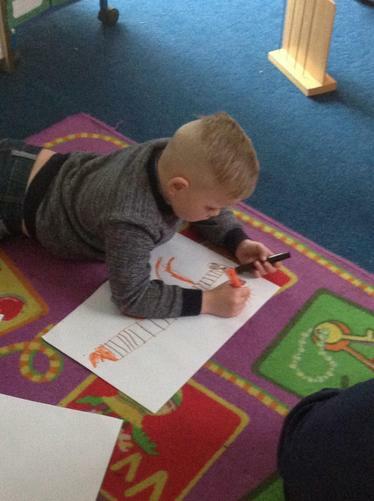 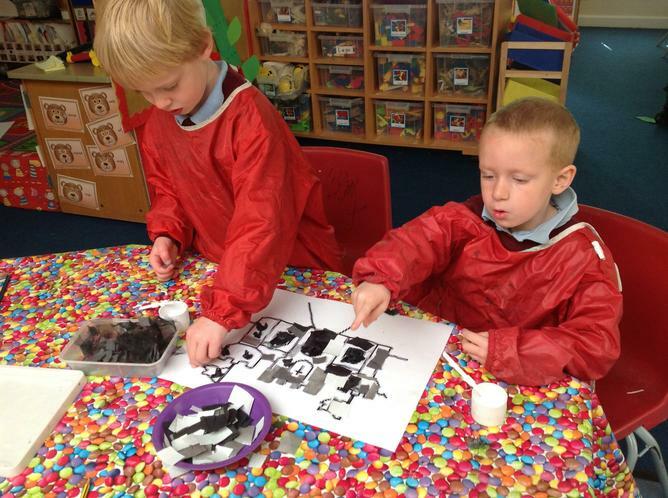 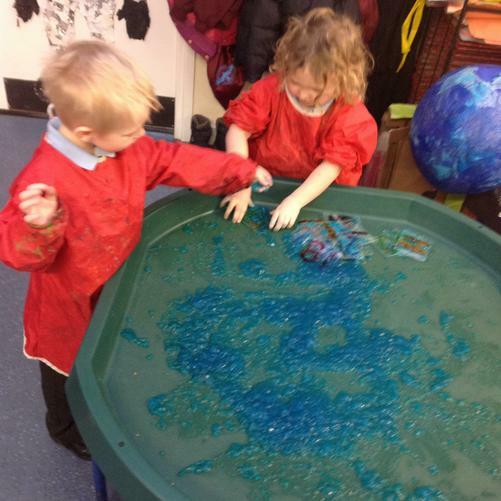 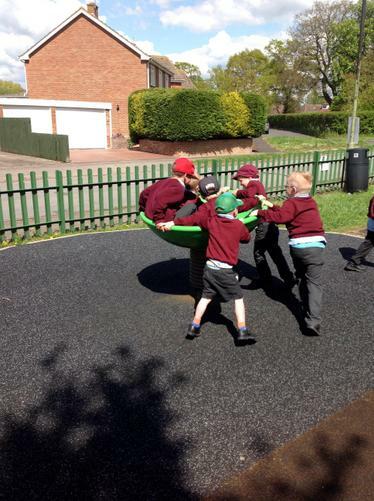 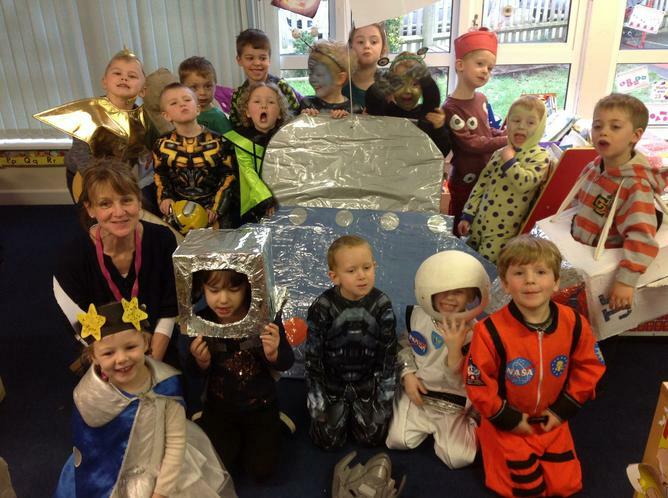 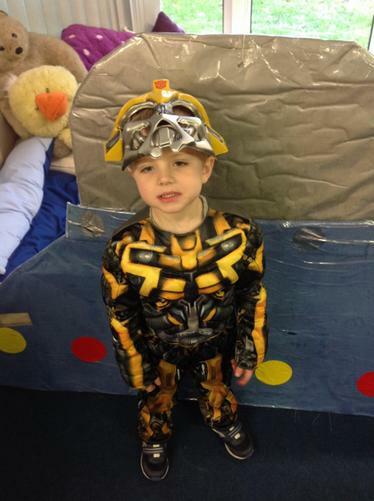 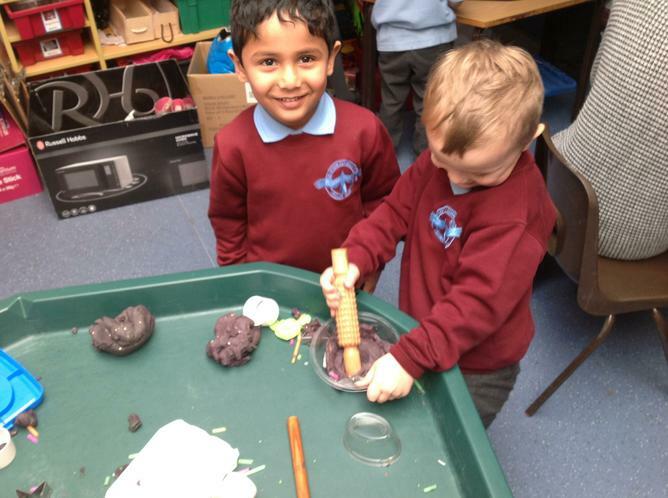 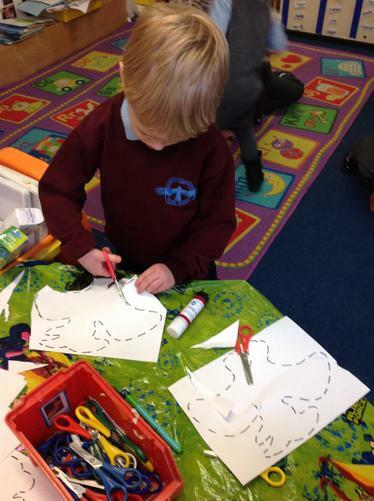 The EYFS curriculum is very flexible and is dictated by the children’s interests and next steps for this reason the areas that we might cover are only a guide. 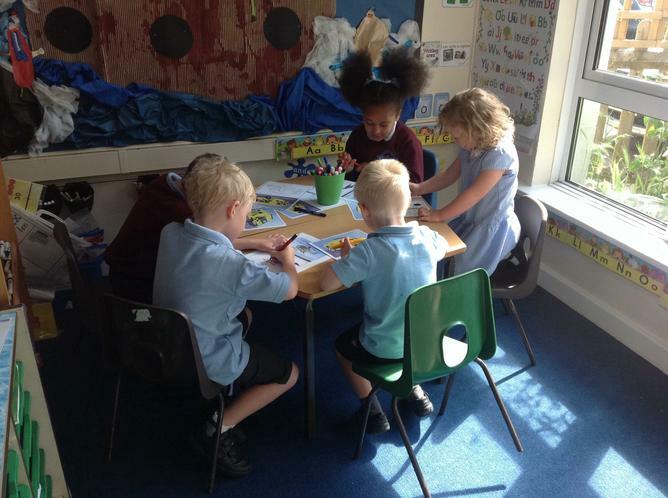 Please refer to the parent’s overview for more details about the focus in each area of learning. 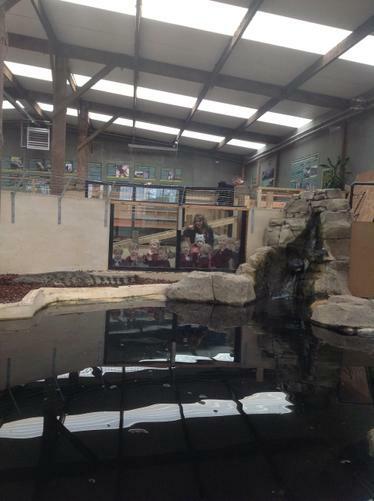 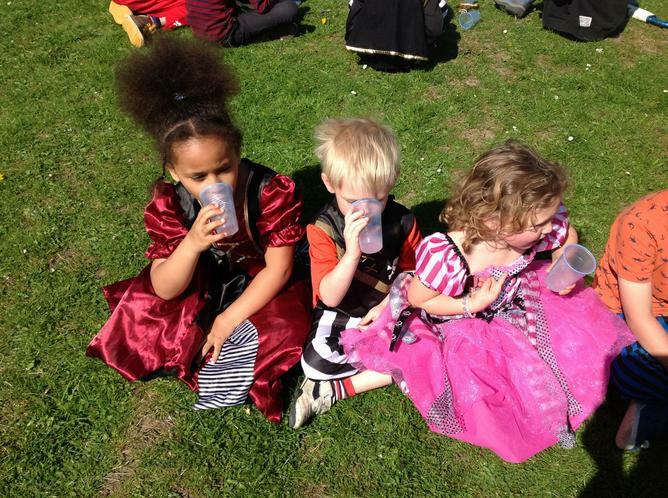 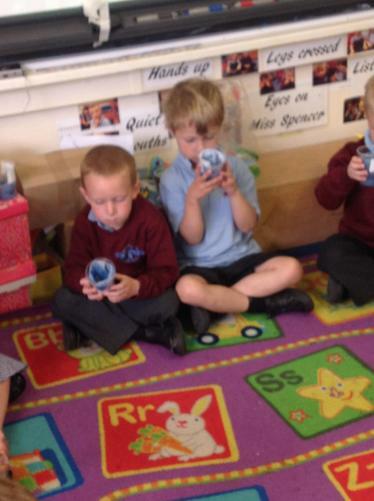 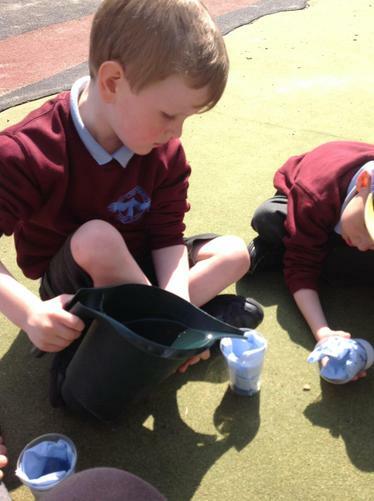 Please ensure that all children have the following in school each day- a named water bottle, suitable clothing as the children have free flow access to both the indoor and outdoor learning environment. 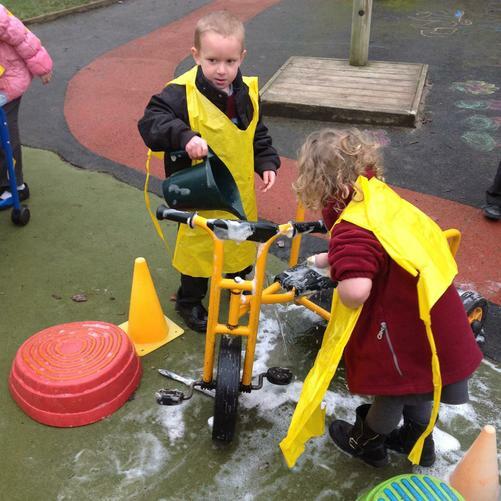 There is no such thing as bad weather, only bad clothing for the weather! 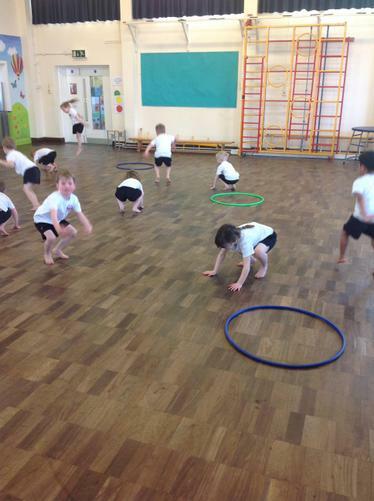 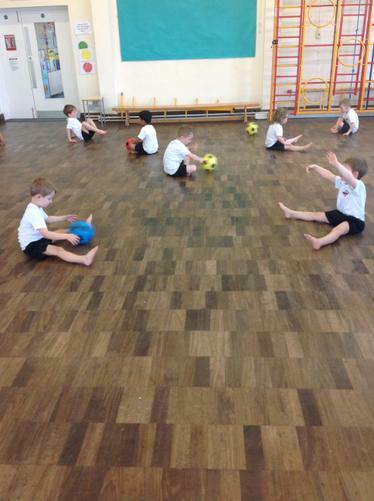 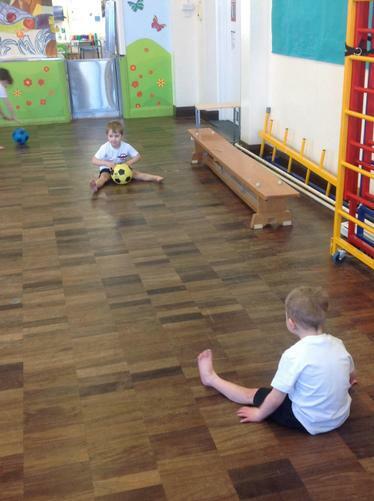 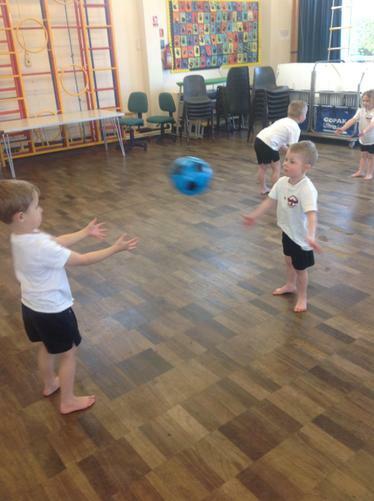 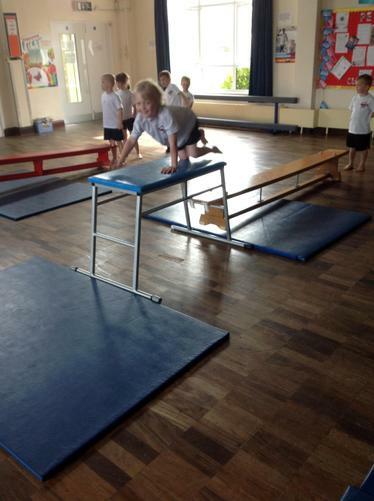 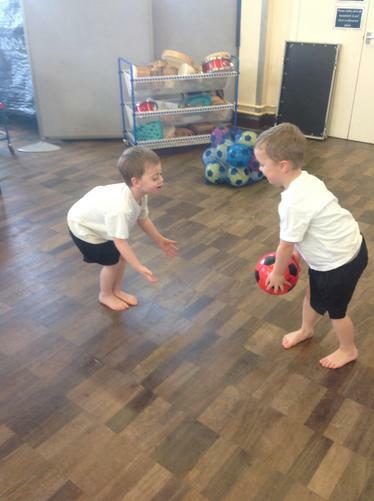 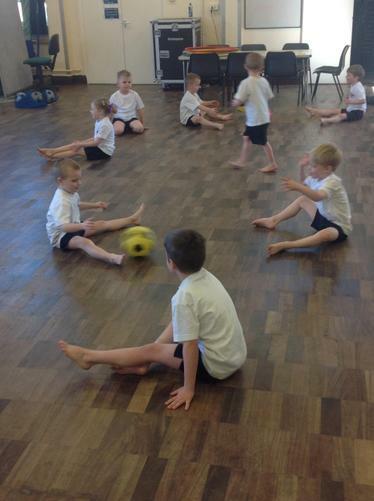 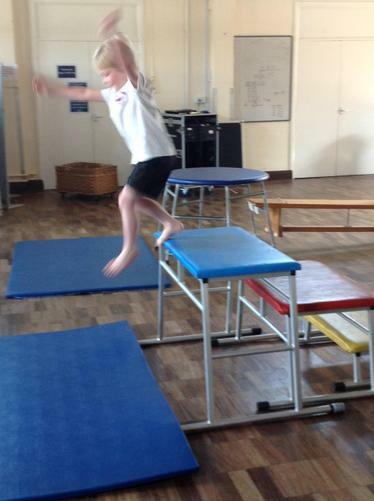 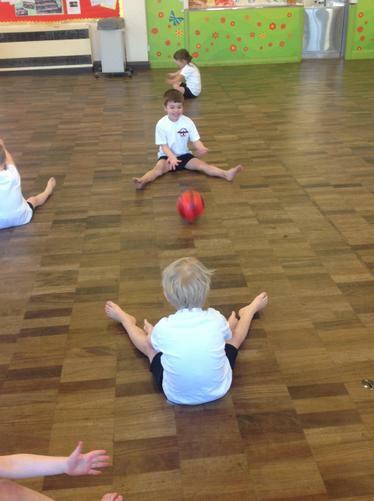 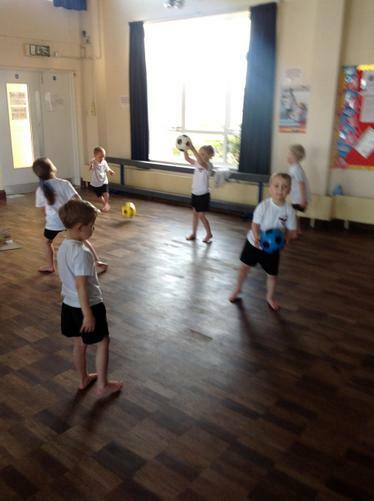 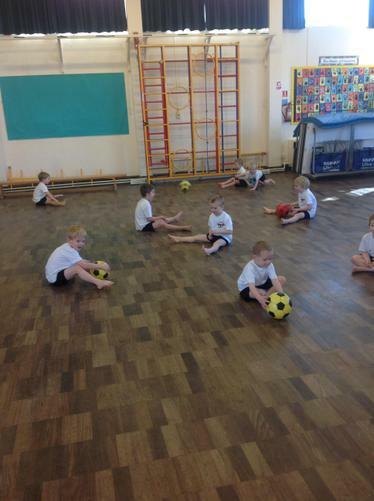 Children need a named PE in school, our allocated hall times for PE are on a Wednesday and Friday but due to the flexibility of the EYFS we may do PE on other days. 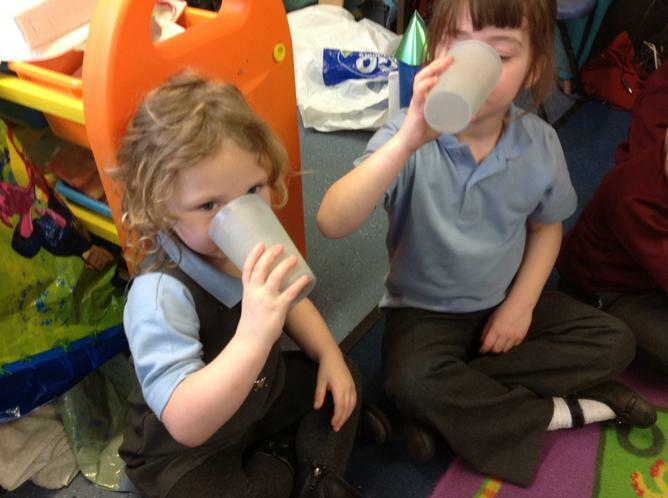 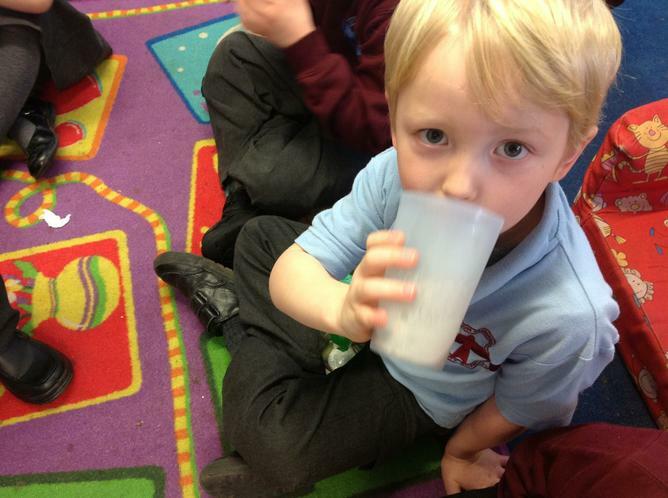 Children are given a snack of fruit, milk and water every morning. 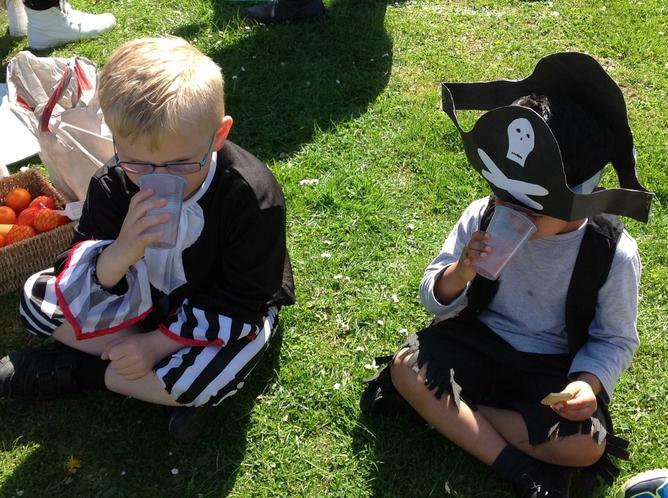 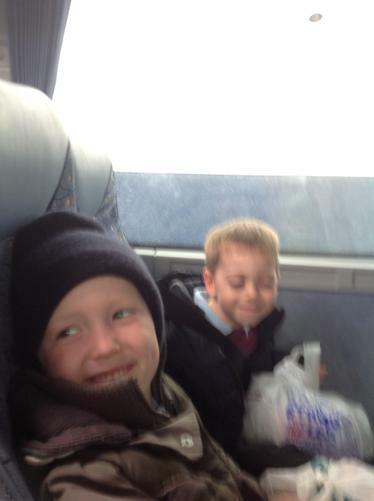 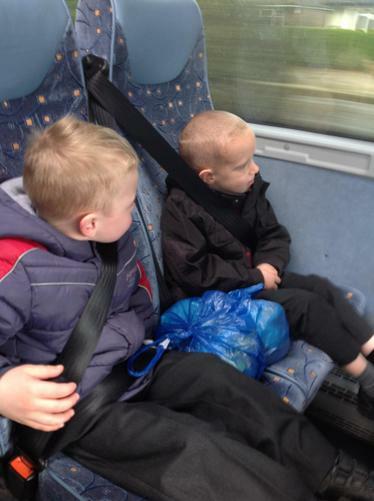 Children are allowed to bring an extra ‘healthy’ snack (fruit, vegetables, bread sticks etc.). 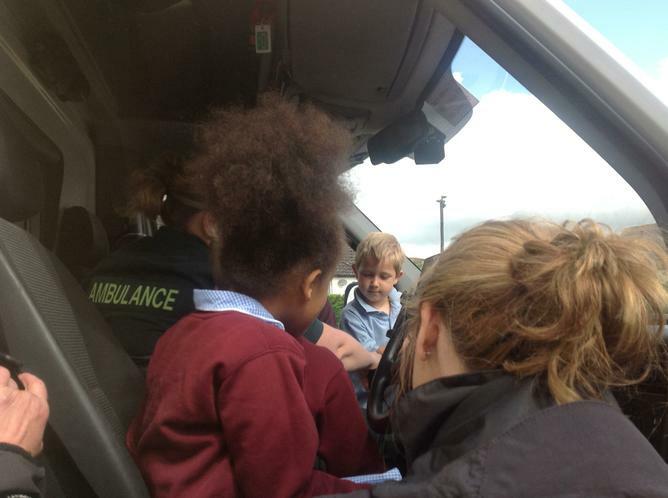 This week is a national initiative designed to increase awareness of Child Safety. 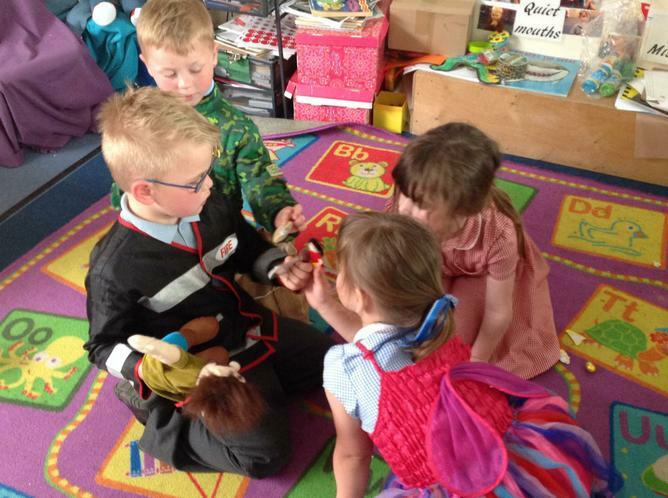 In class we encourage our children to be very independent and we firmly believe that children need to manage risks and be prepared for life events, therefore this week we will be focusing on how to keep safe. 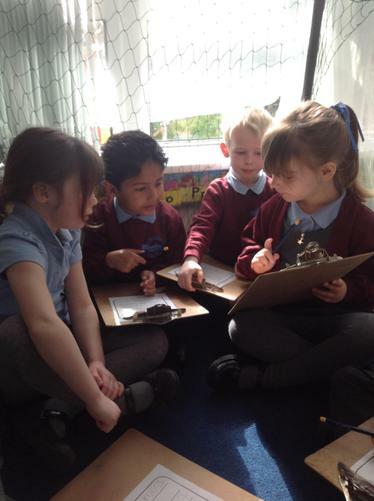 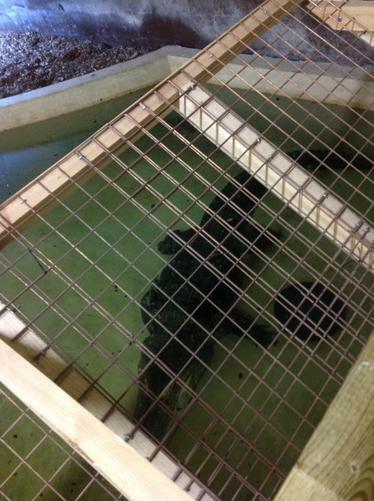 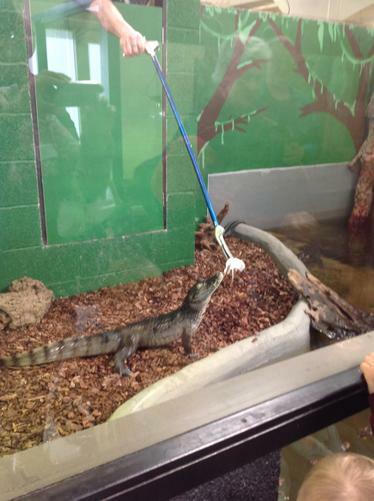 We will look at a variety of situations and discuss what the best thing to do would be. 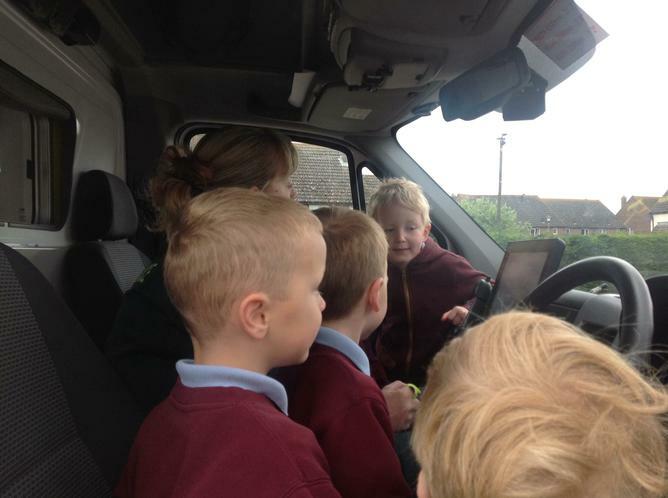 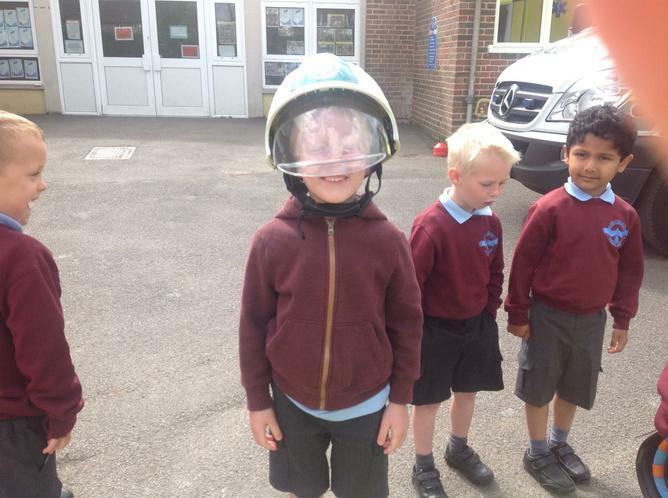 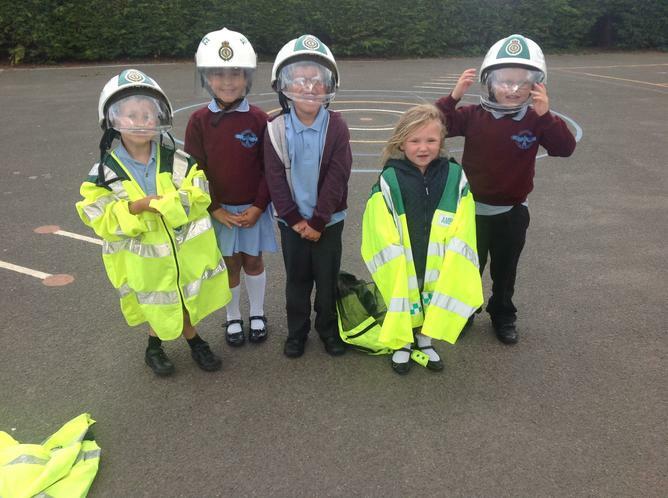 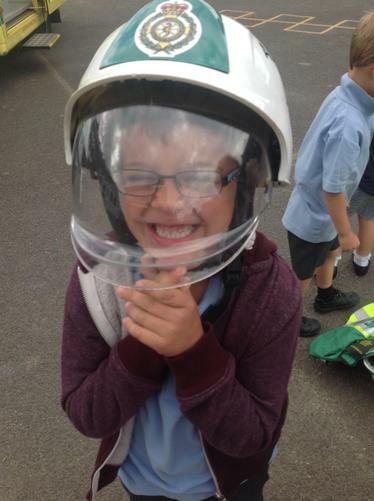 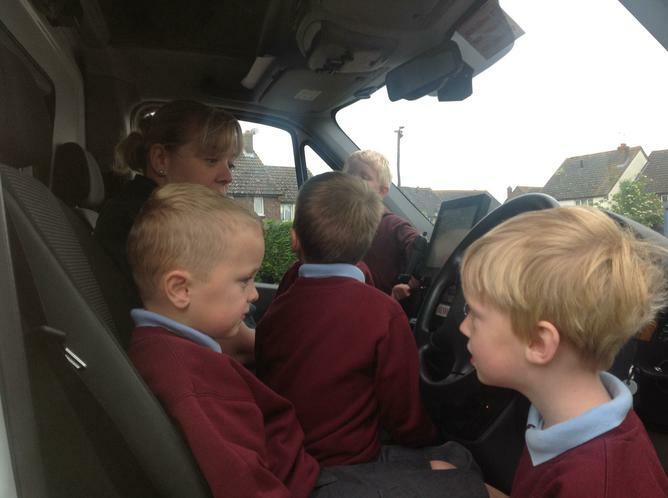 We will be learning about road safety (as highlighted as a parental concern from a previous homework), safety at home and what to do in an emergency. 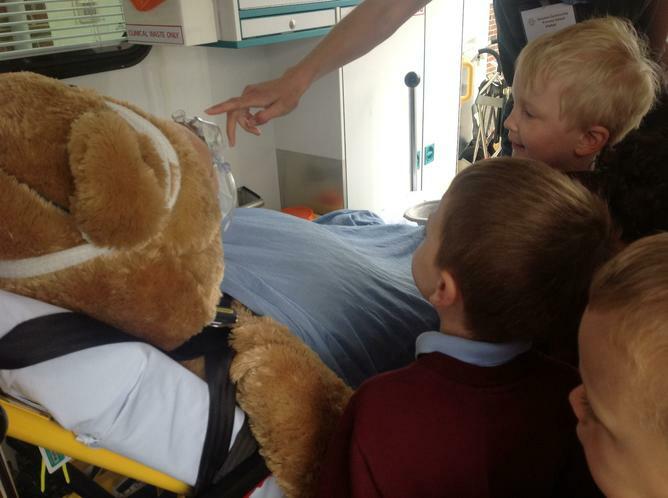 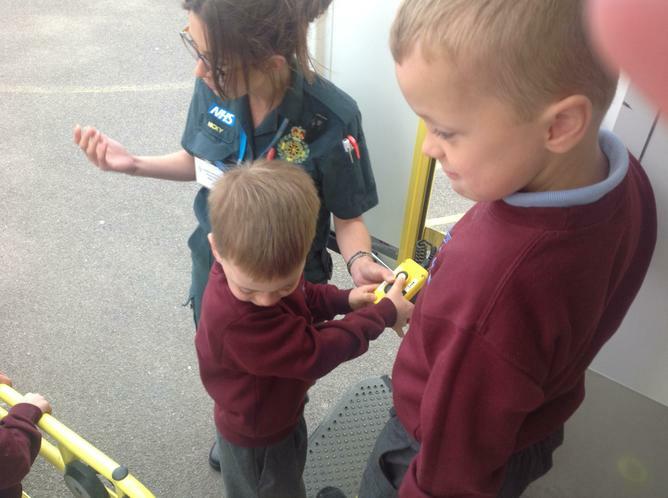 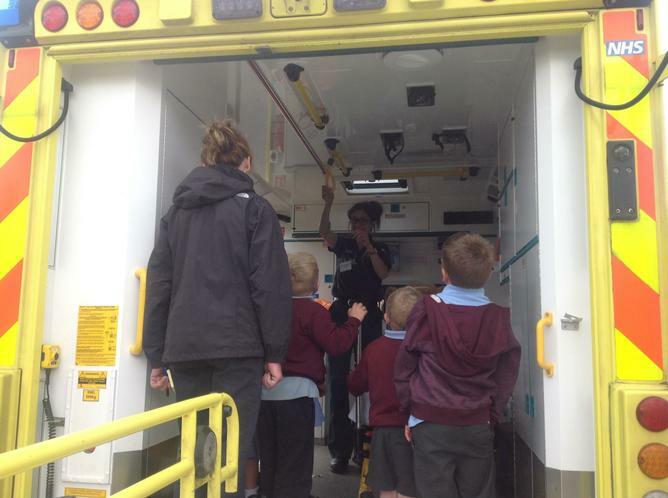 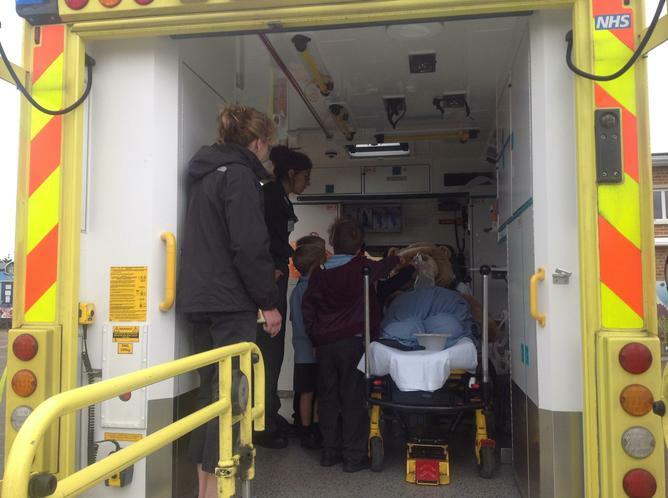 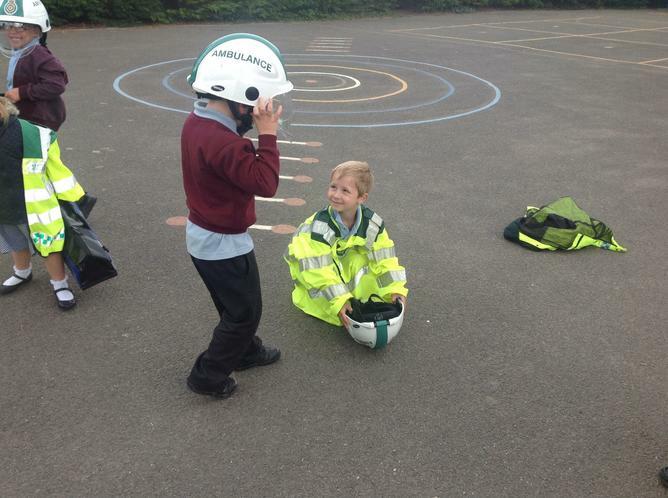 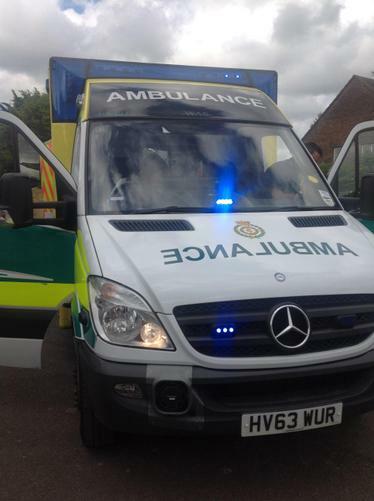 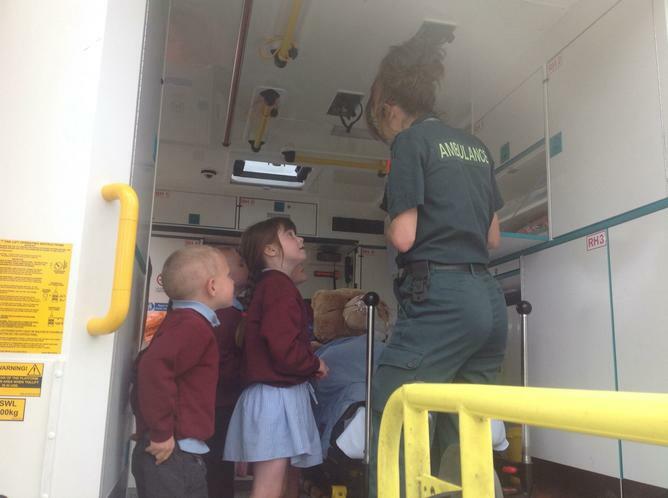 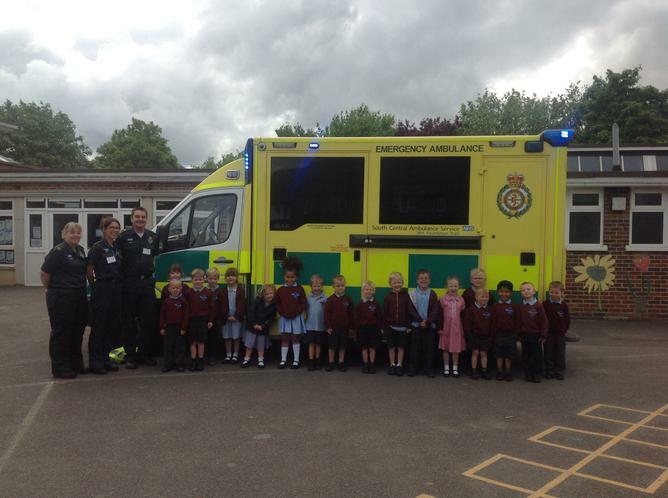 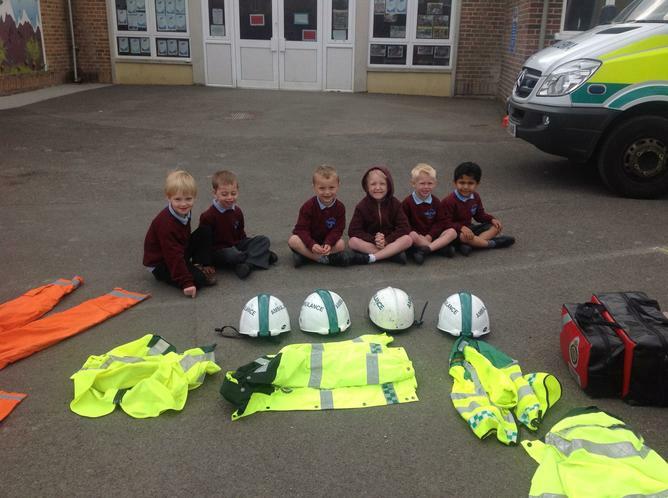 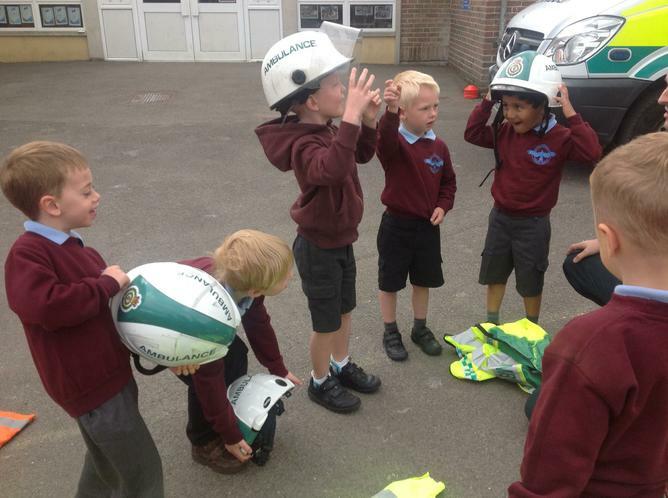 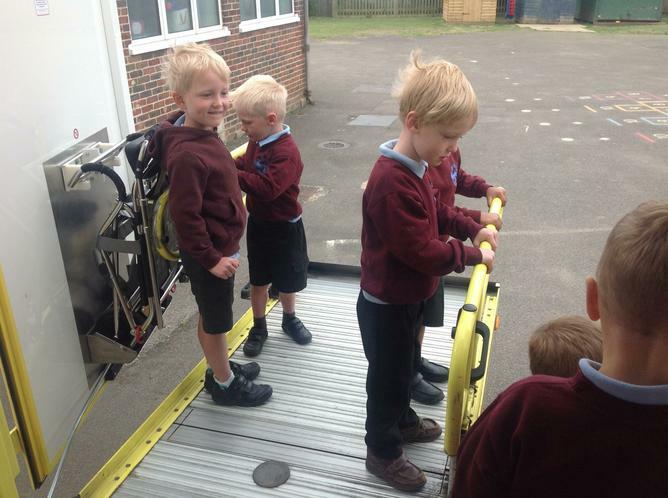 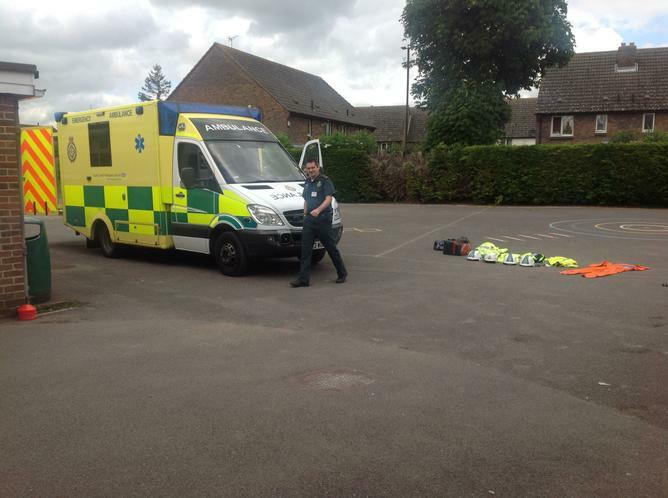 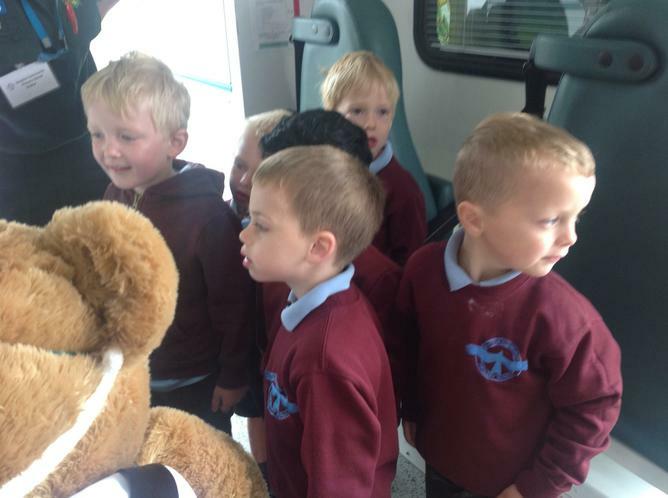 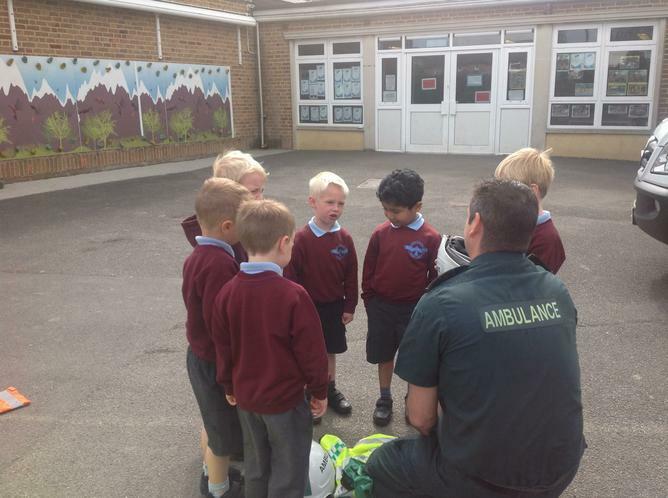 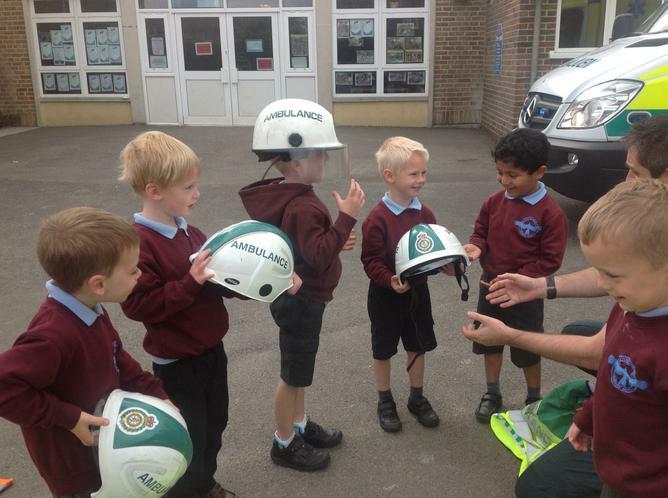 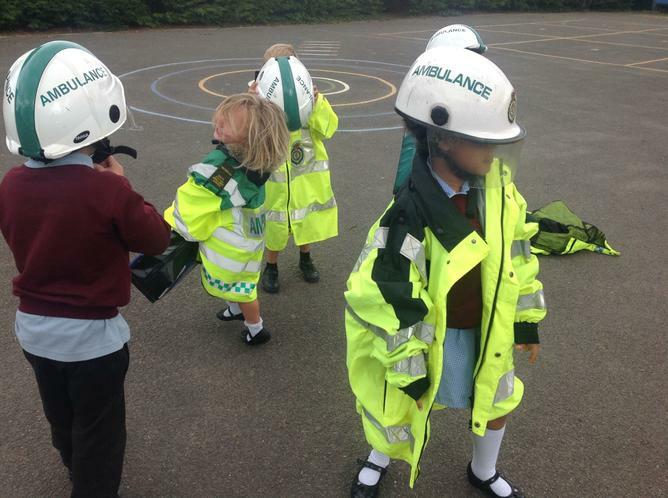 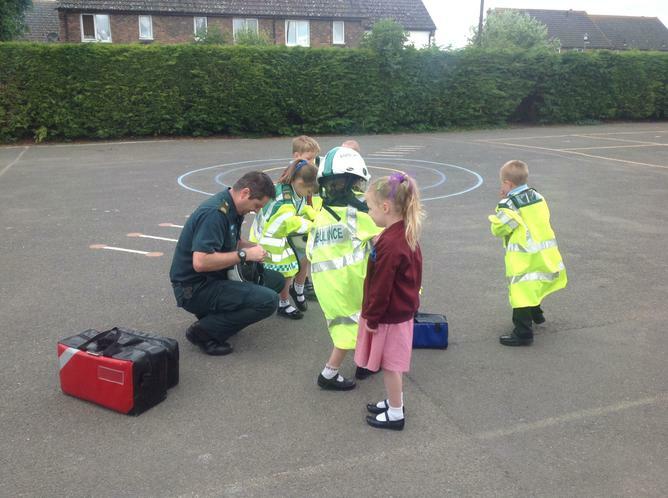 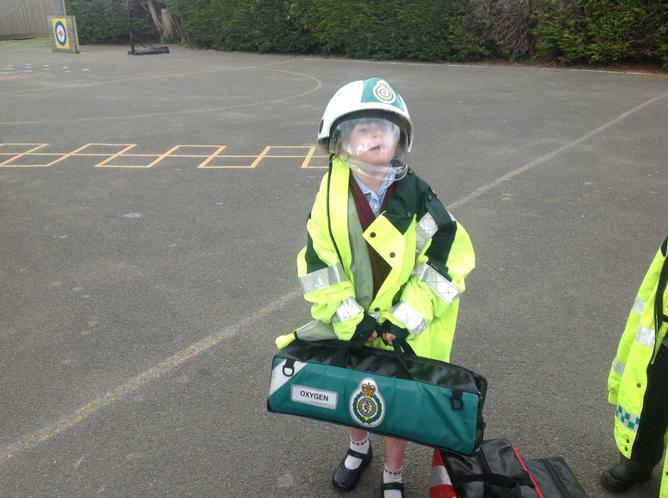 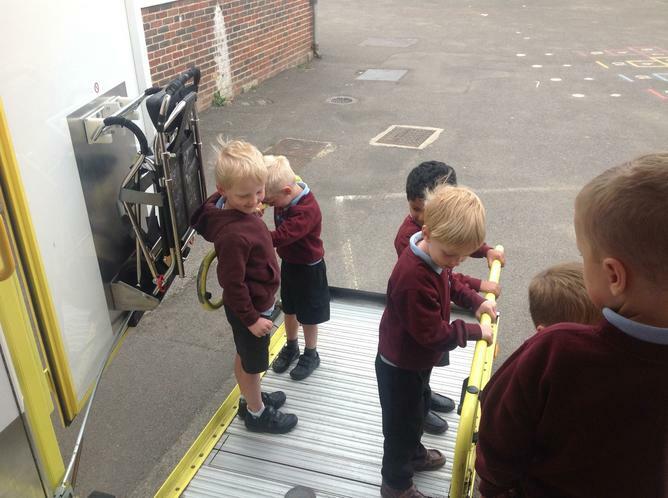 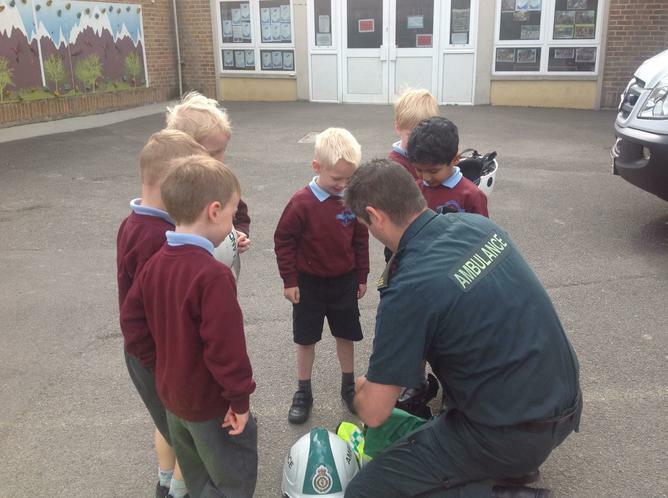 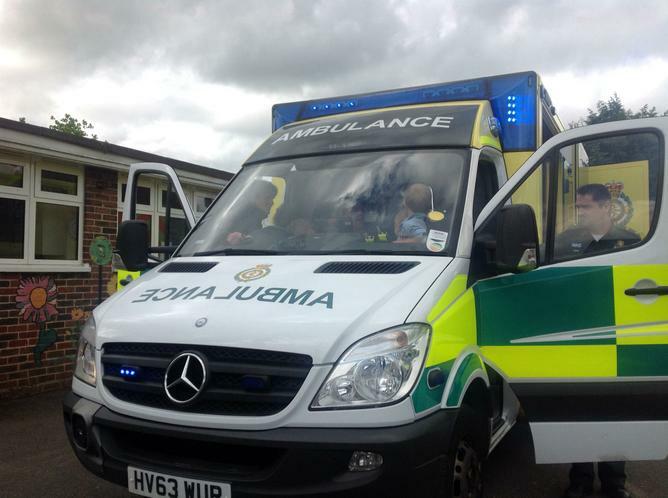 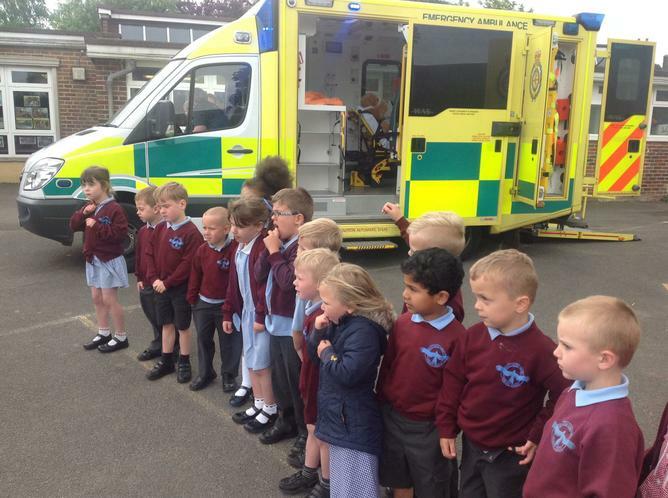 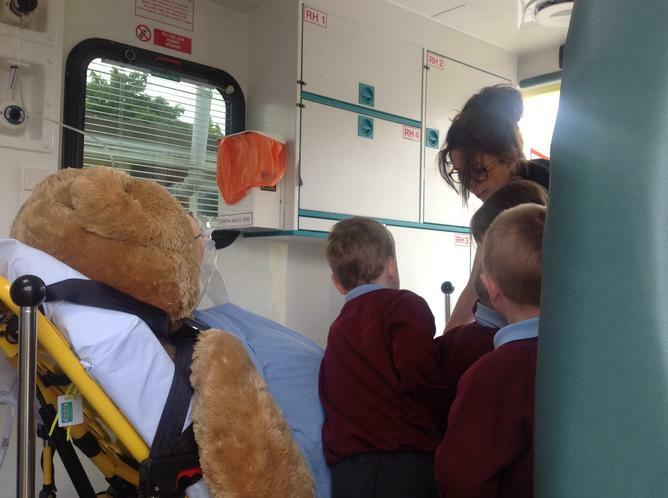 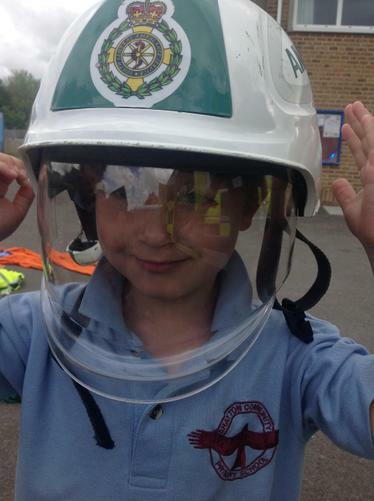 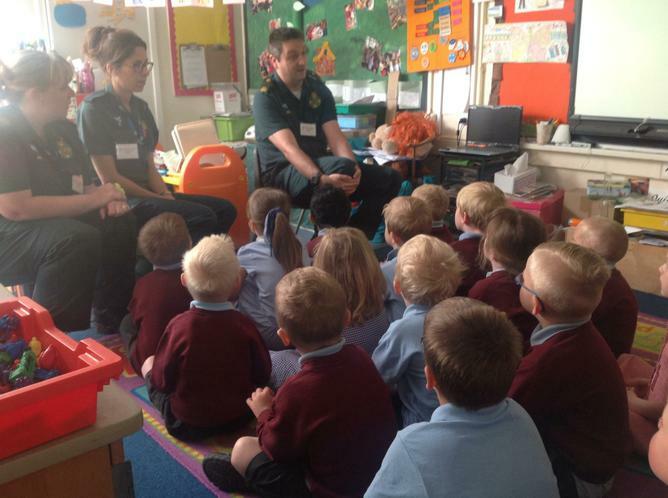 We have an ambulance visit booked to discuss the role of a paramedic. 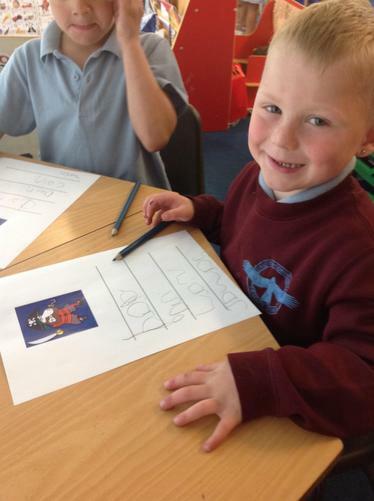 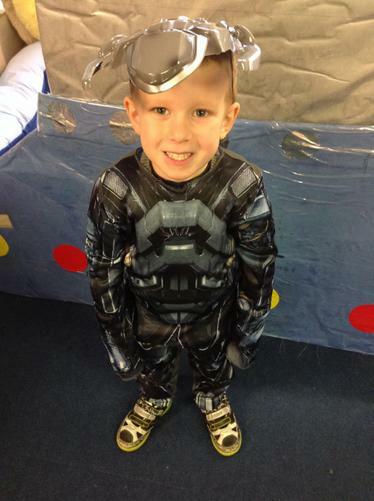 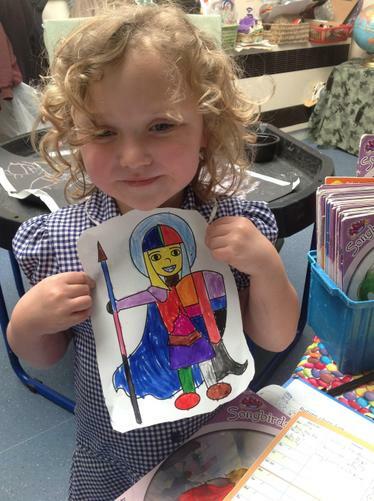 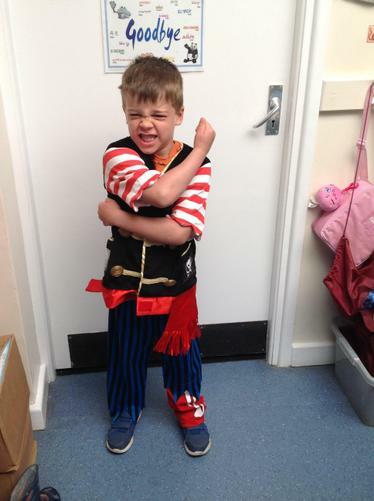 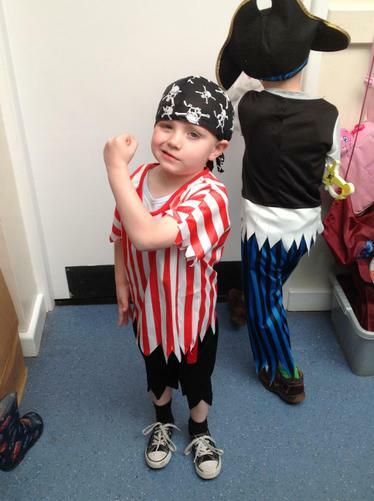 This focus will link in nicely with a number of children's interest of superheroes. 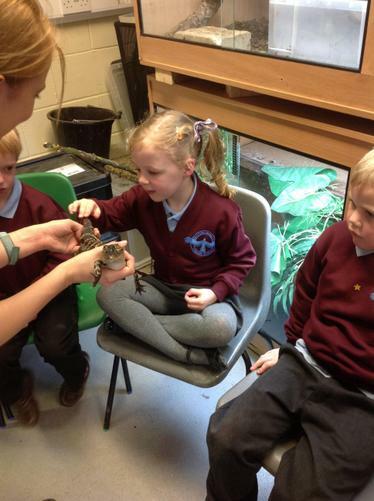 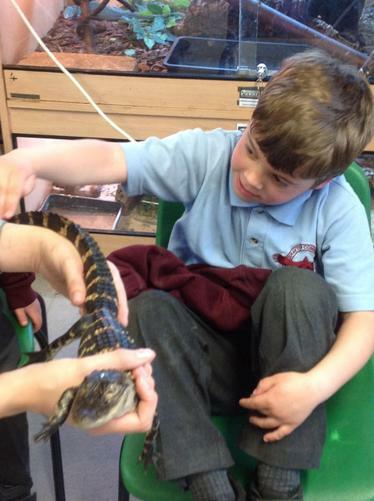 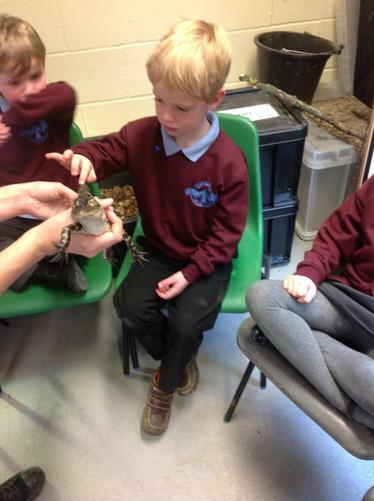 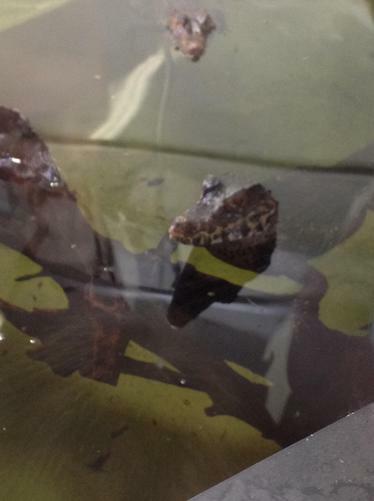 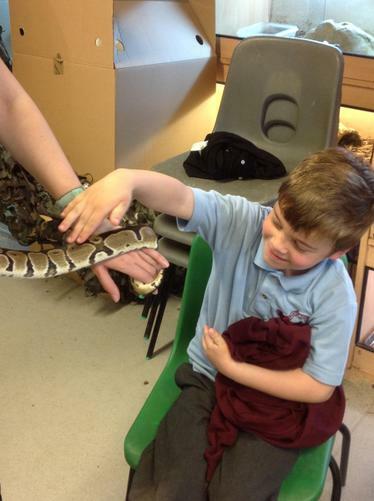 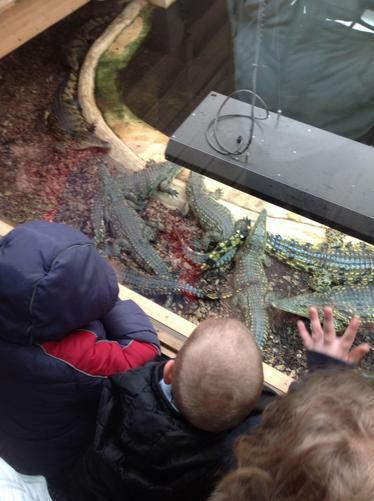 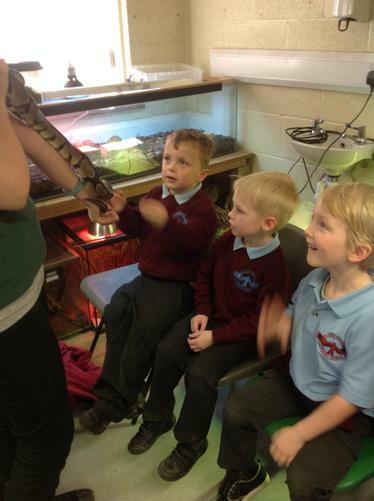 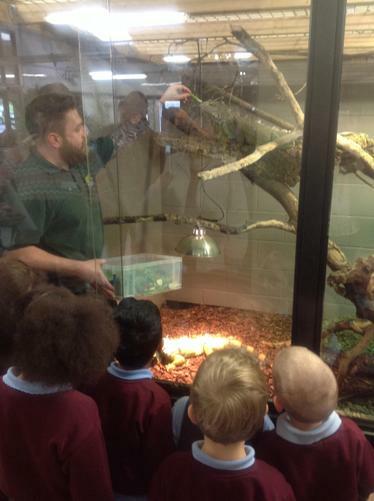 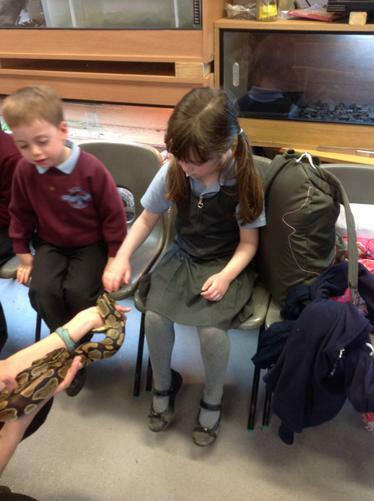 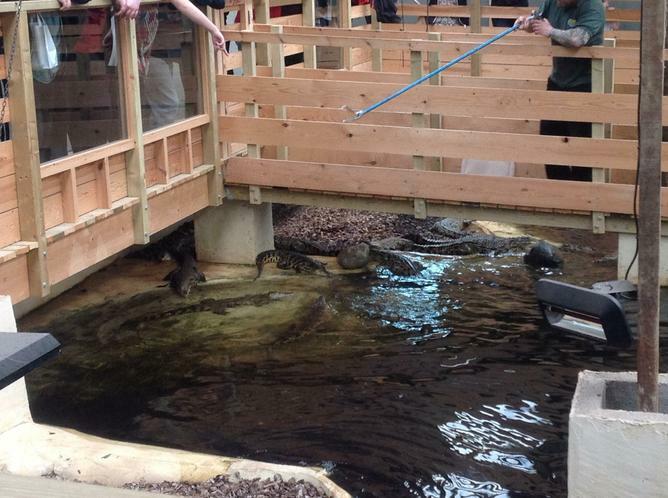 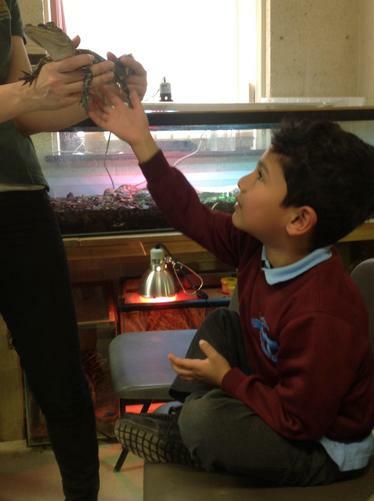 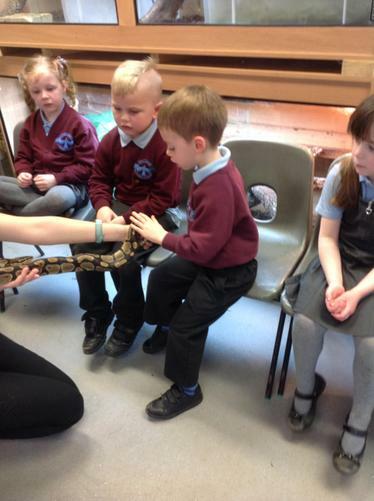 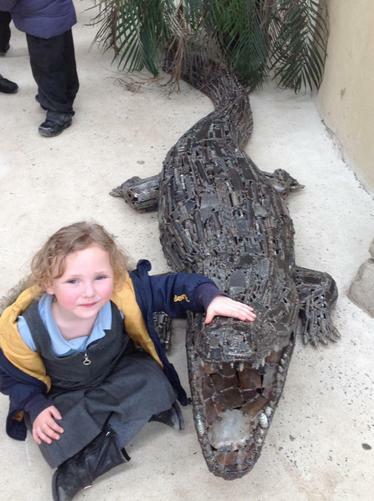 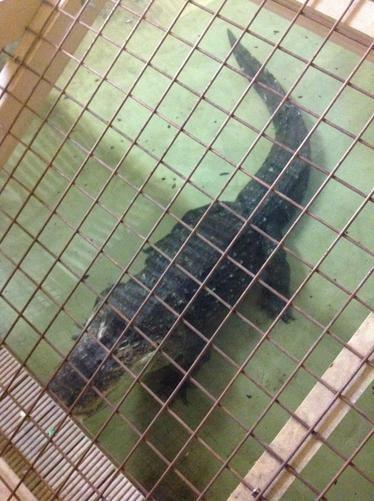 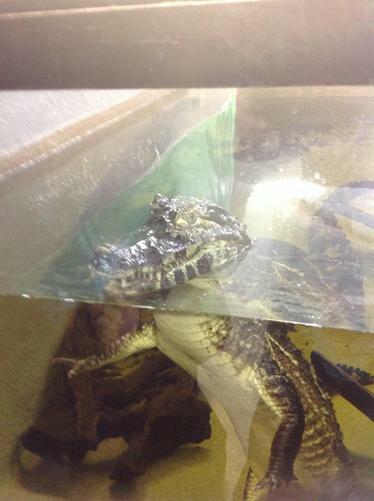 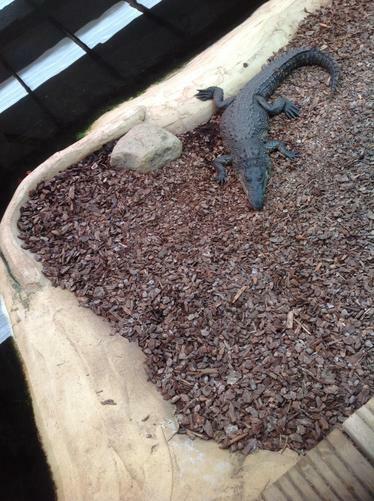 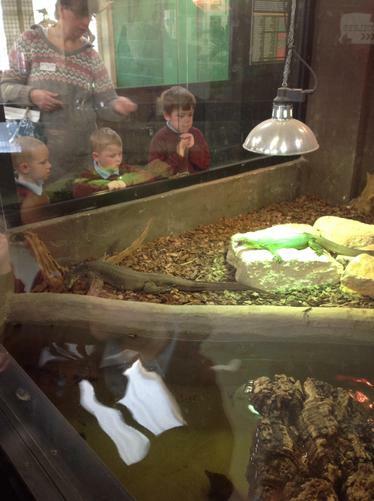 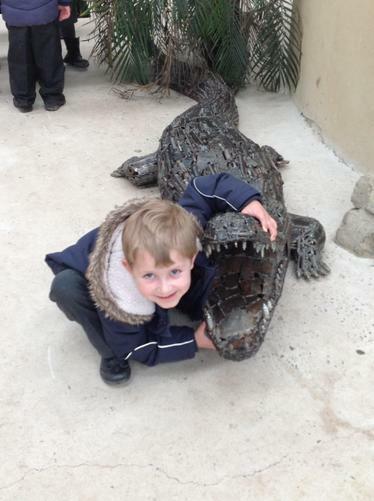 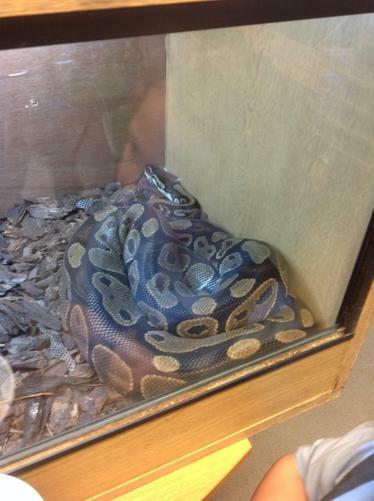 This focus will see us delve into the world of all things creepy and crawly! 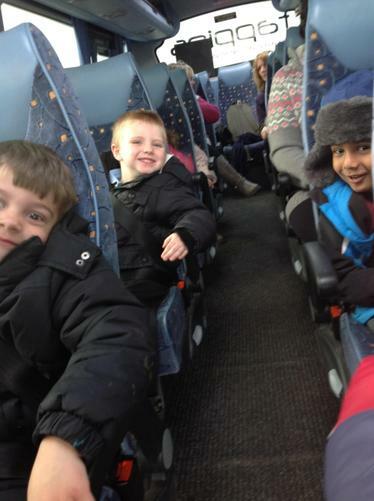 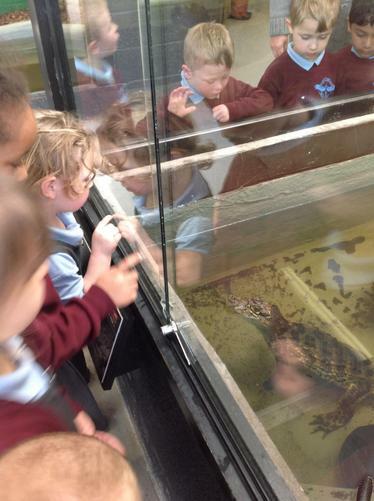 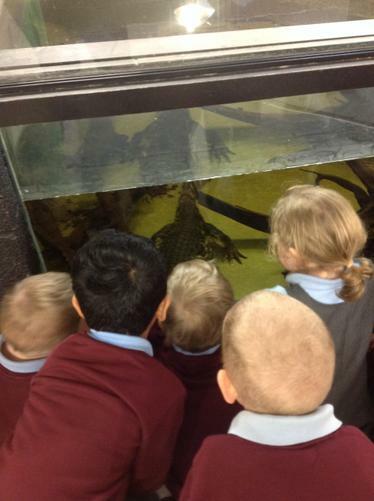 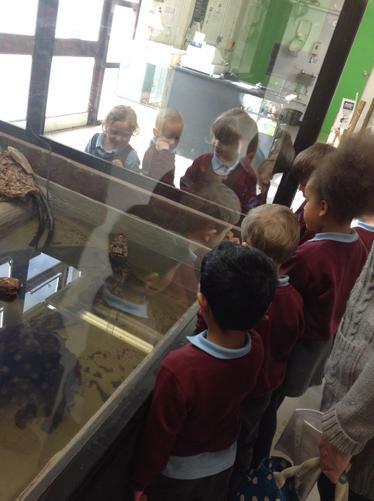 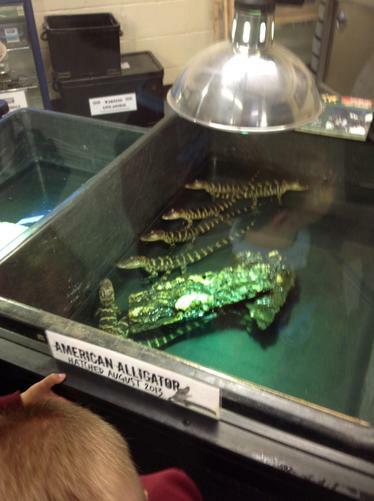 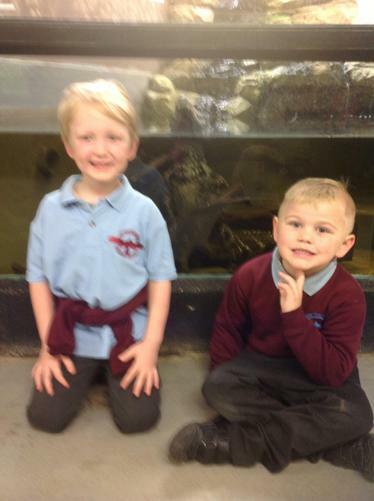 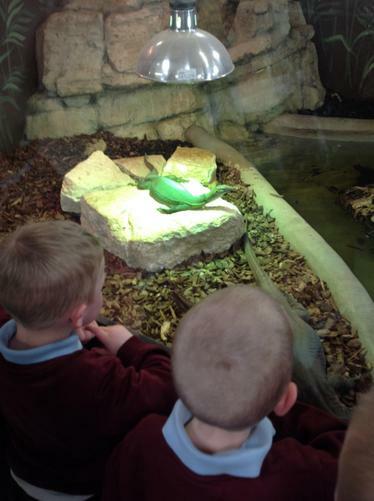 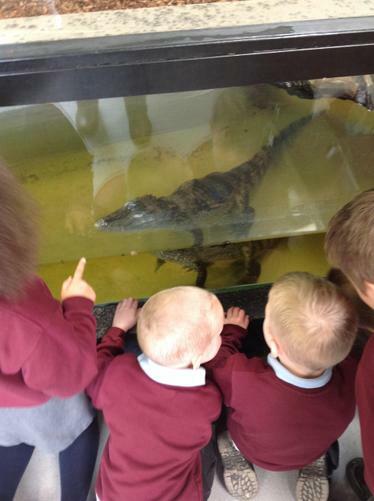 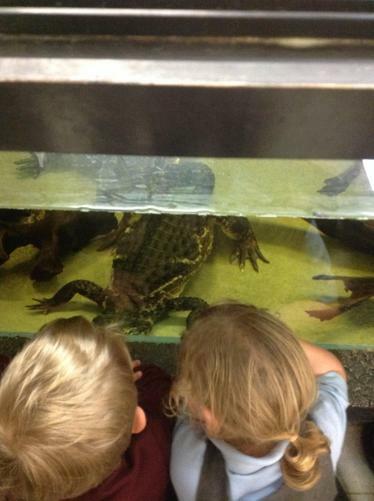 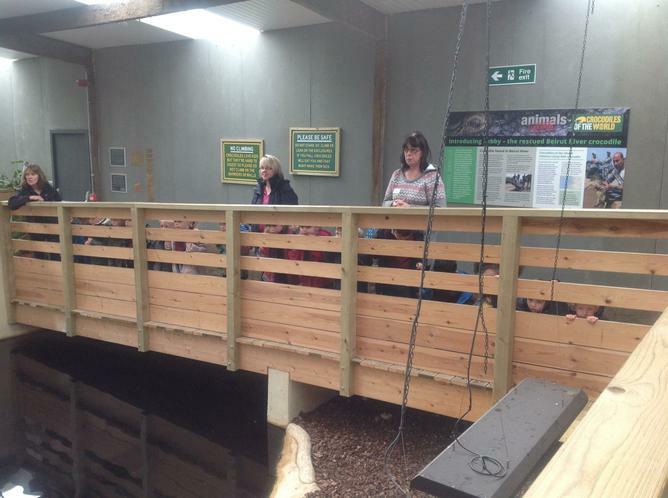 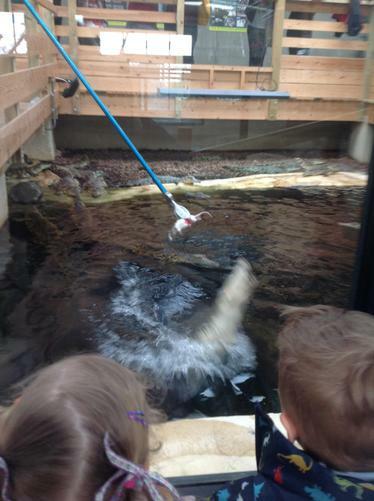 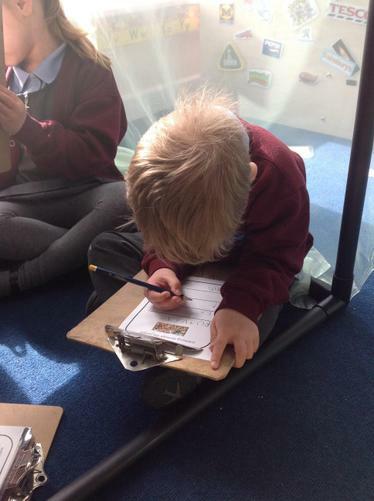 We will observe tiny animals in their natural habitat by going on a bug hunt and pond dipping. 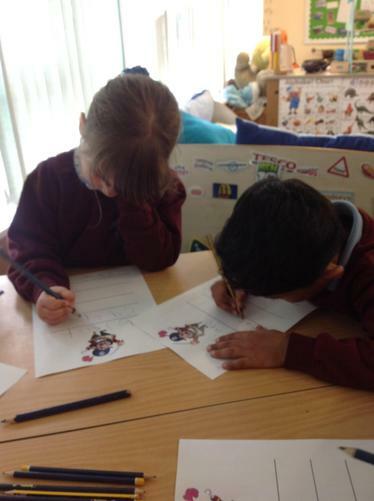 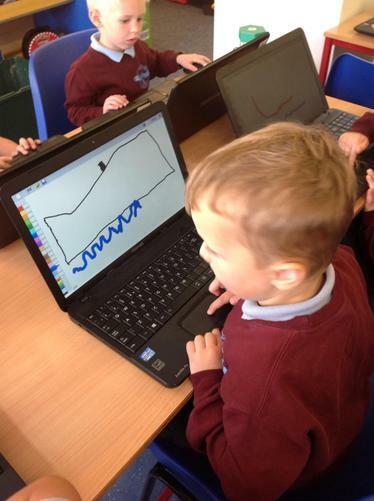 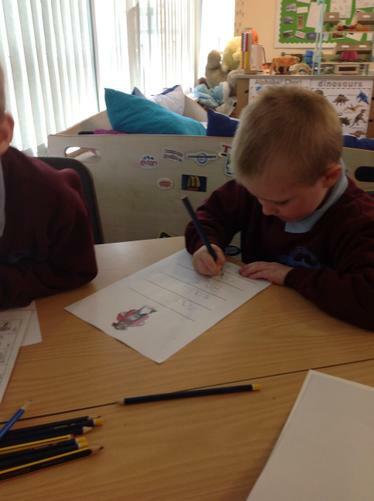 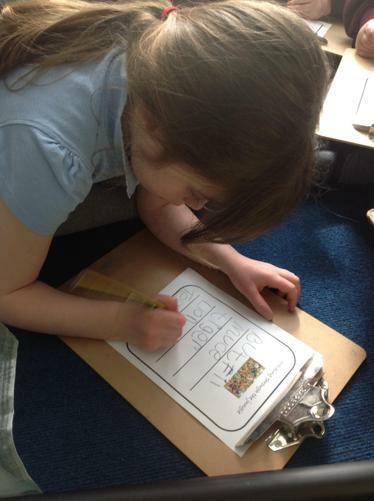 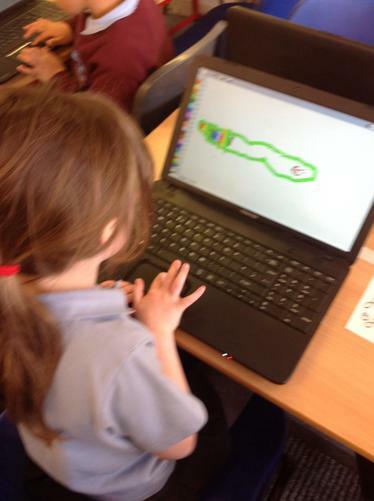 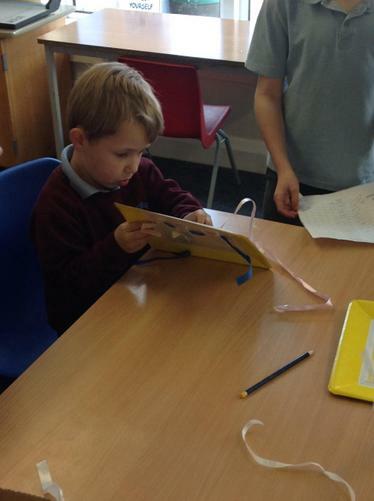 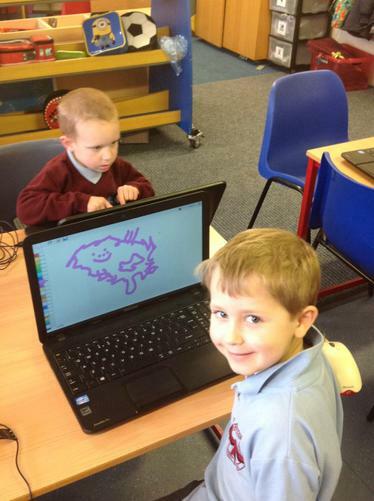 We will use our technological skills to capture pictures and our drawing skills to draw minibeast we find. 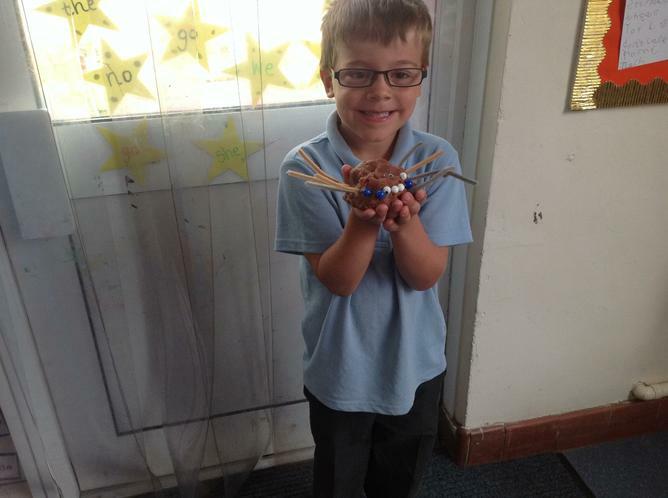 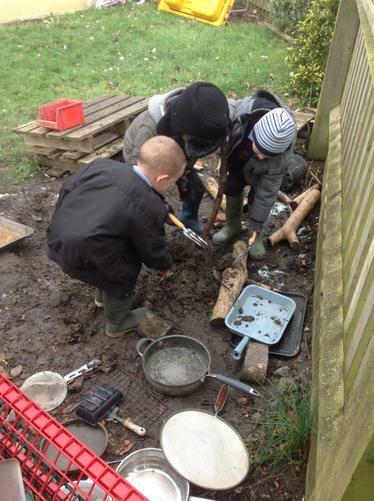 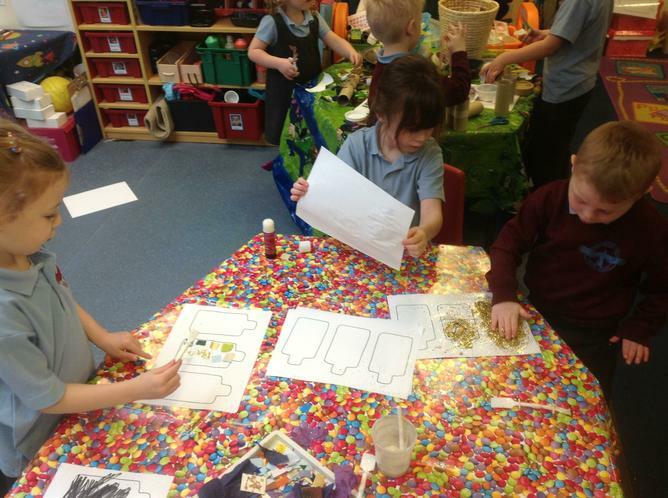 We will look at various minibeasts homes and create our own bug hotel outside. 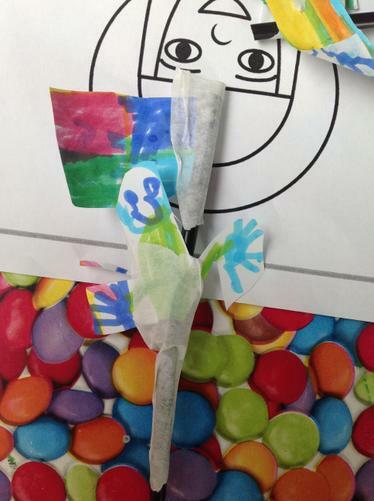 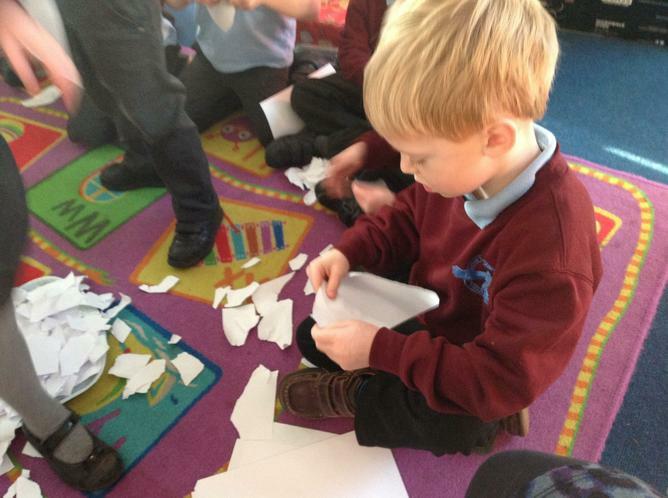 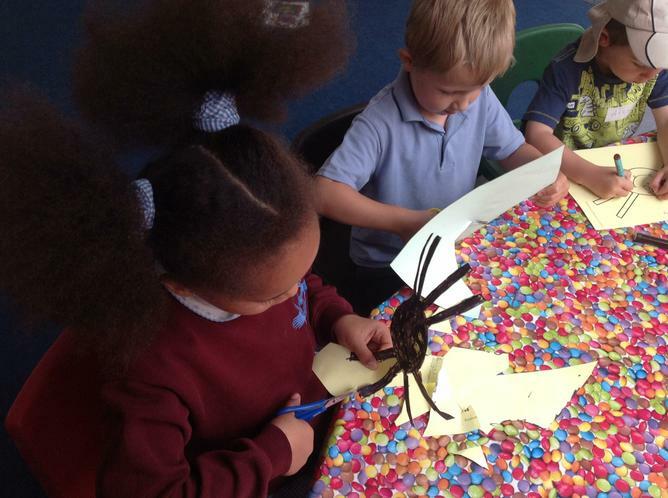 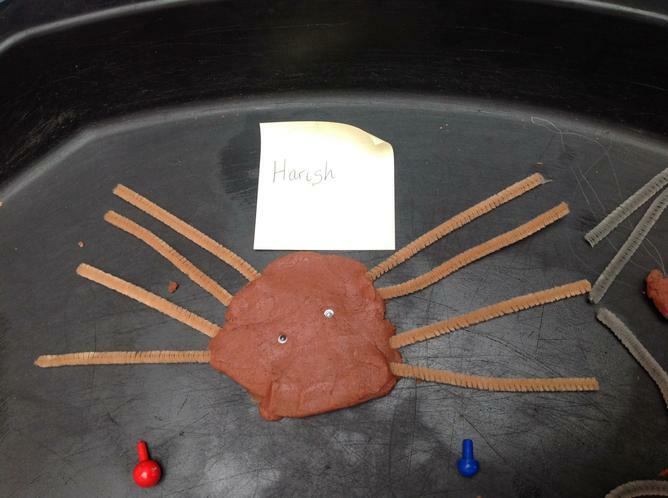 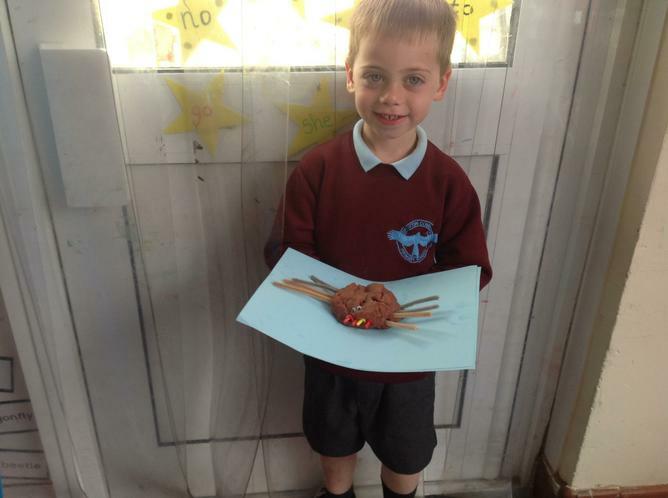 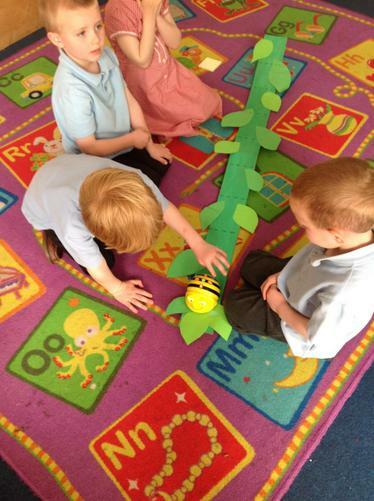 We will create our own minibeasts using papier maiche and they will soon be crawling around our classroom so keep a look out! 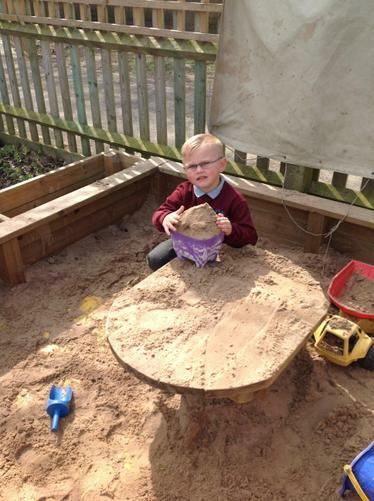 We will be creating sand dough sculptures and learning all about the summer! 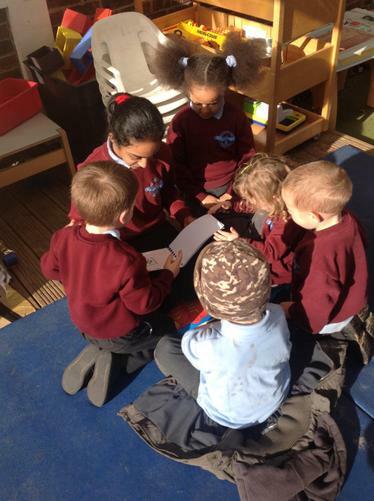 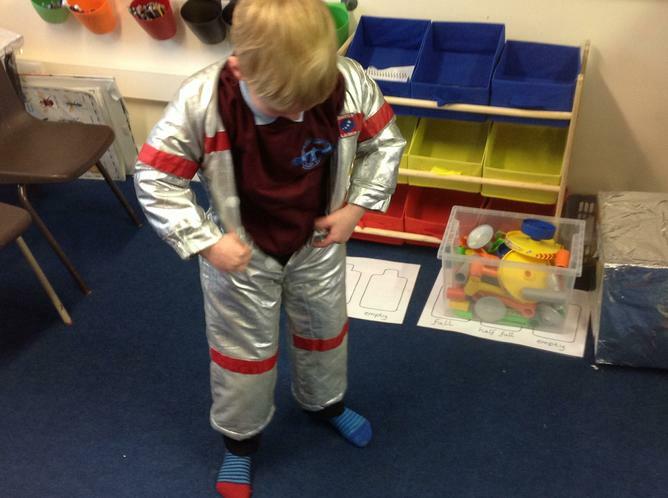 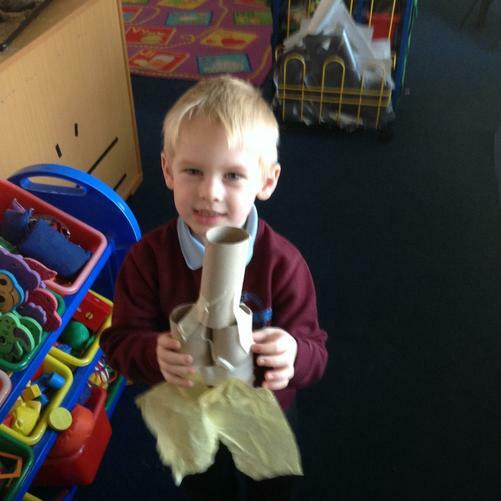 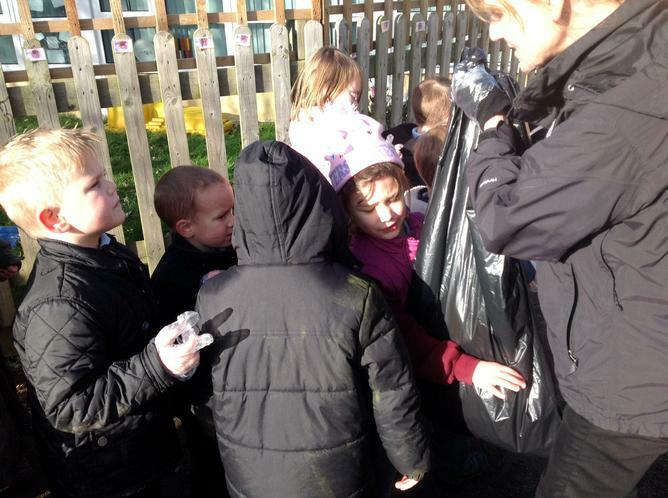 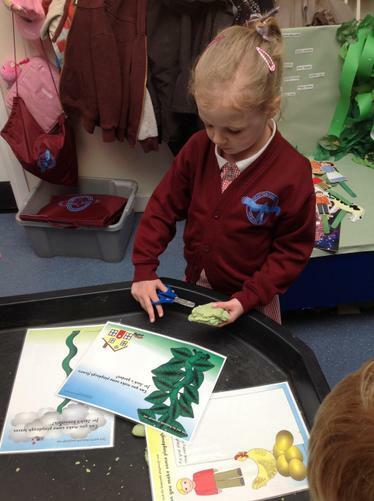 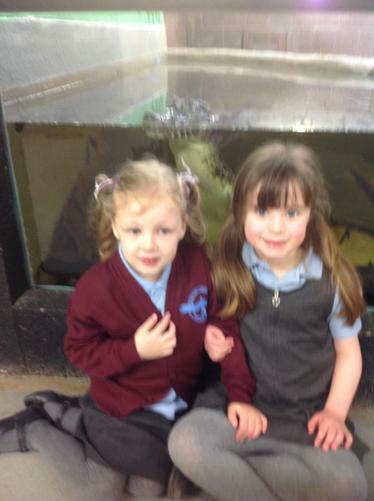 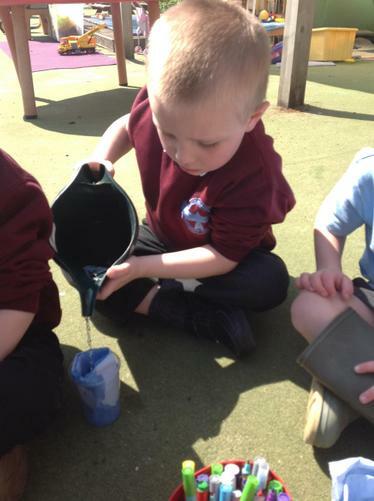 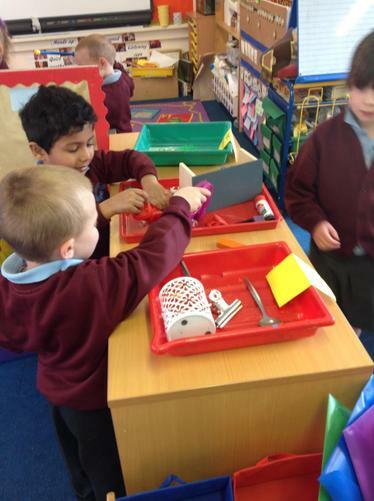 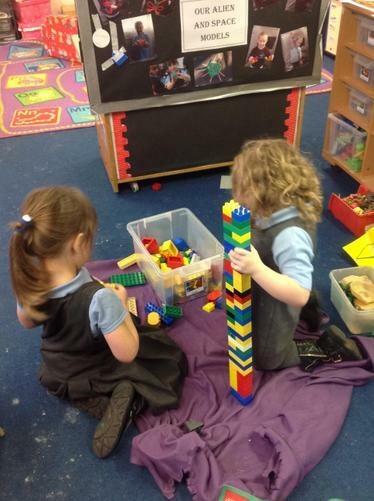 We will be discussing changes in the environment and weather and thinking about what clothes to wear and why. 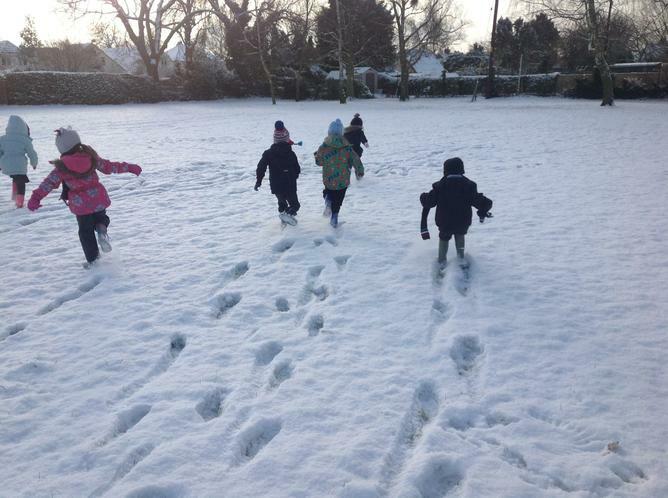 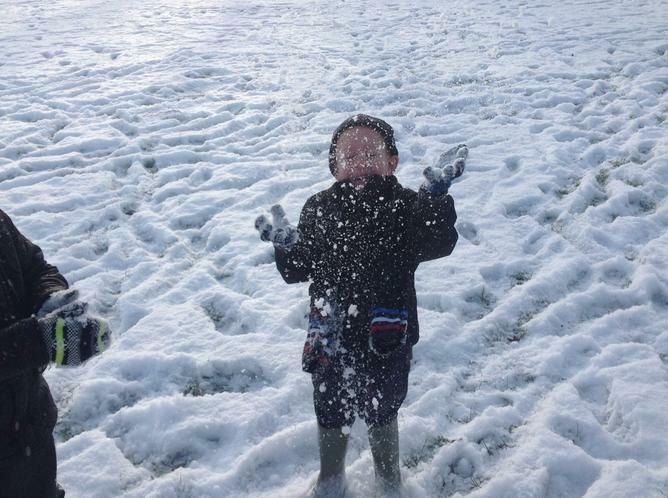 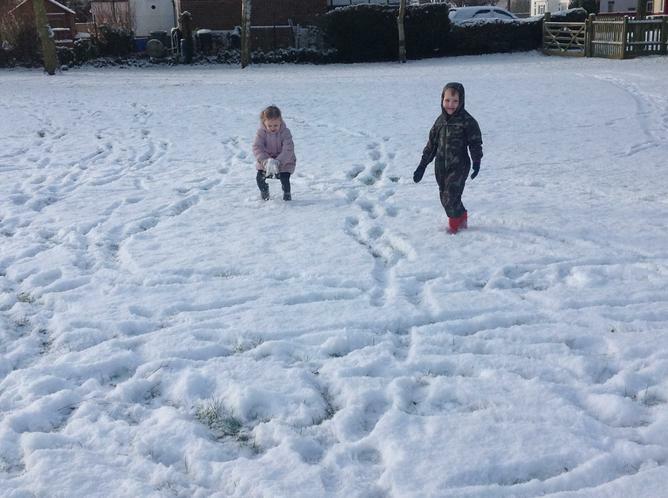 Should we wear woolly sock, Wellington boots or flip flops? 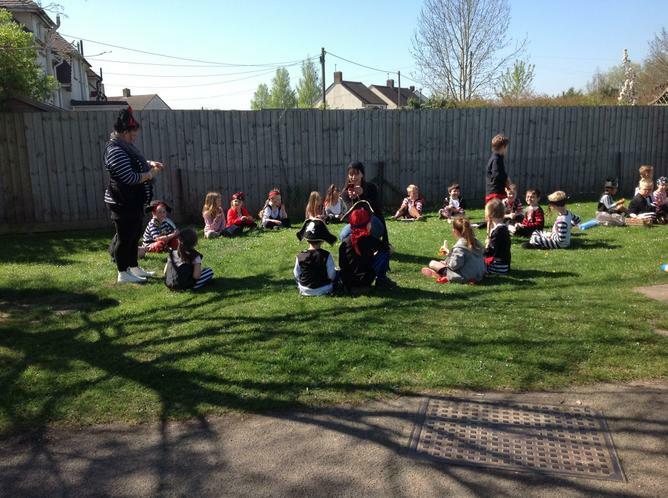 Let’s hope the British weather helps us and it’s nice and warm! 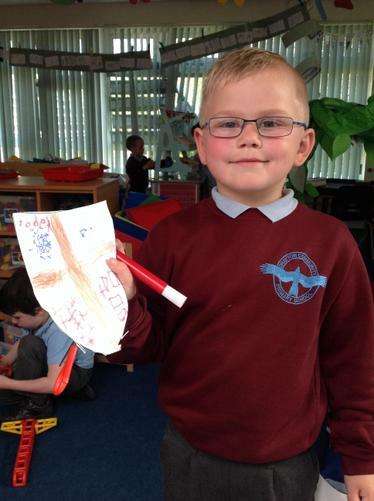 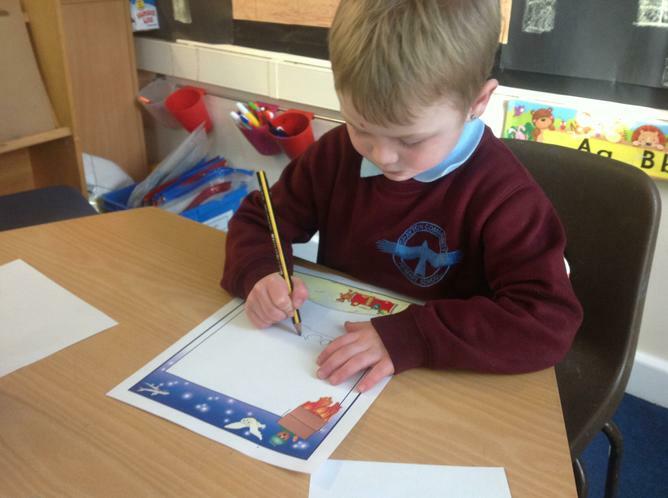 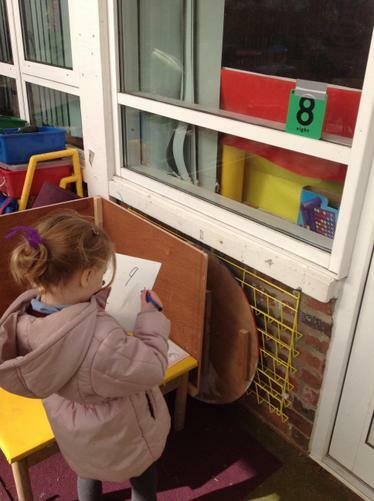 We will write lists of things to wear. 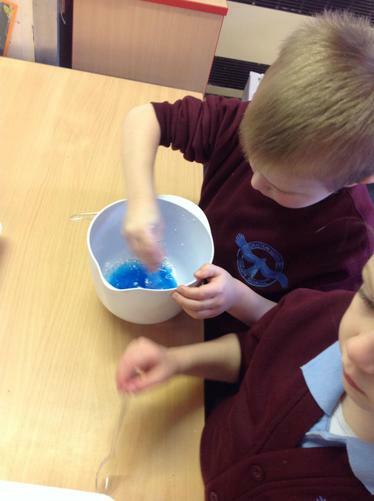 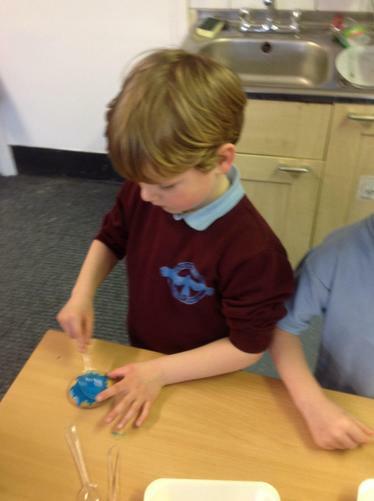 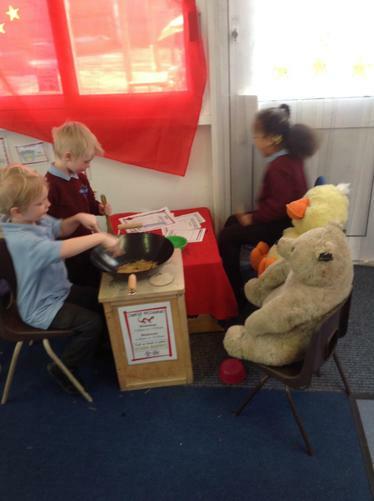 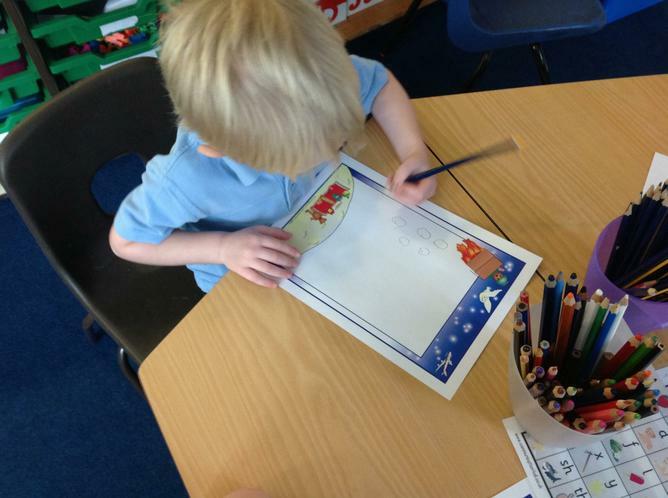 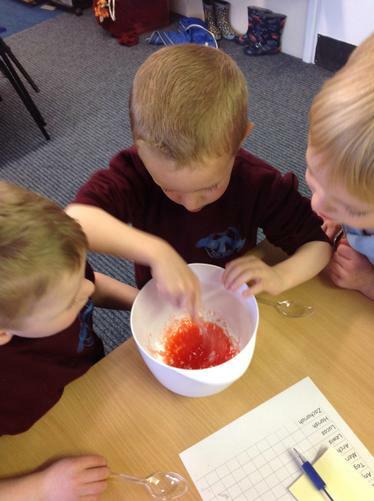 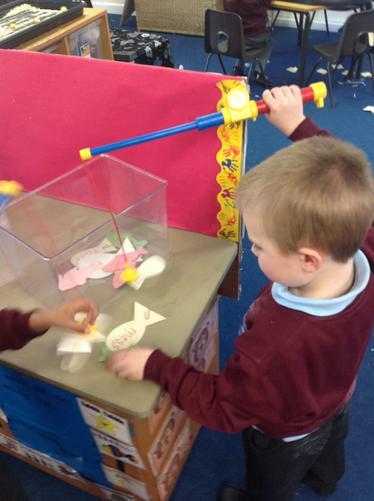 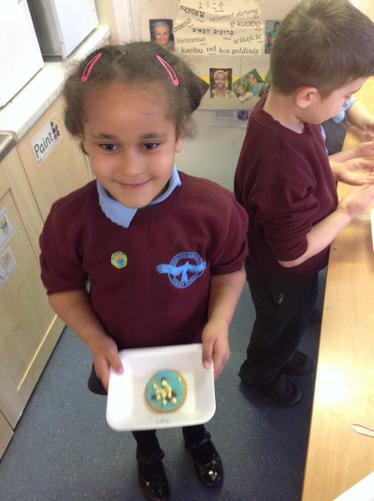 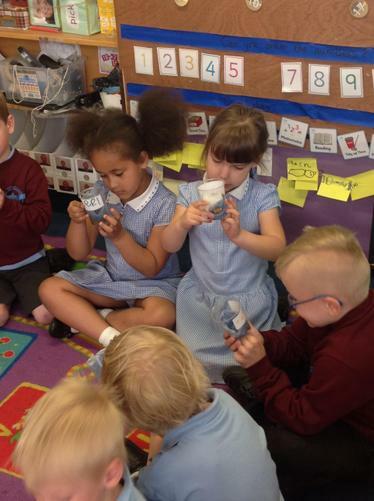 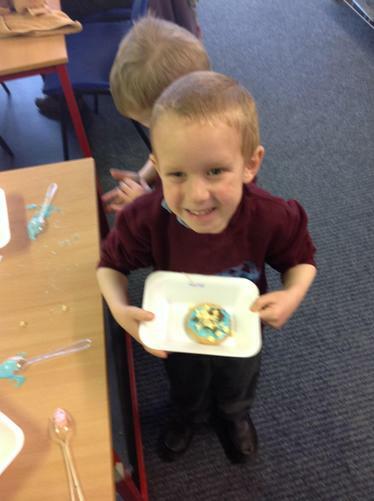 The children are keen to have an ice-cream shop (and make our own ice-creams for our next whole class reward! 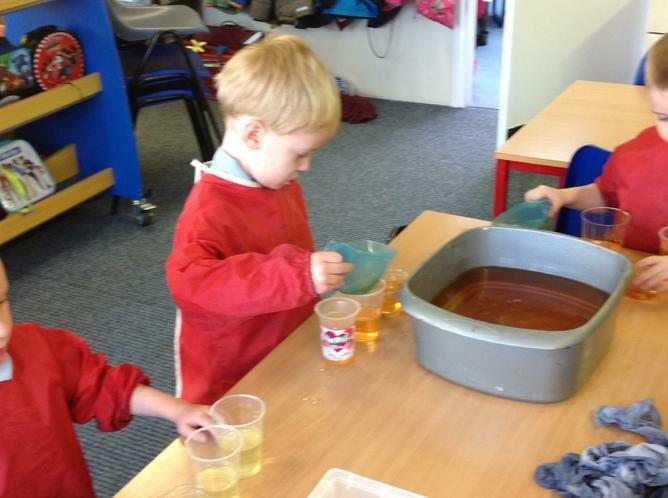 )and make lemonade, we will use this interest to learn about money. 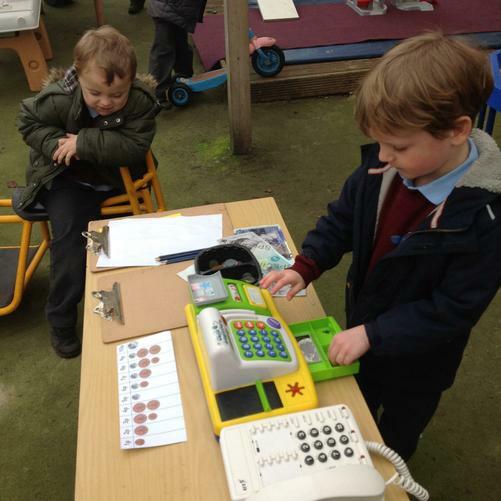 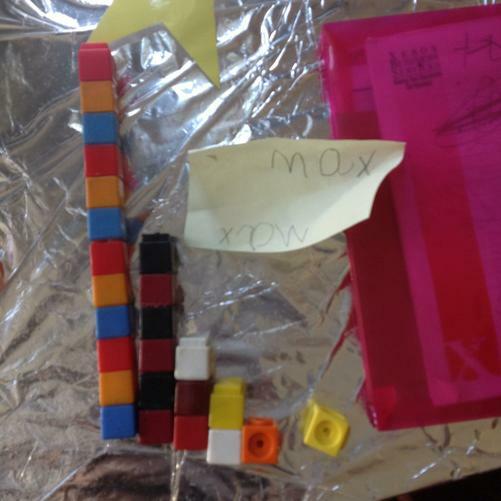 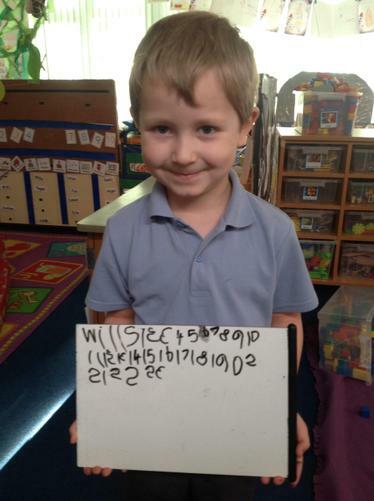 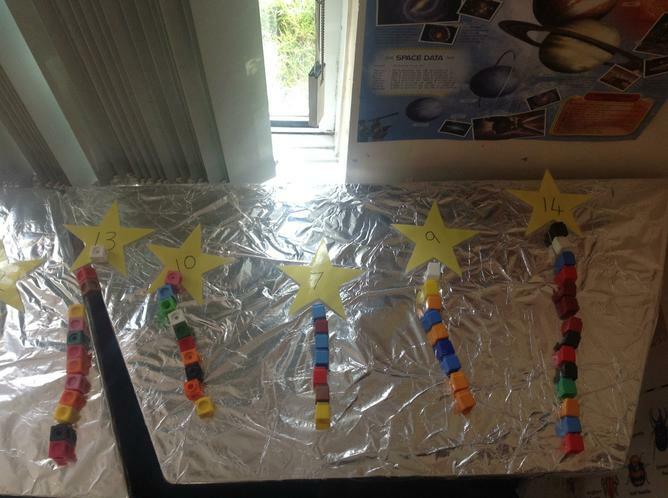 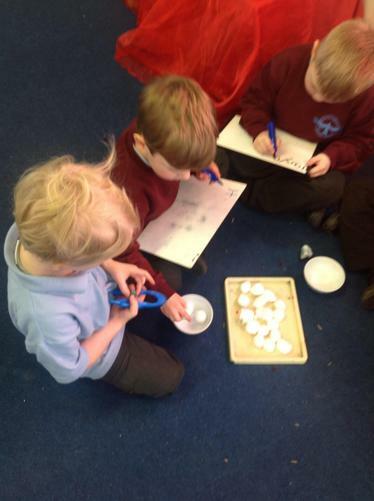 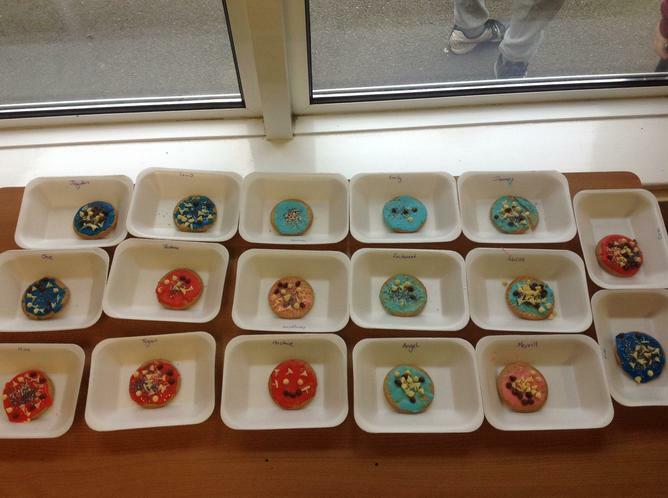 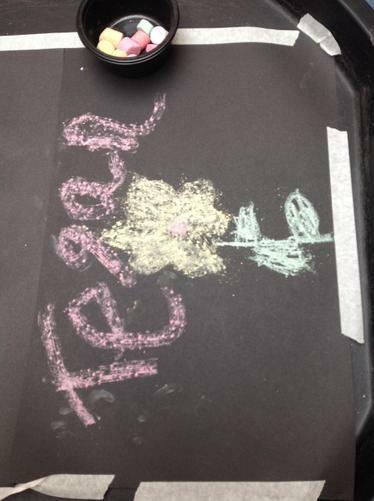 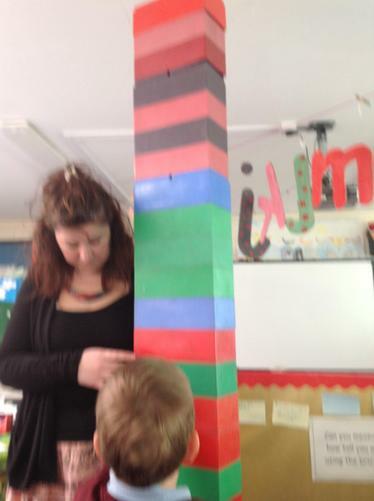 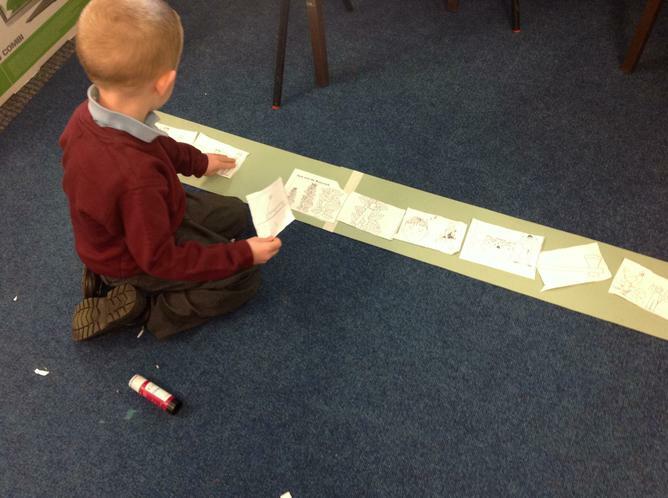 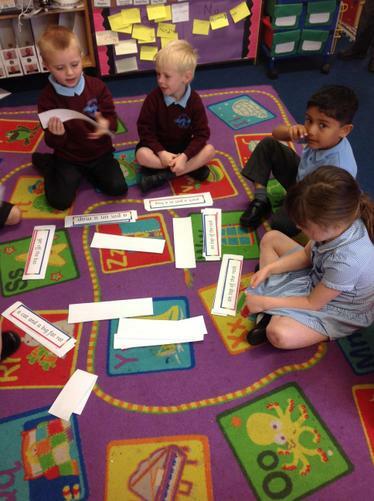 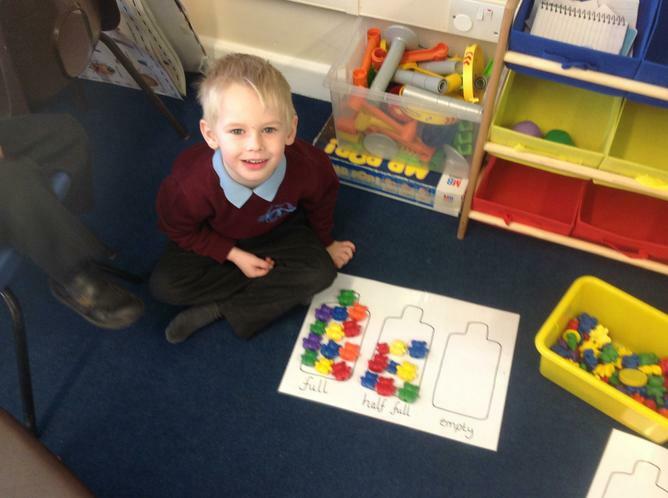 We will be making price labels, learning the names of coins and adding simple prices together. 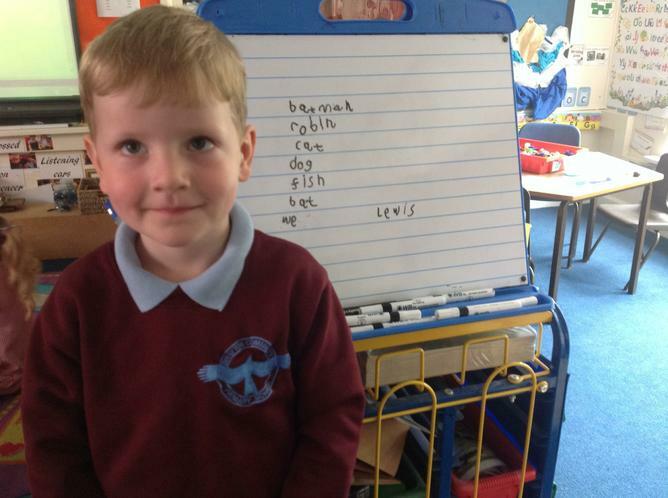 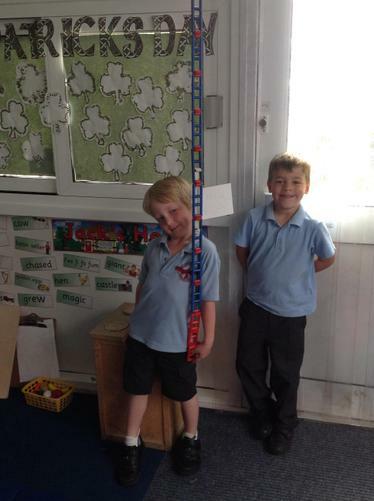 These are just a few of the things that we will be enjoying and learning about this term in Robin’s class. 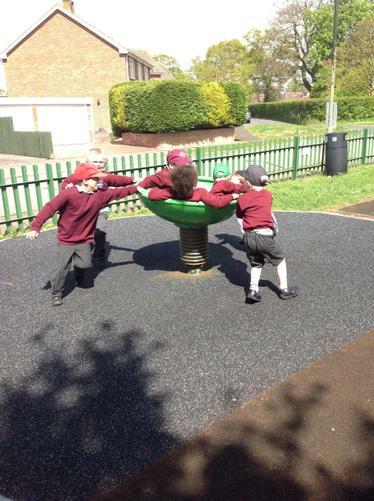 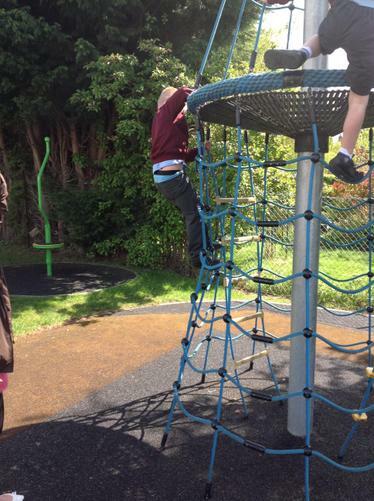 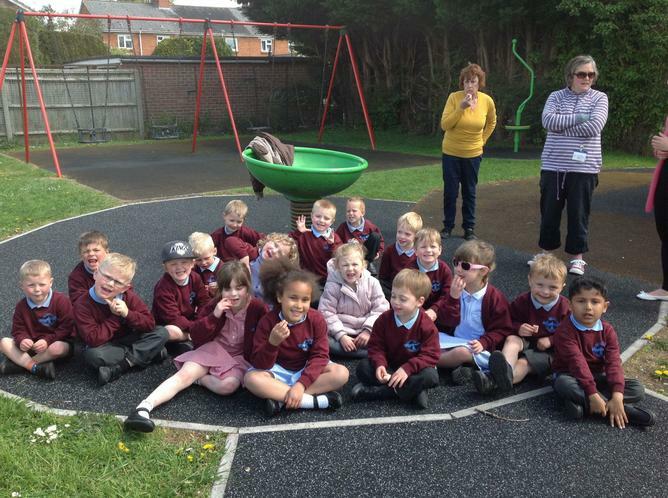 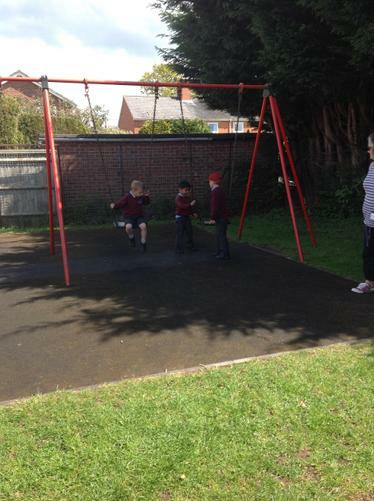 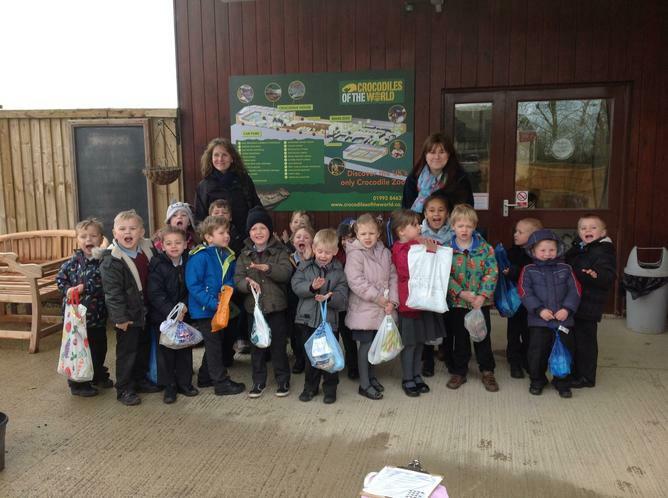 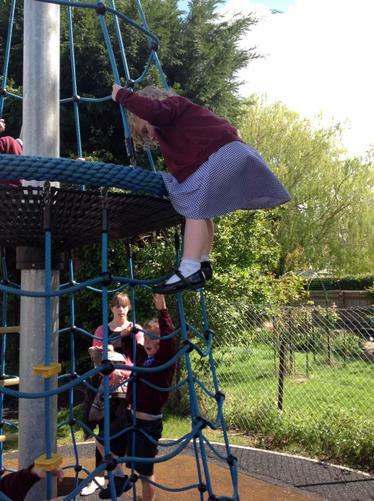 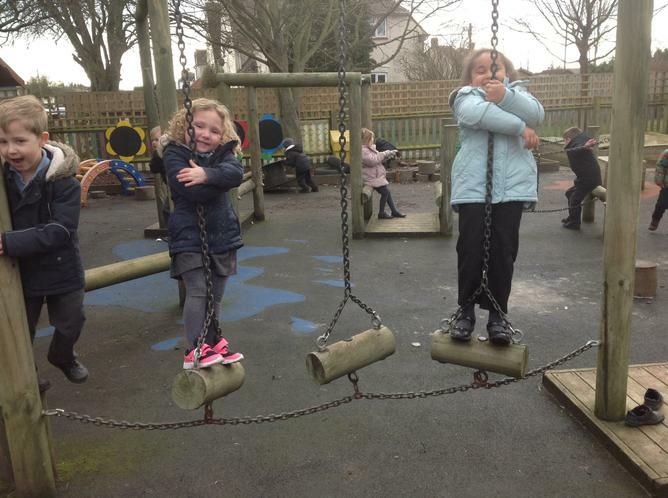 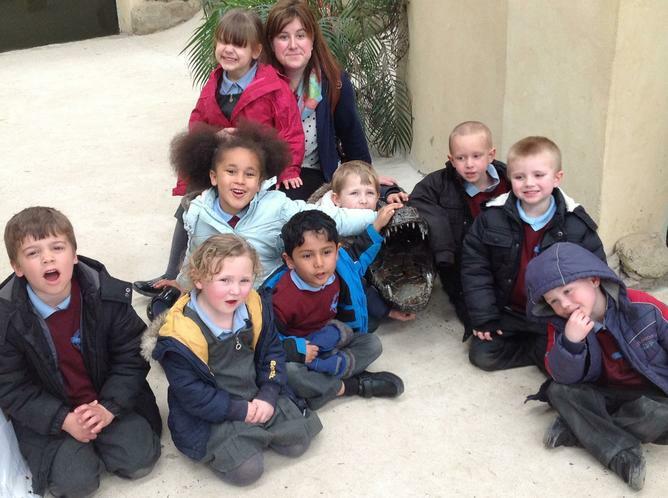 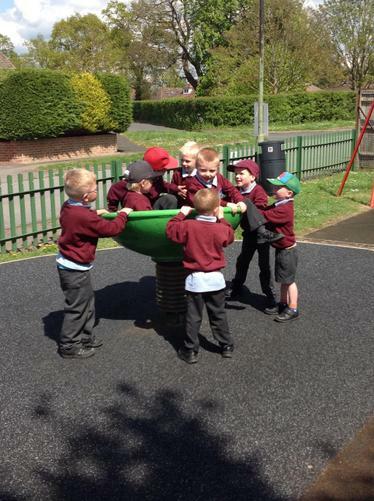 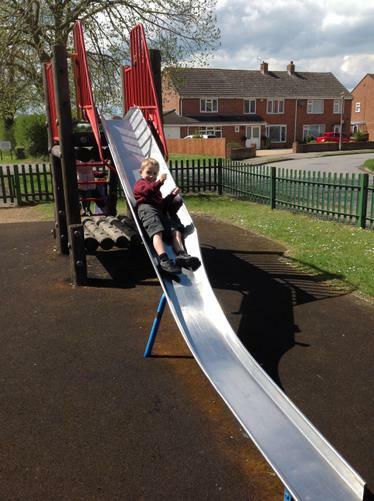 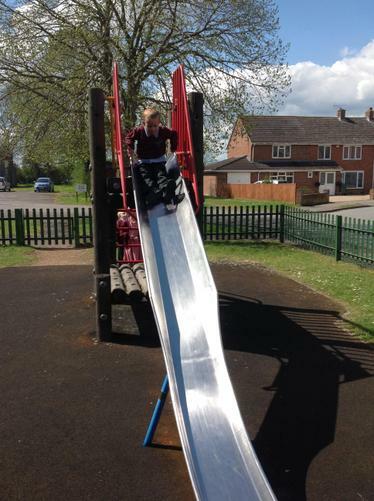 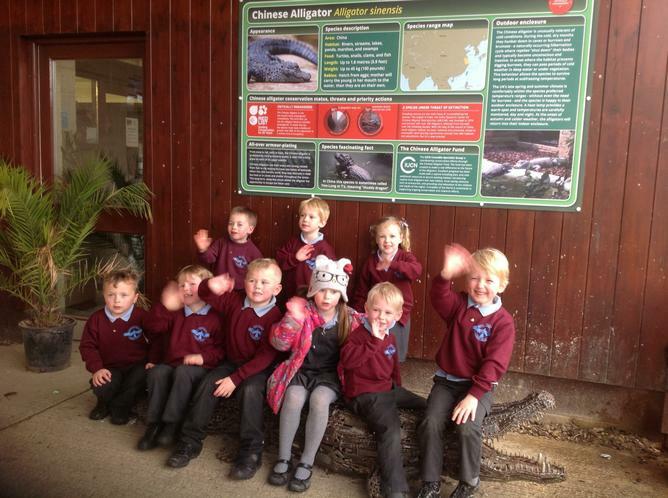 Whole class reward- visit to the park!